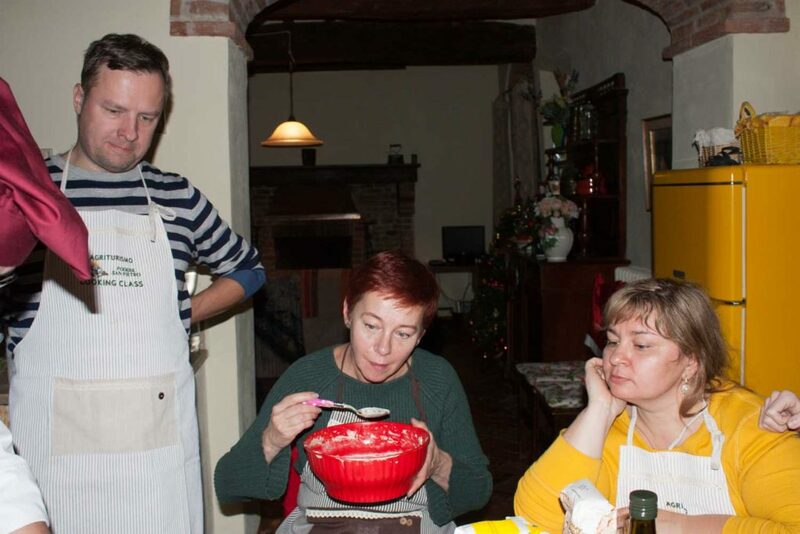 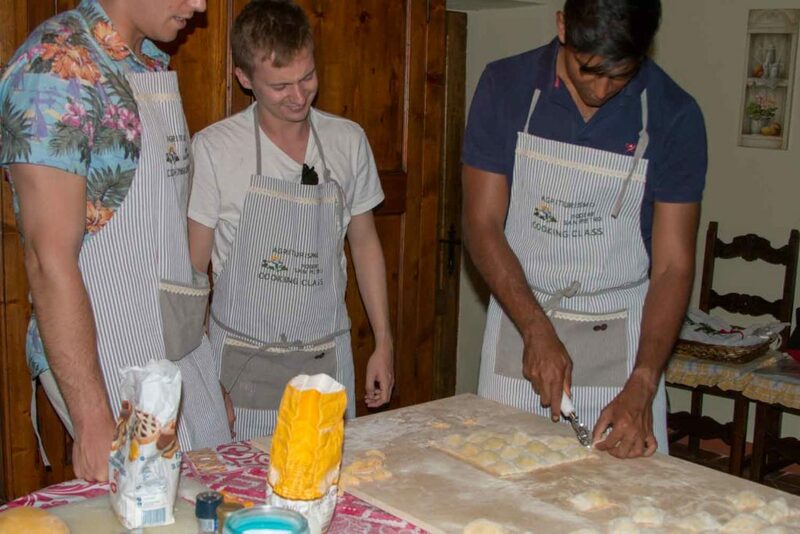 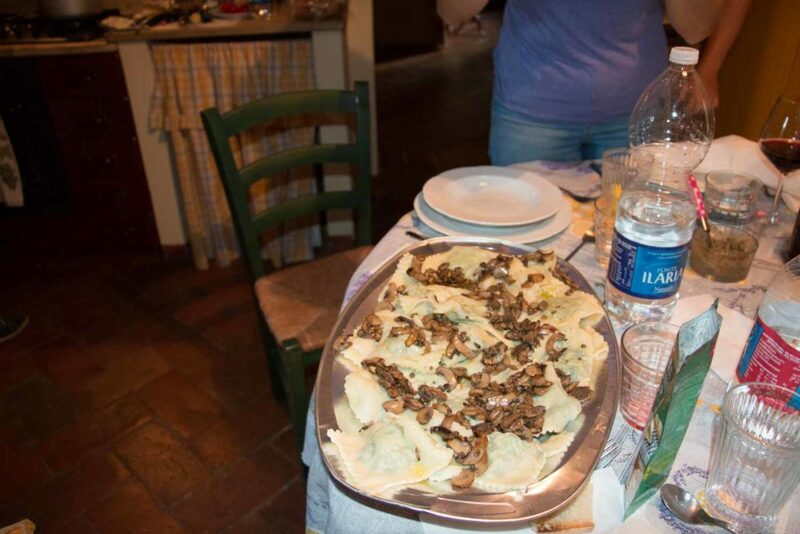 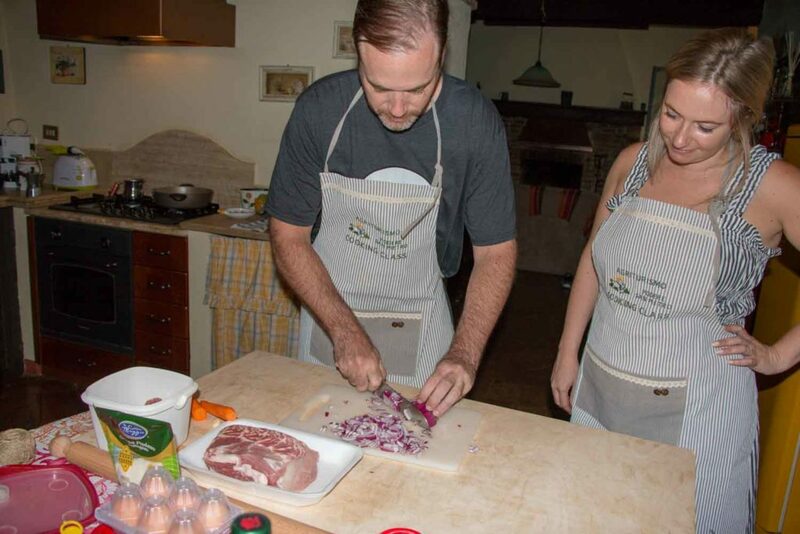 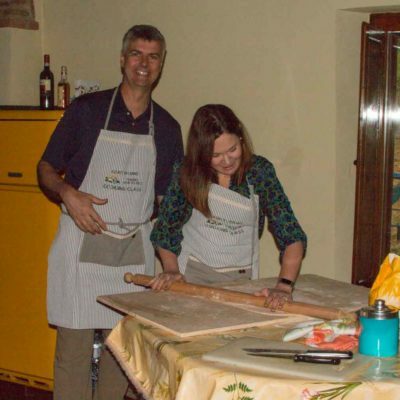 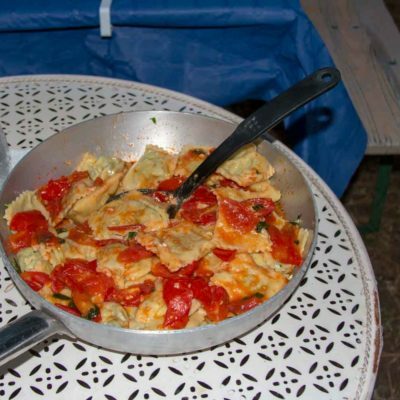 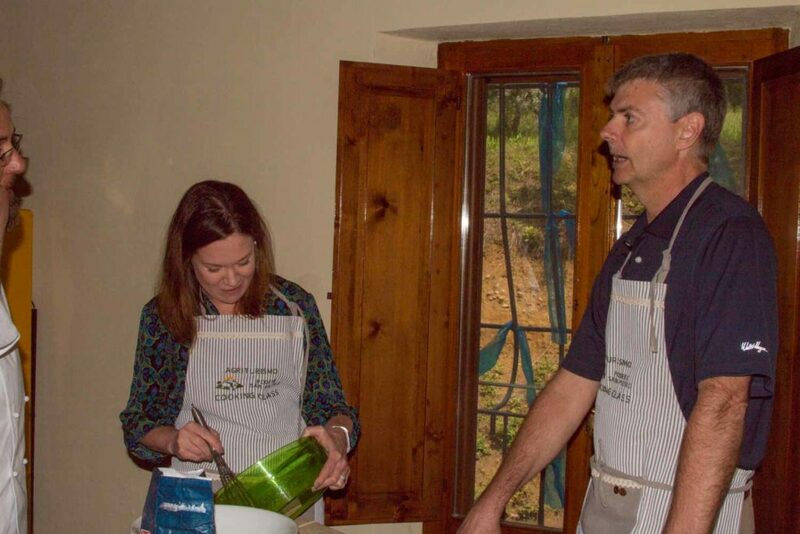 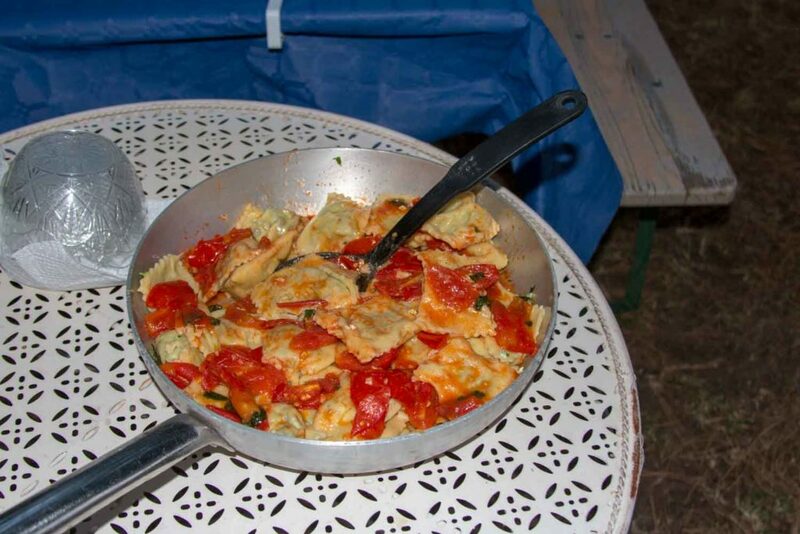 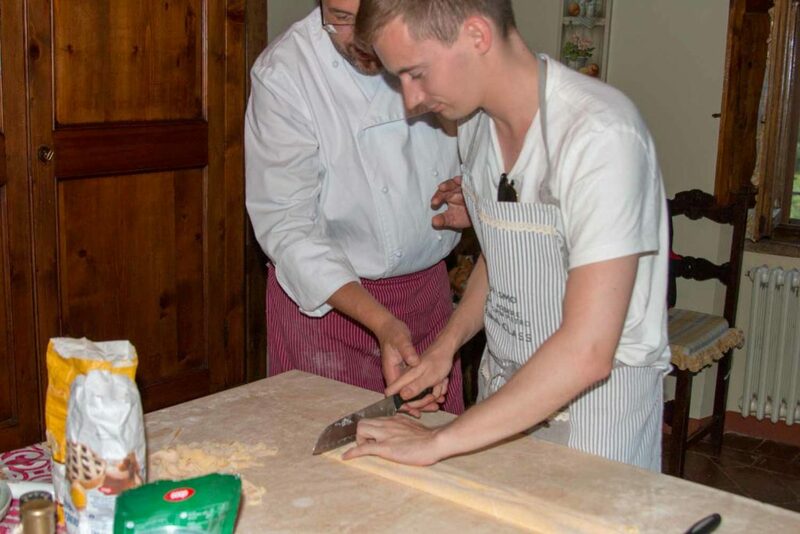 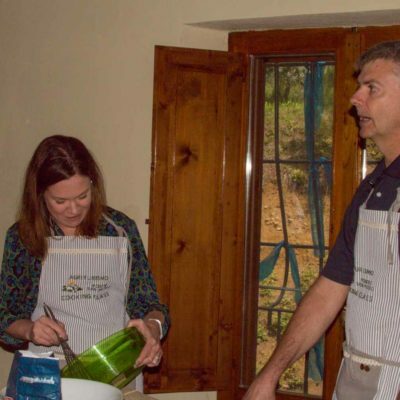 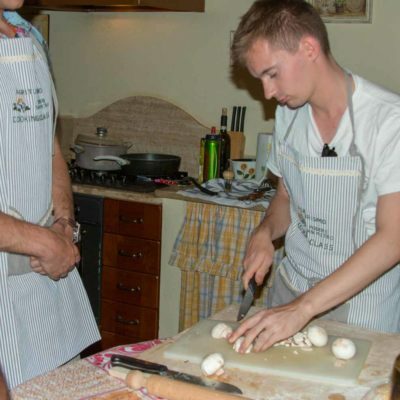 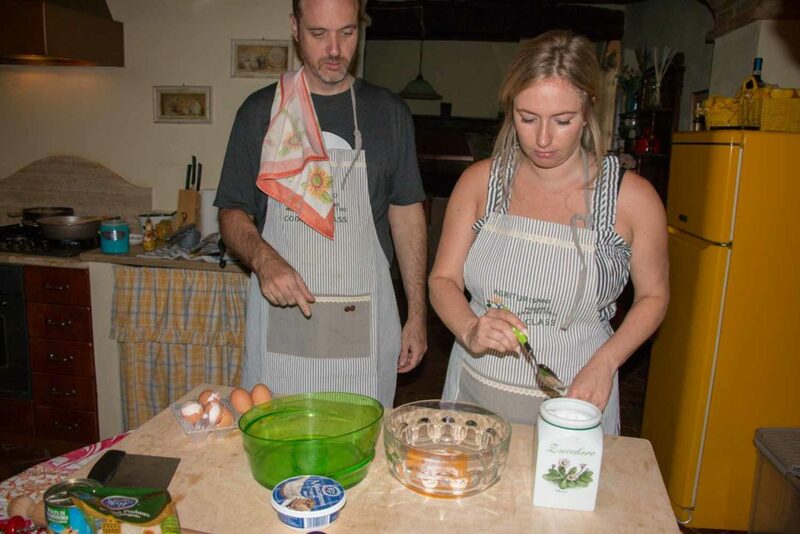 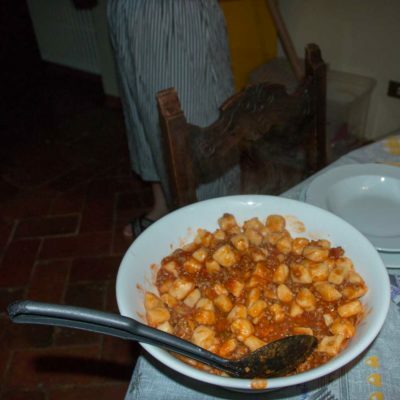 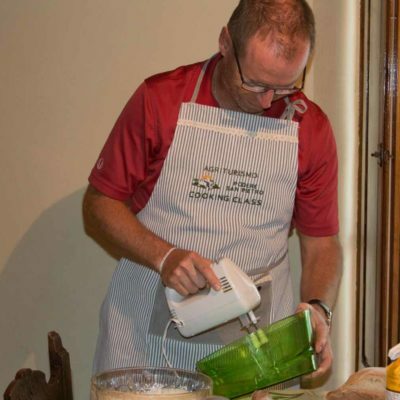 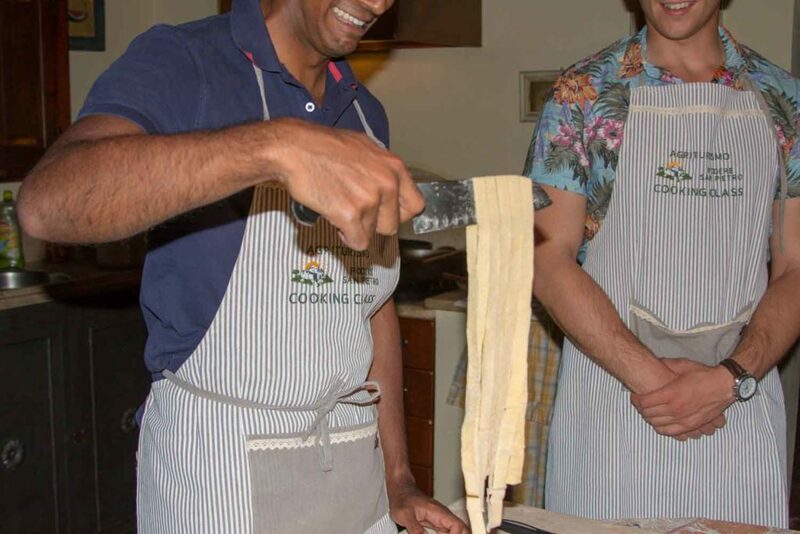 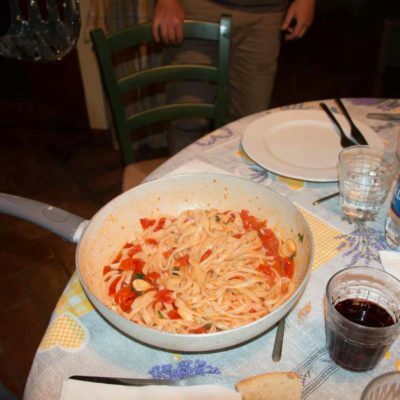 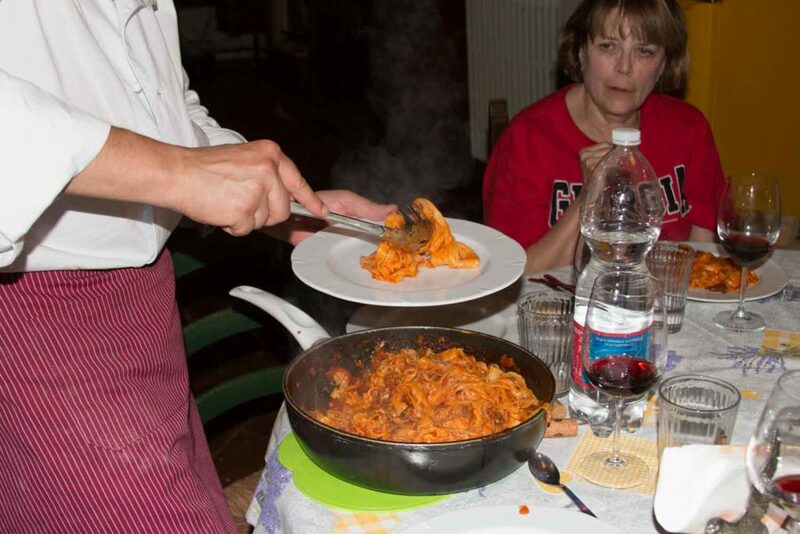 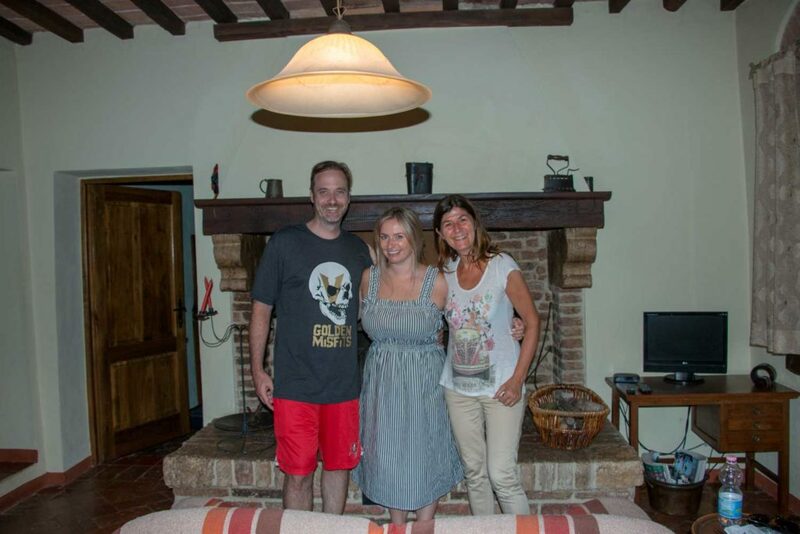 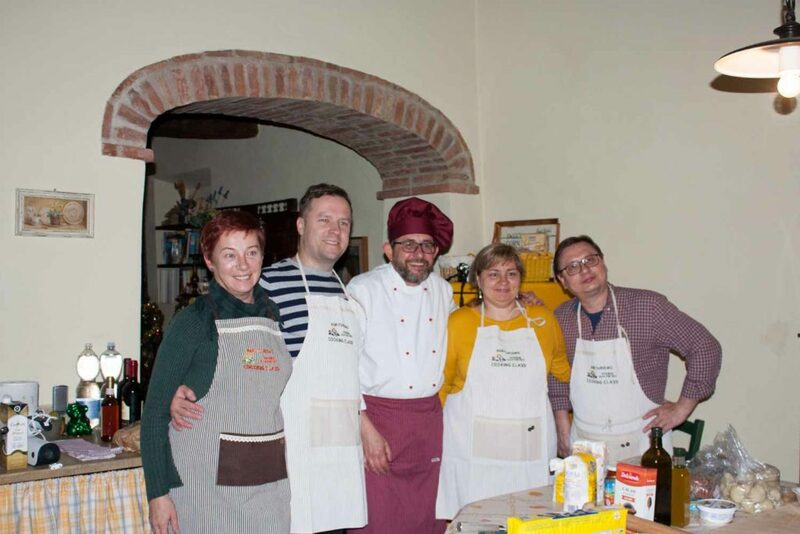 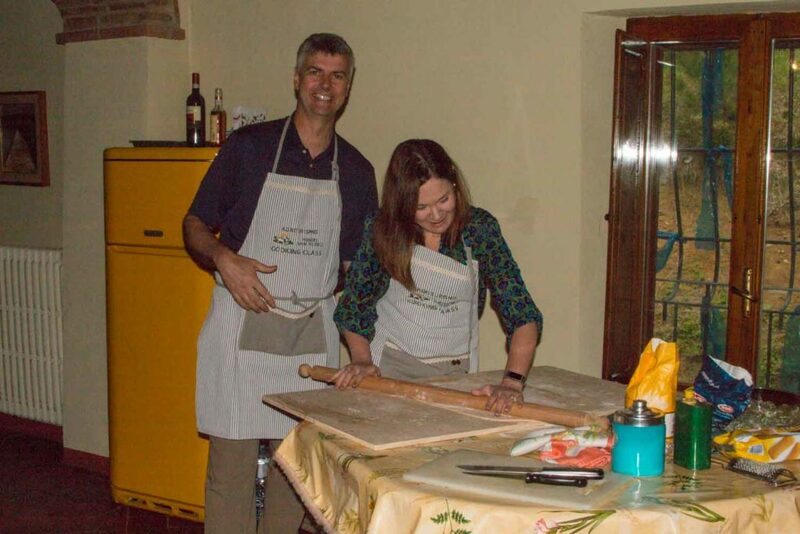 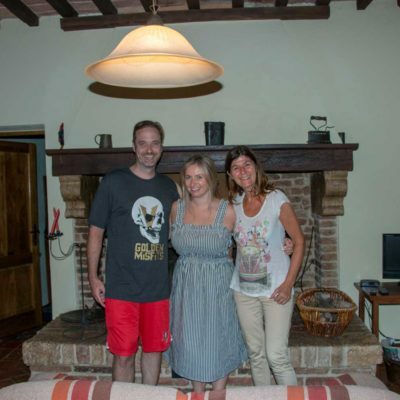 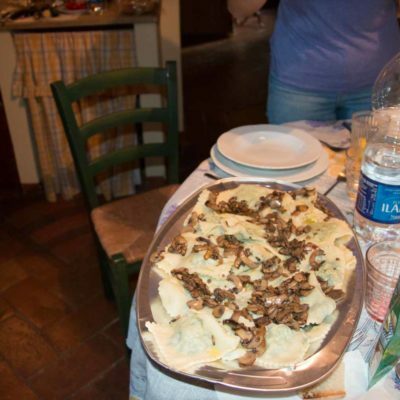 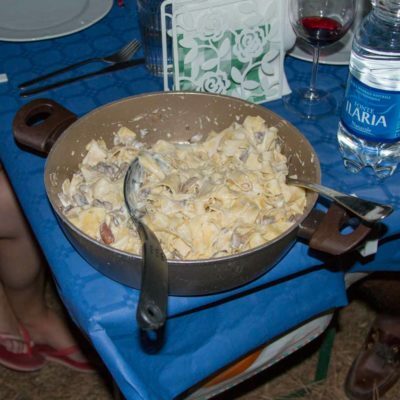 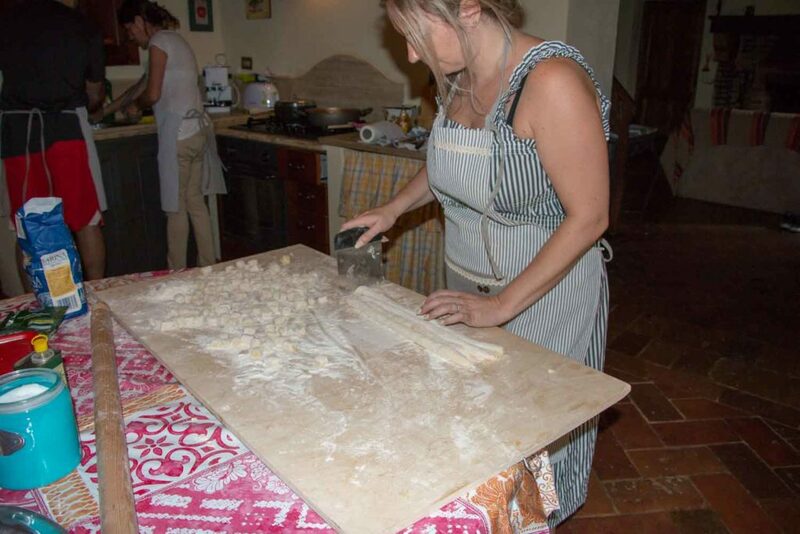 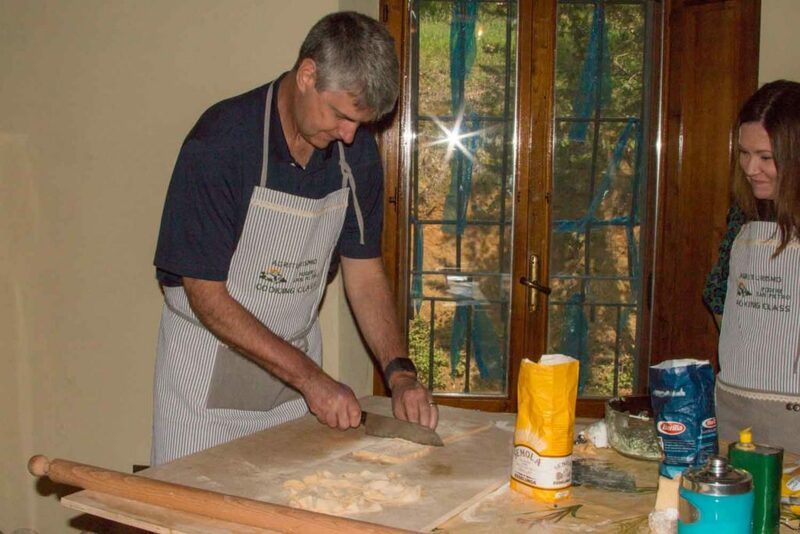 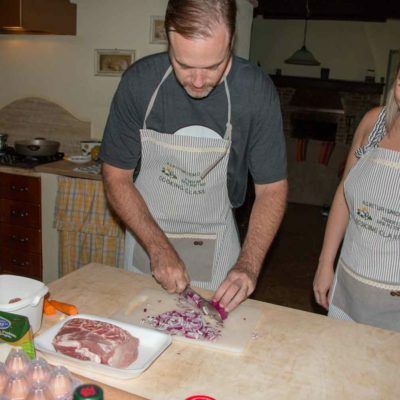 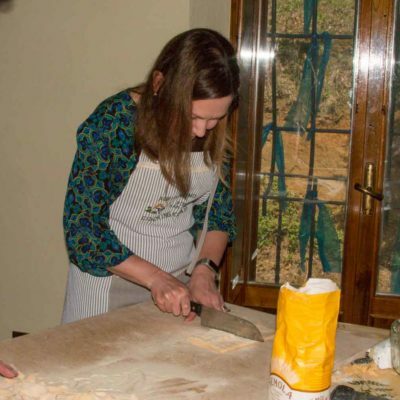 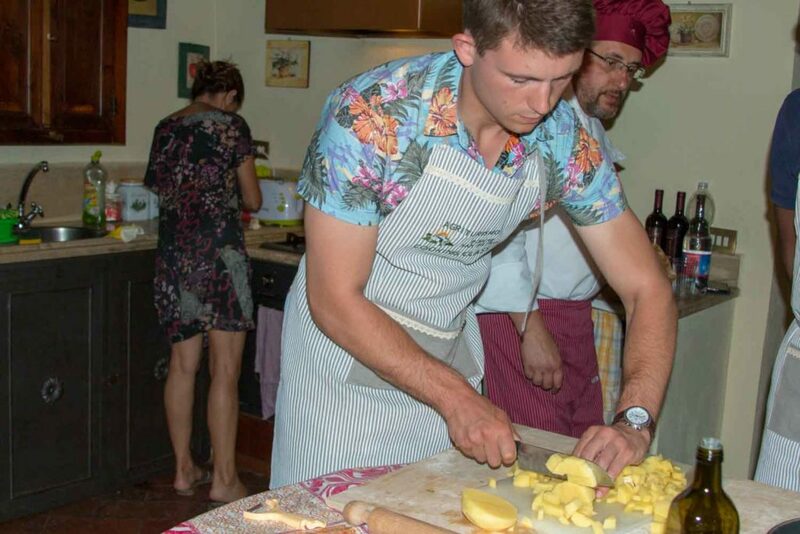 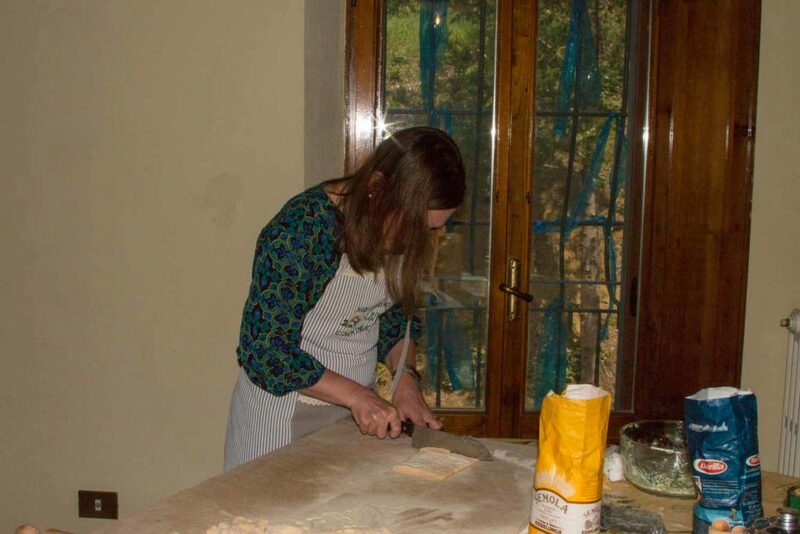 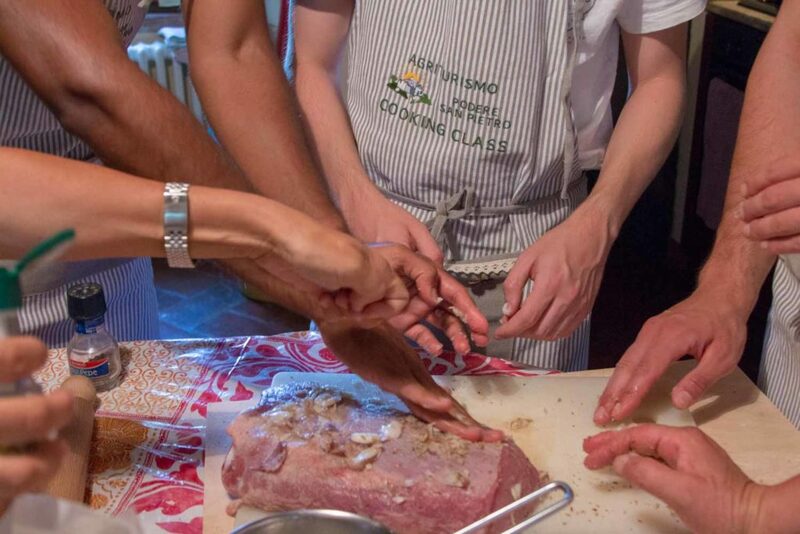 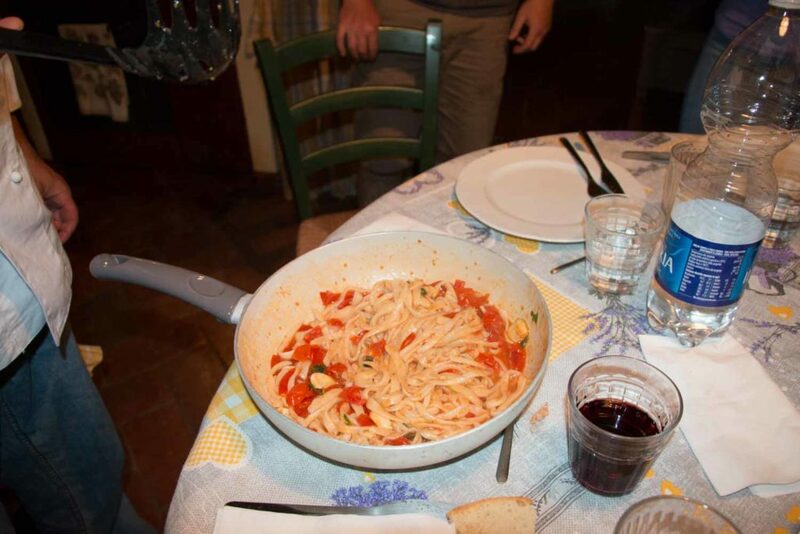 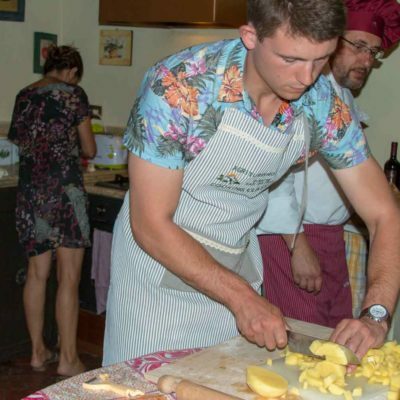 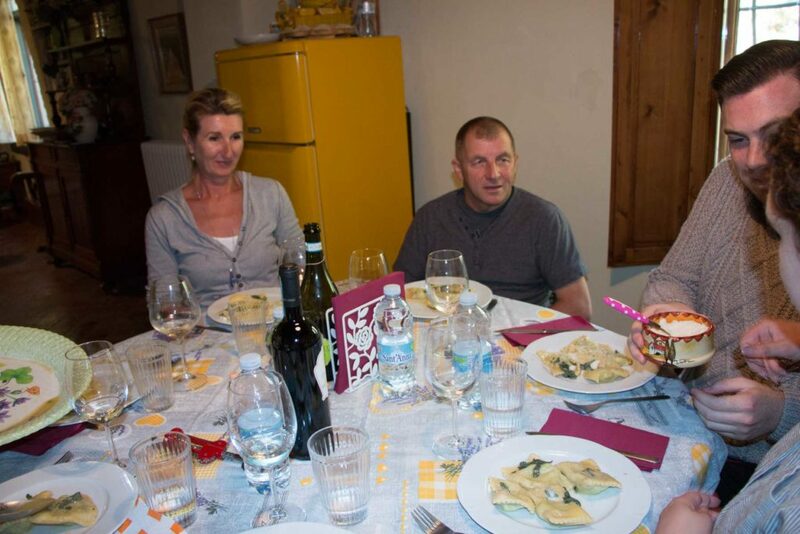 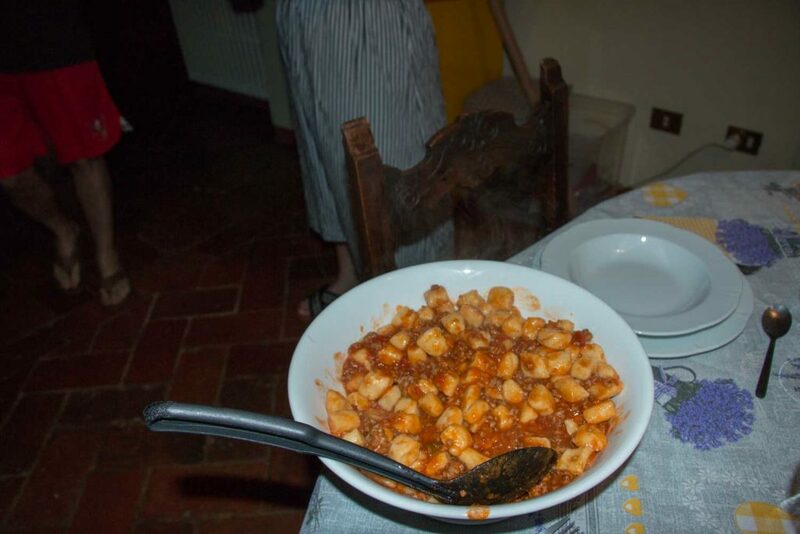 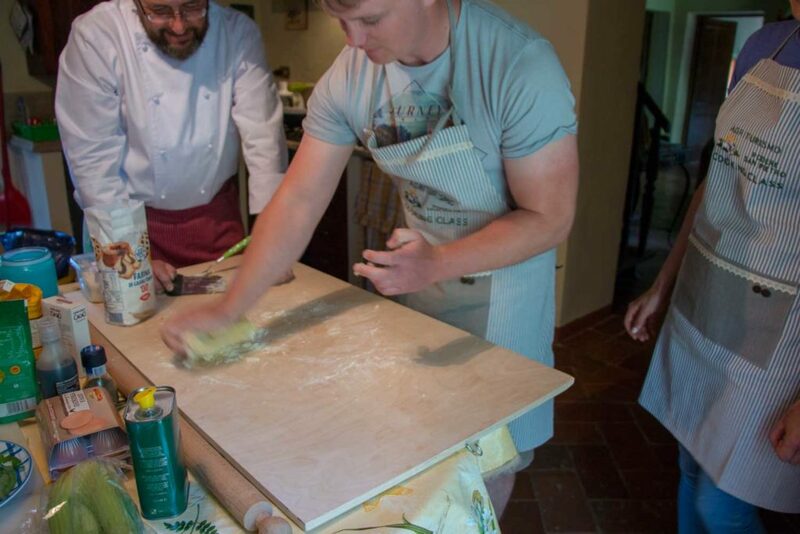 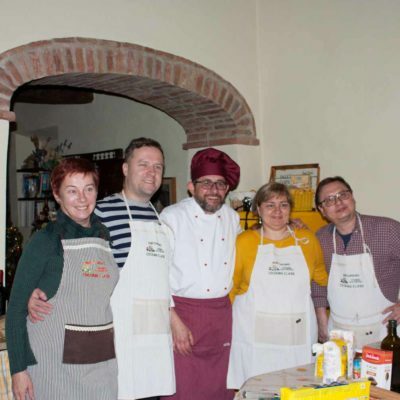 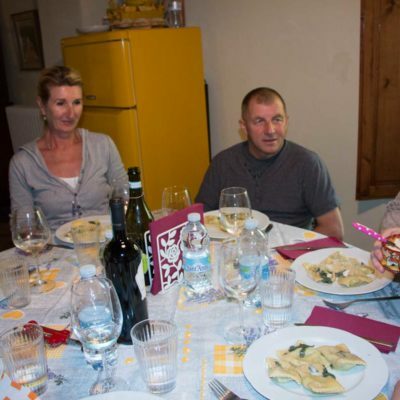 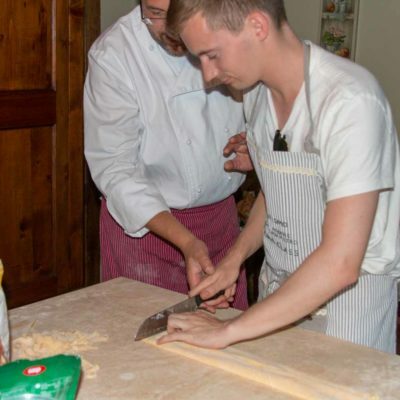 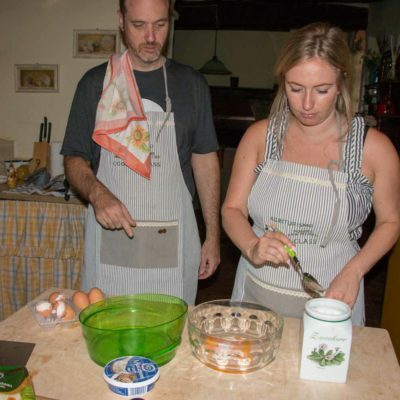 An unforgettable 3-hour class in which you will learn how to prepare real Tuscan and Italian dishes. 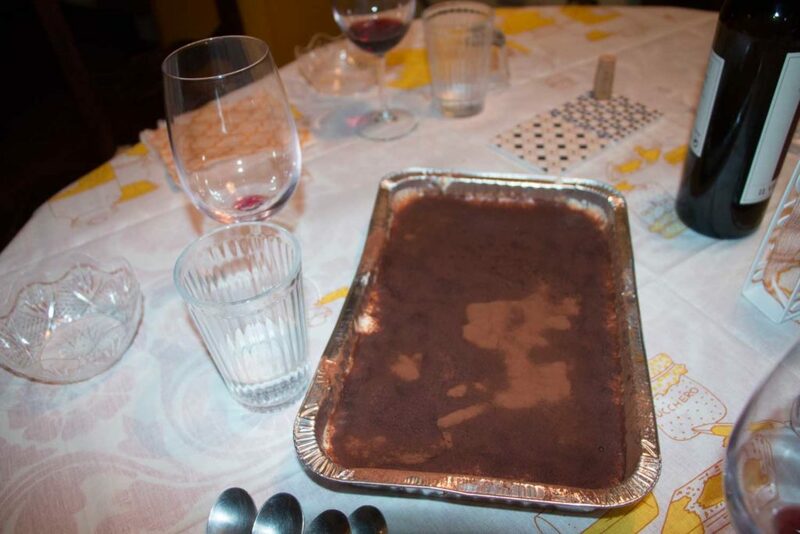 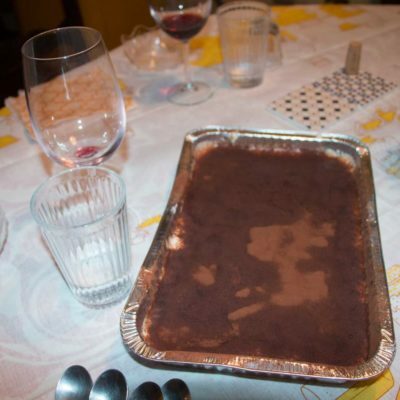 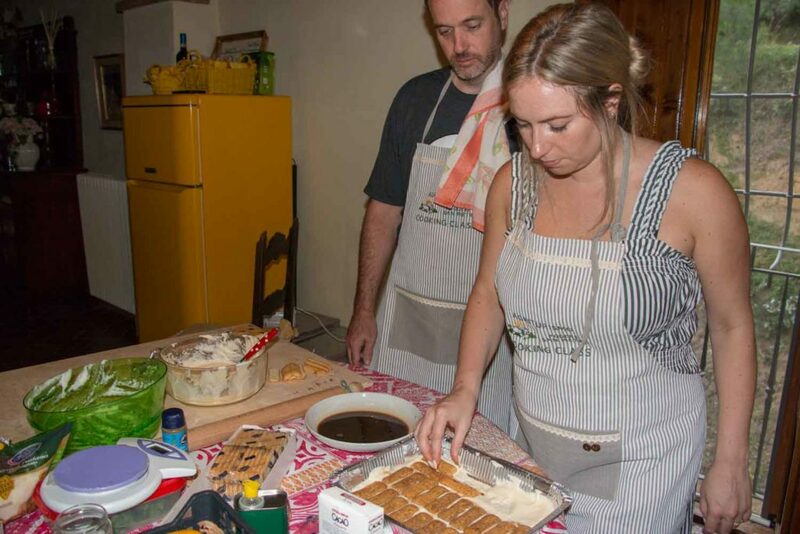 From homemade pasta or tasty crostini to chicken with porcini and cream to tiramisu. 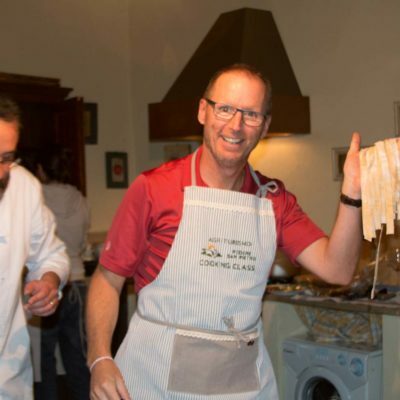 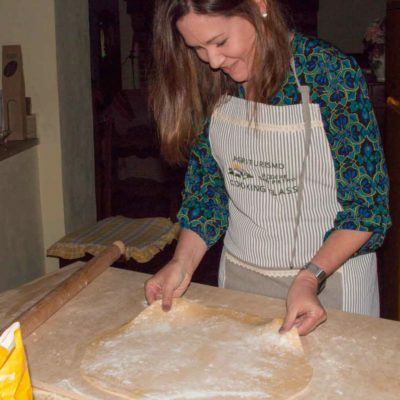 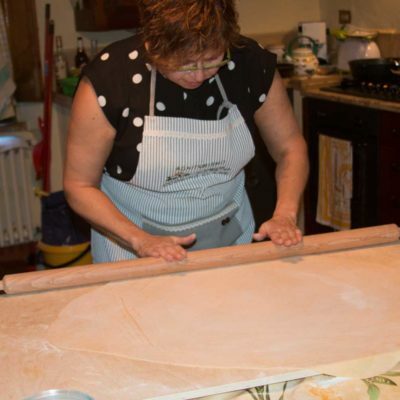 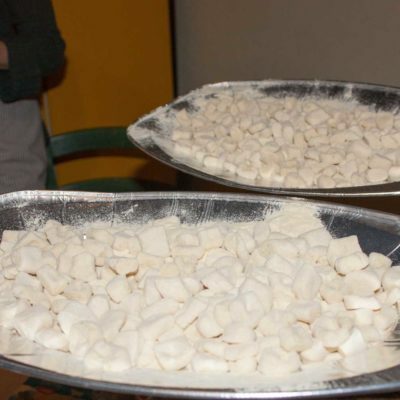 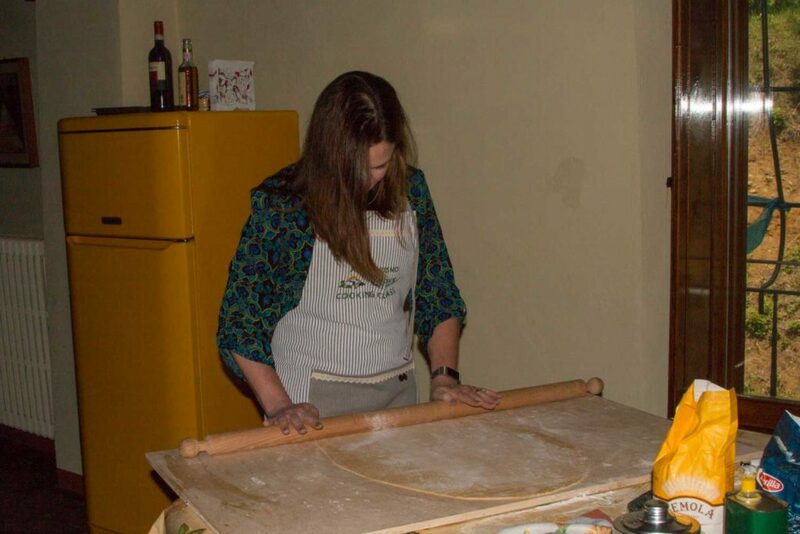 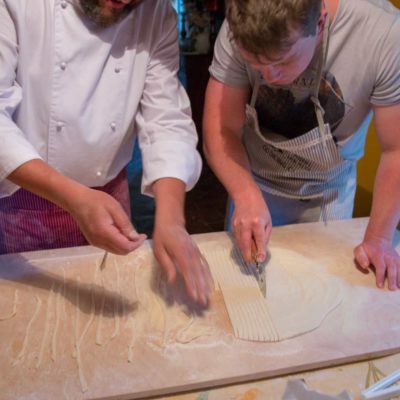 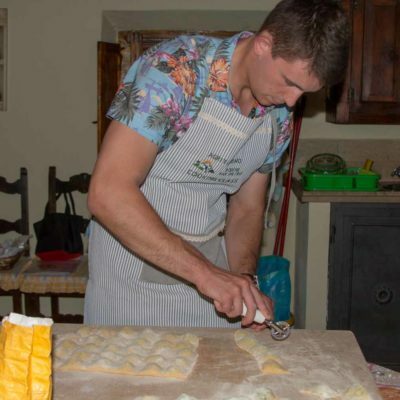 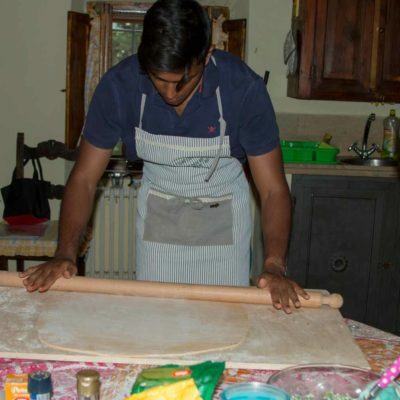 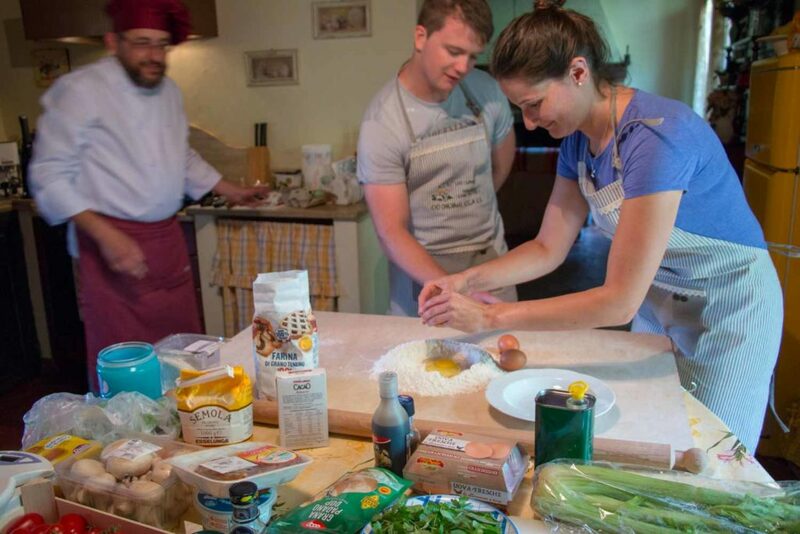 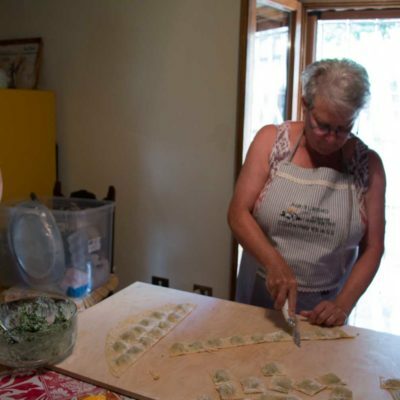 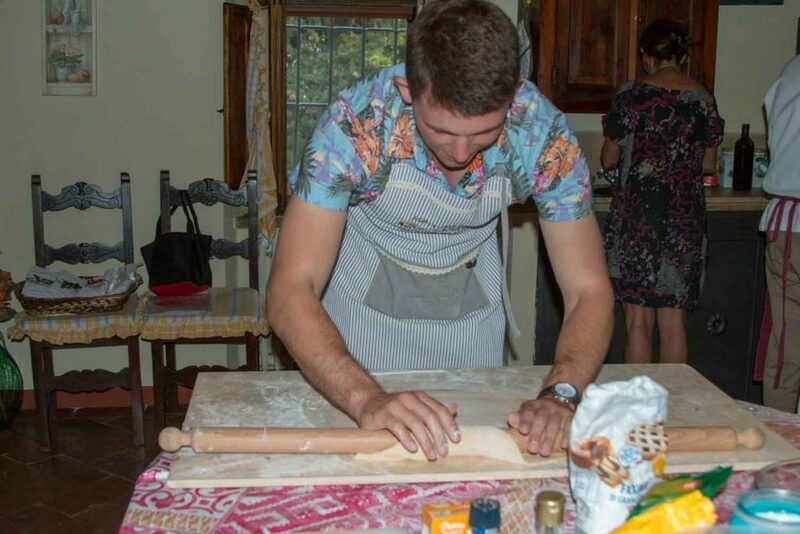 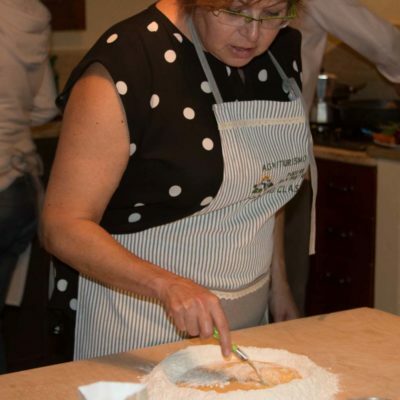 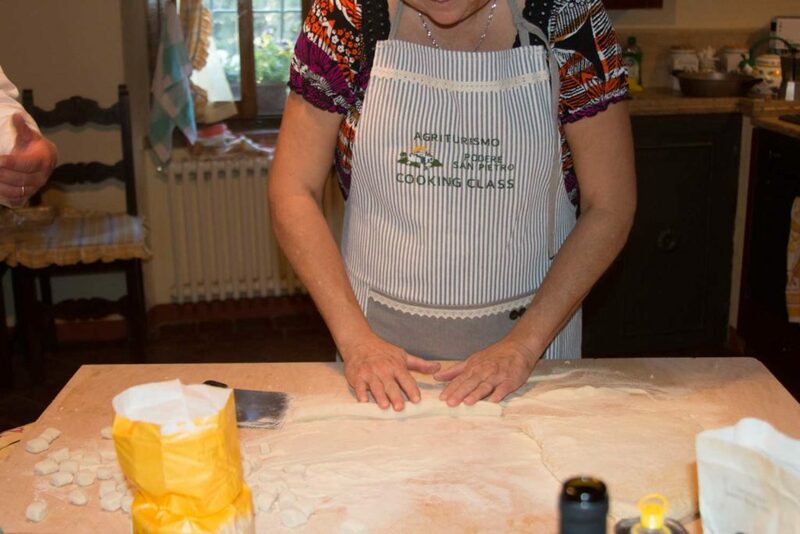 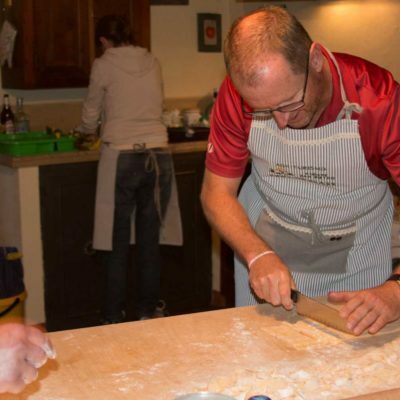 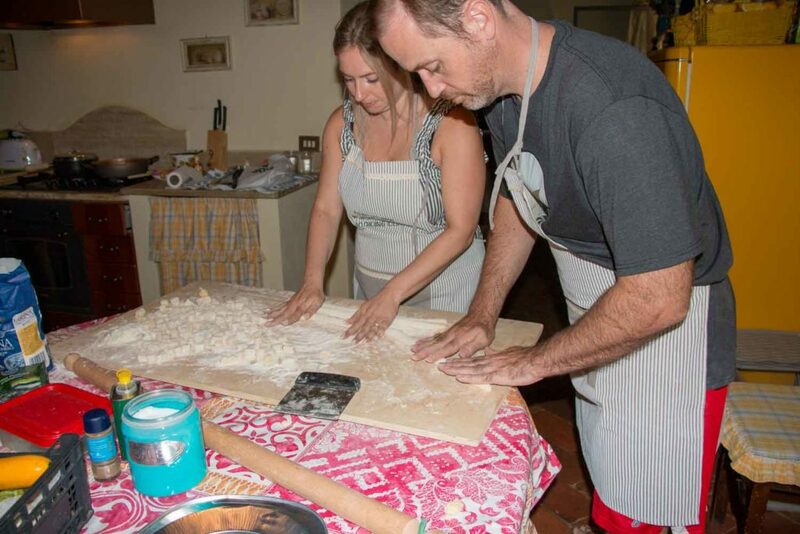 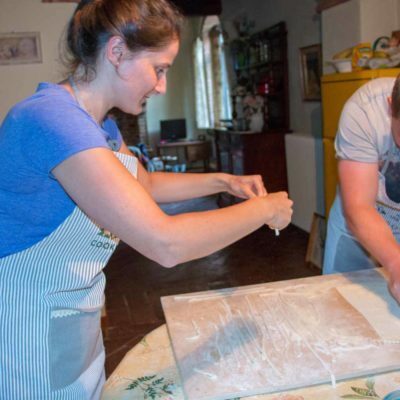 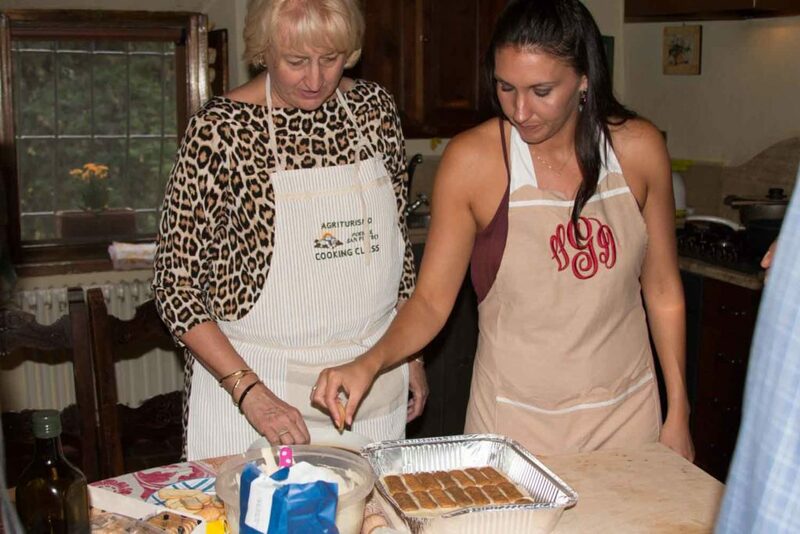 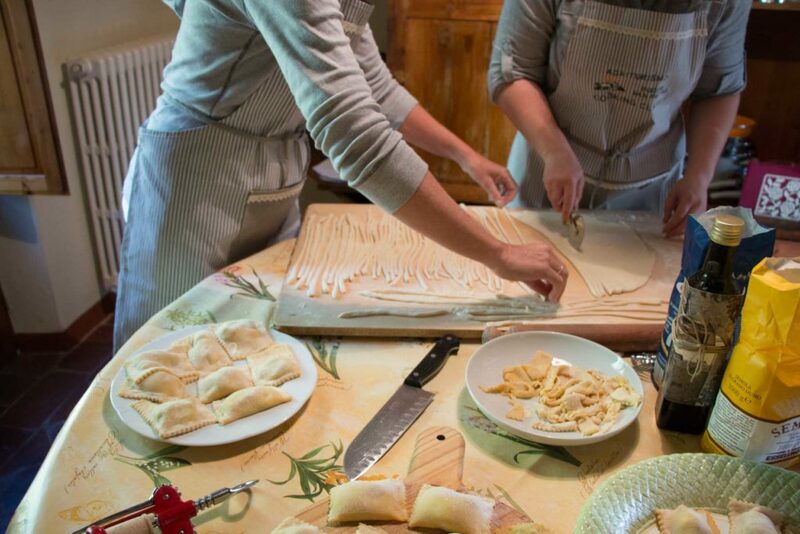 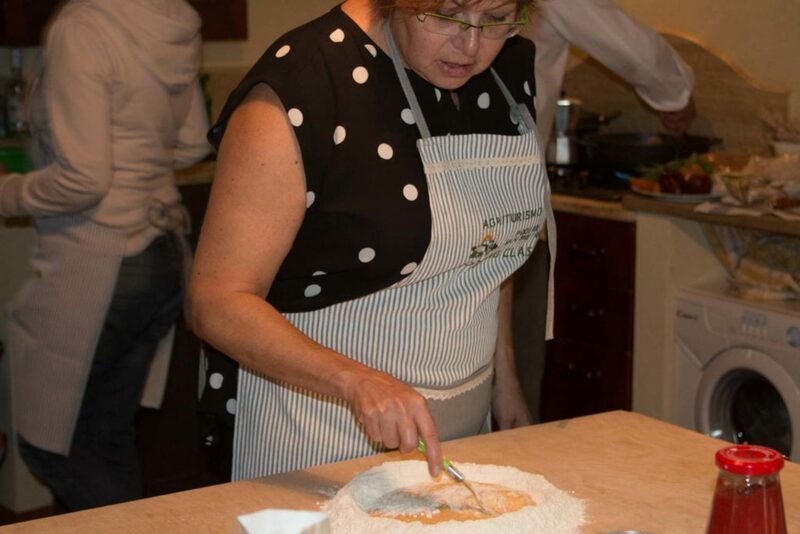 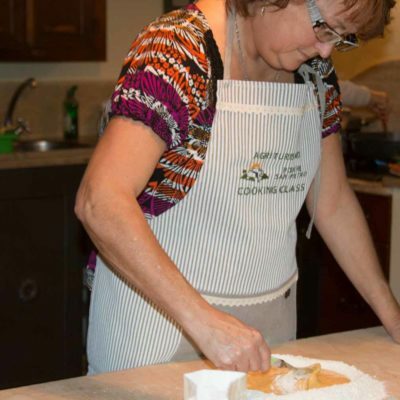 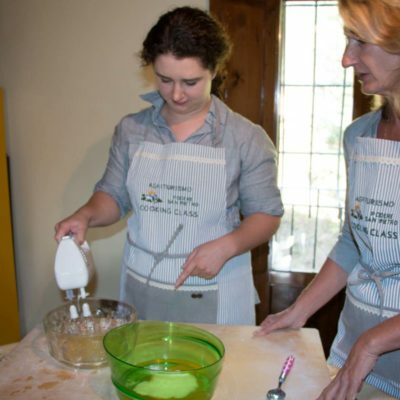 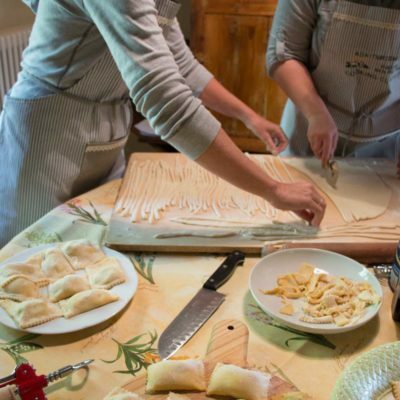 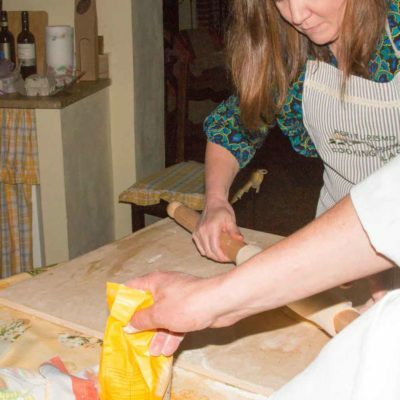 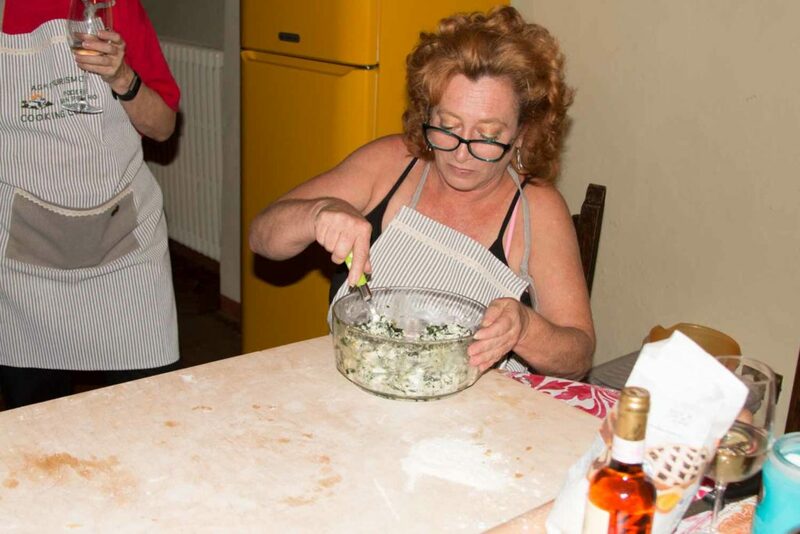 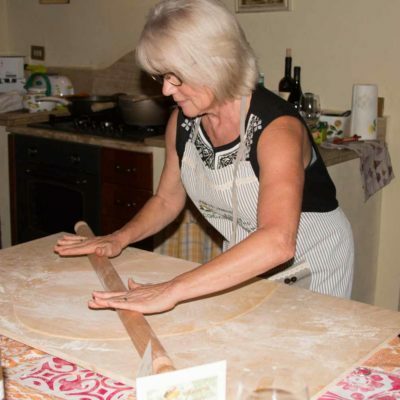 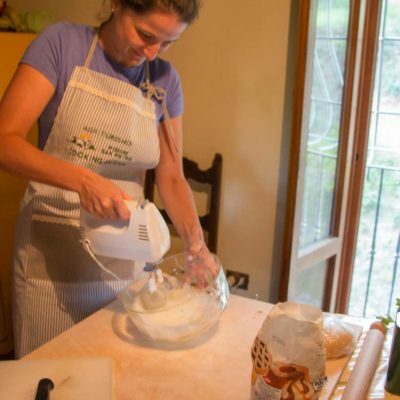 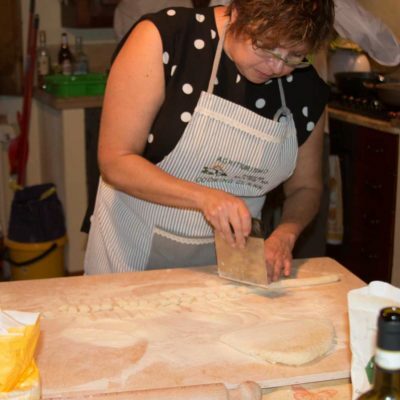 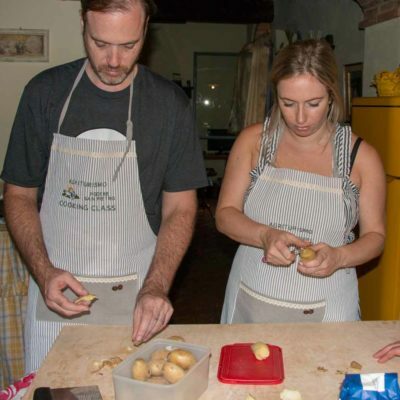 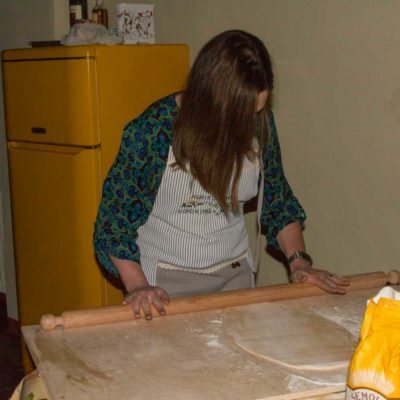 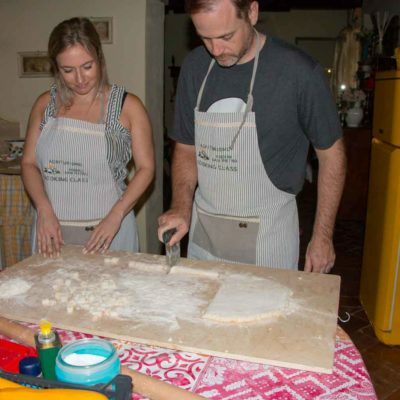 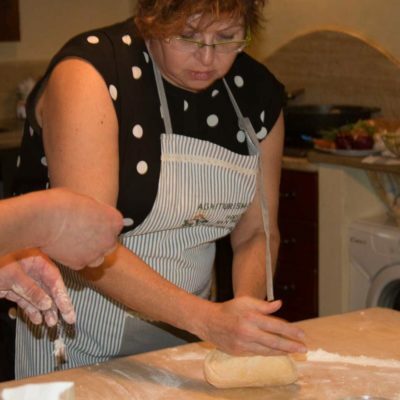 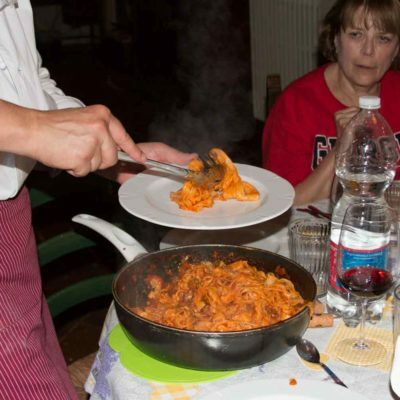 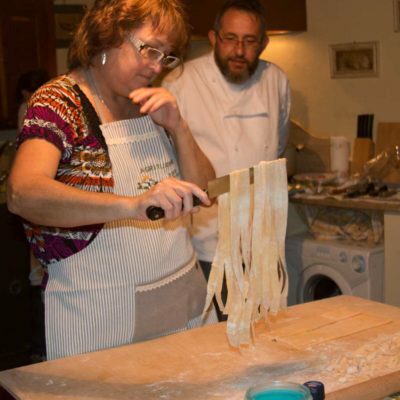 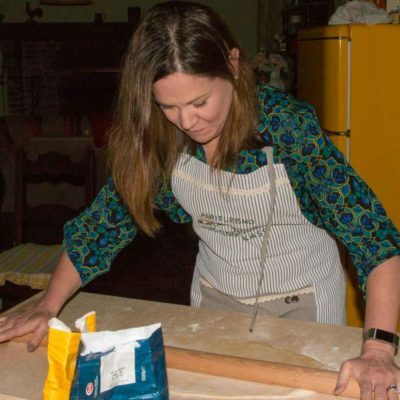 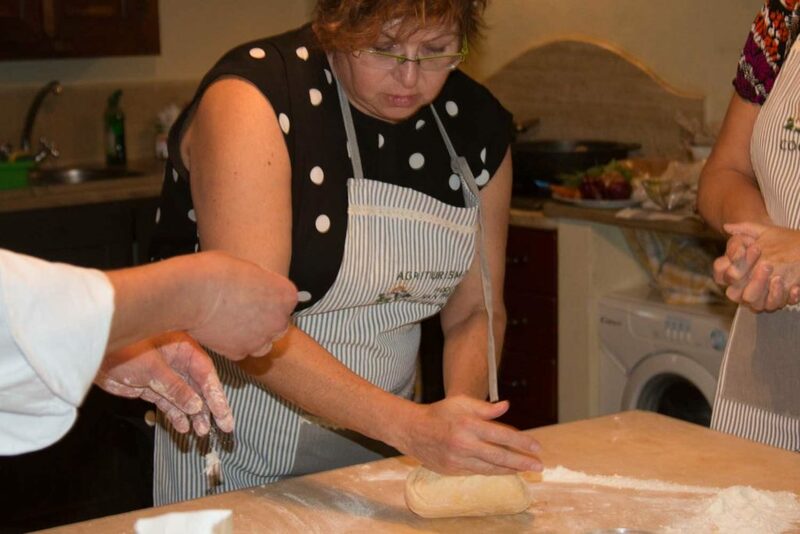 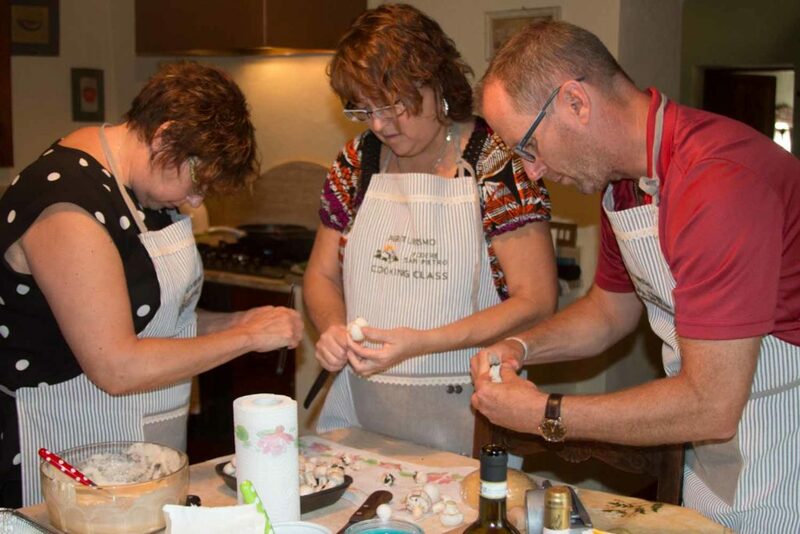 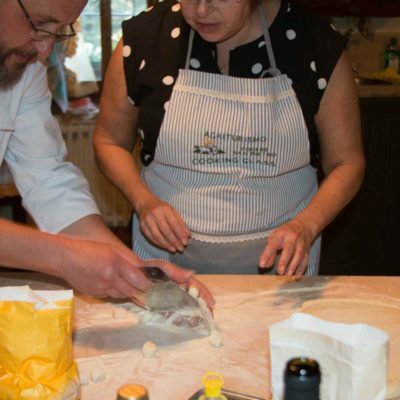 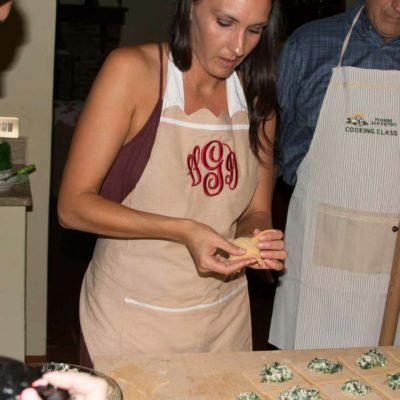 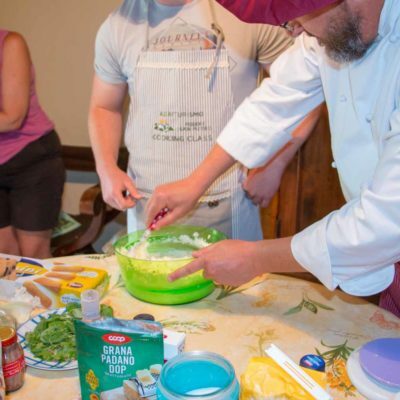 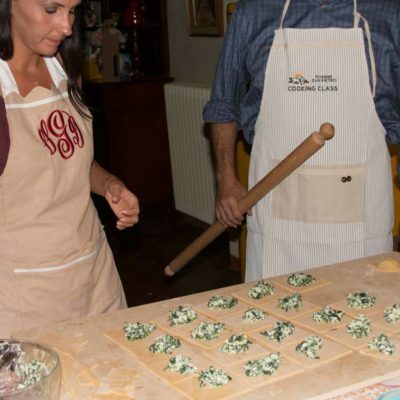 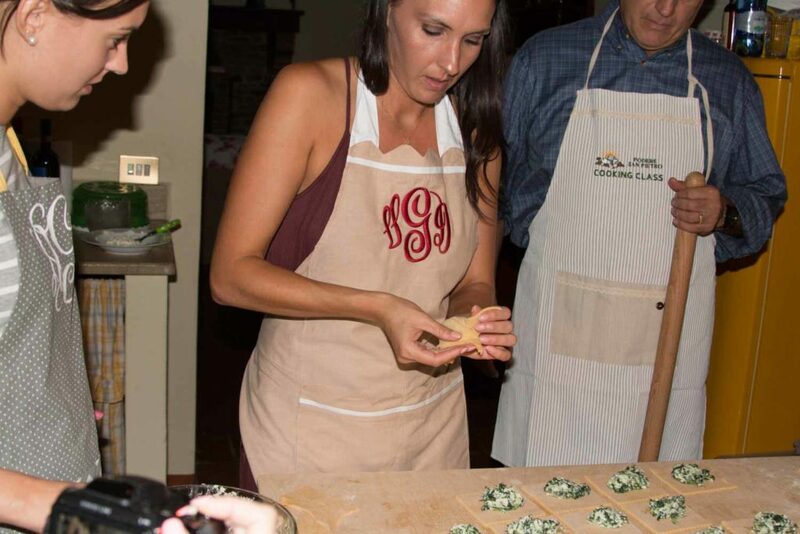 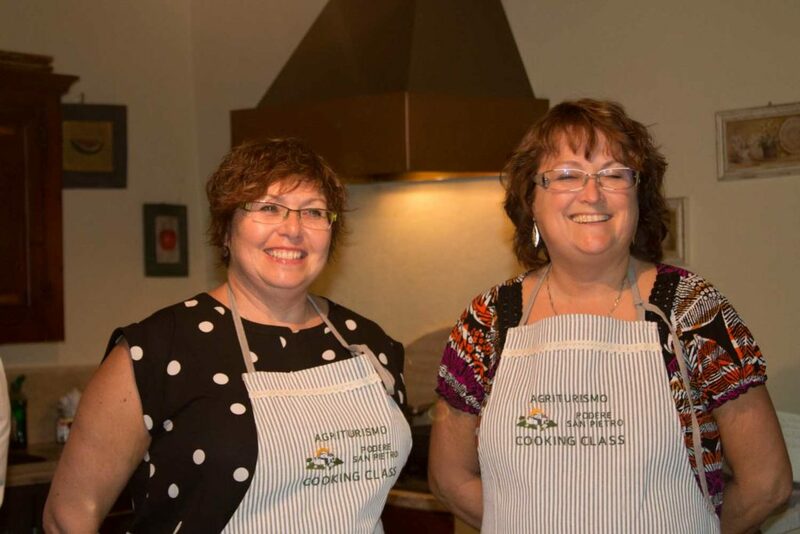 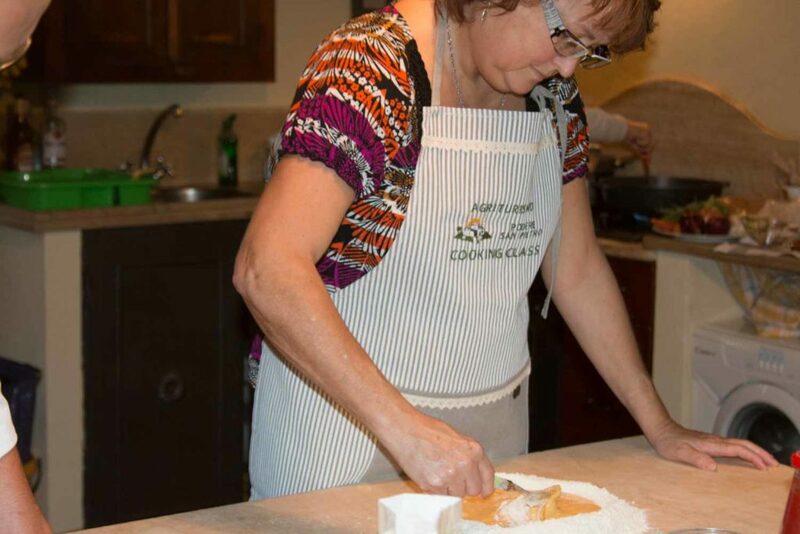 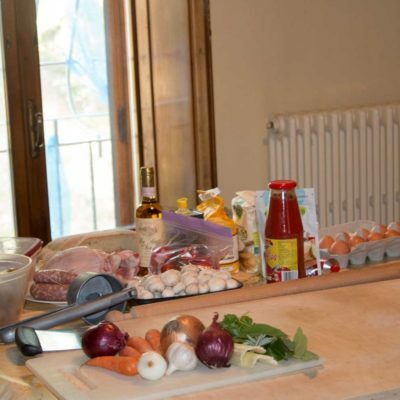 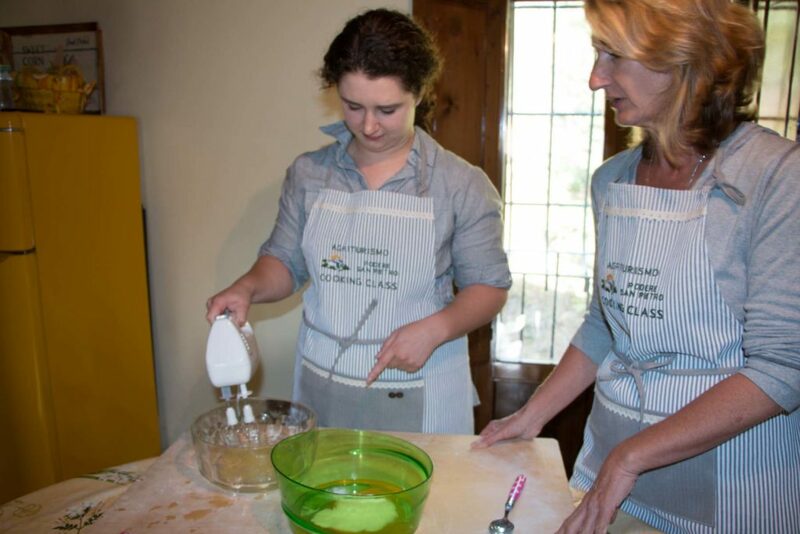 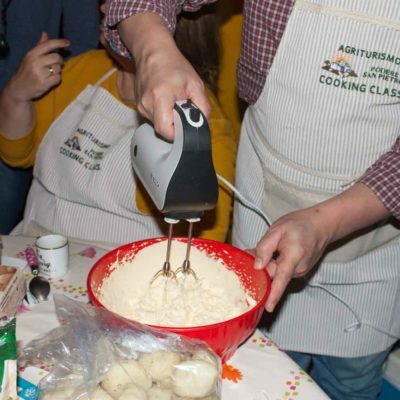 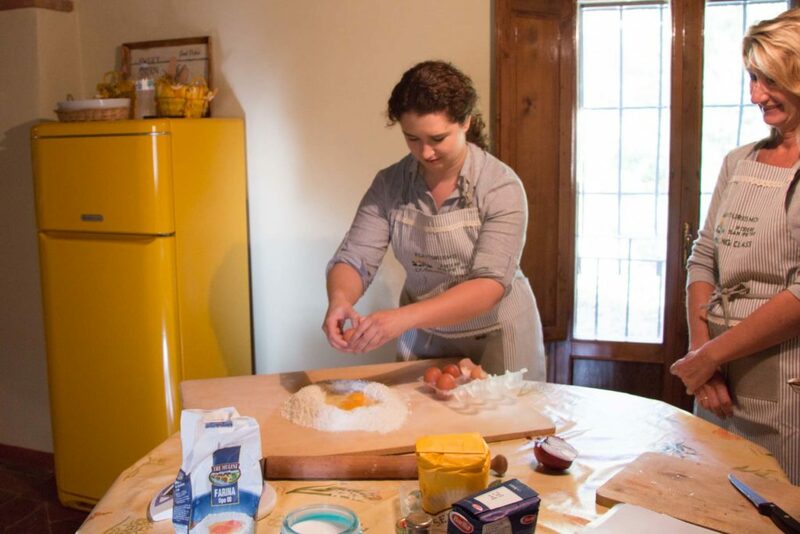 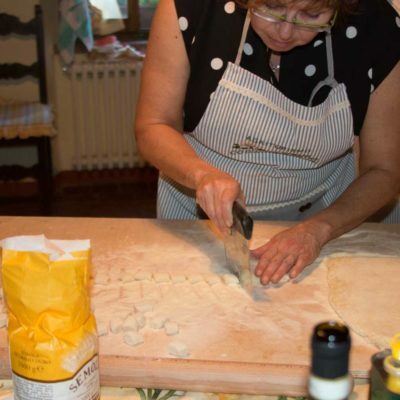 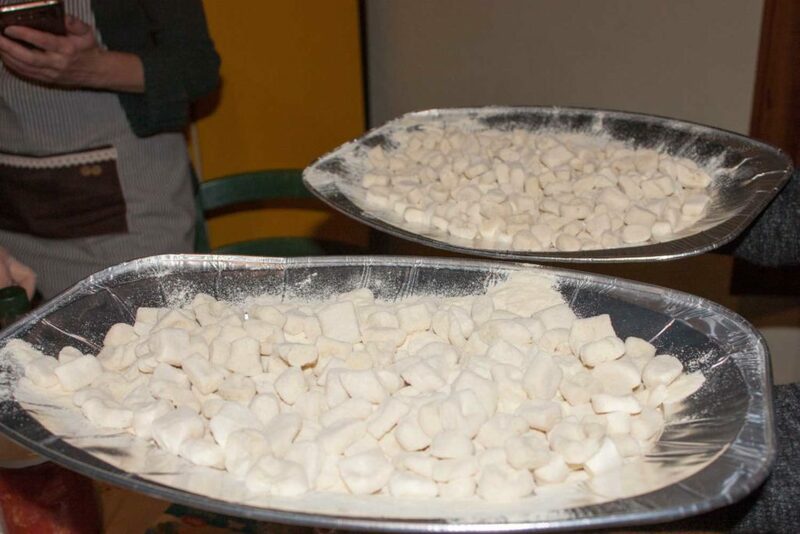 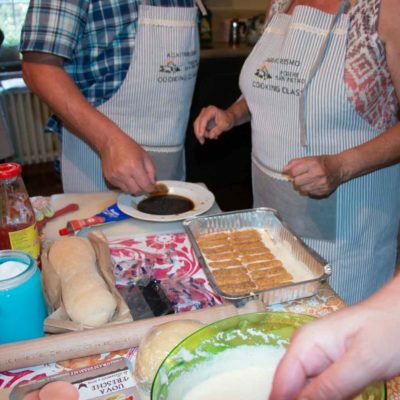 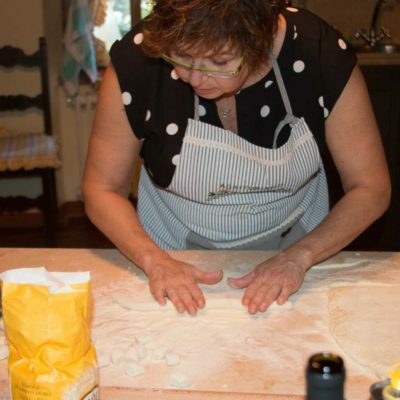 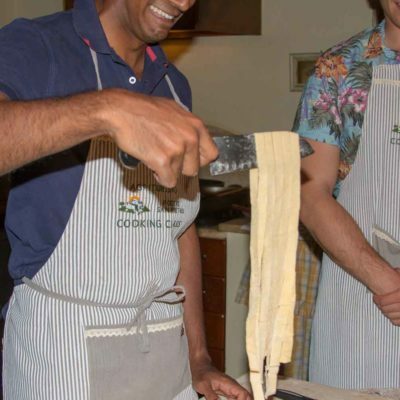 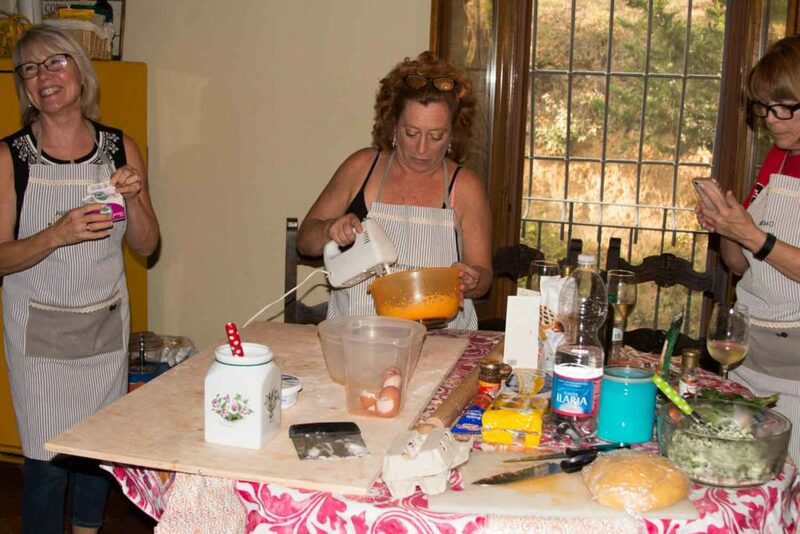 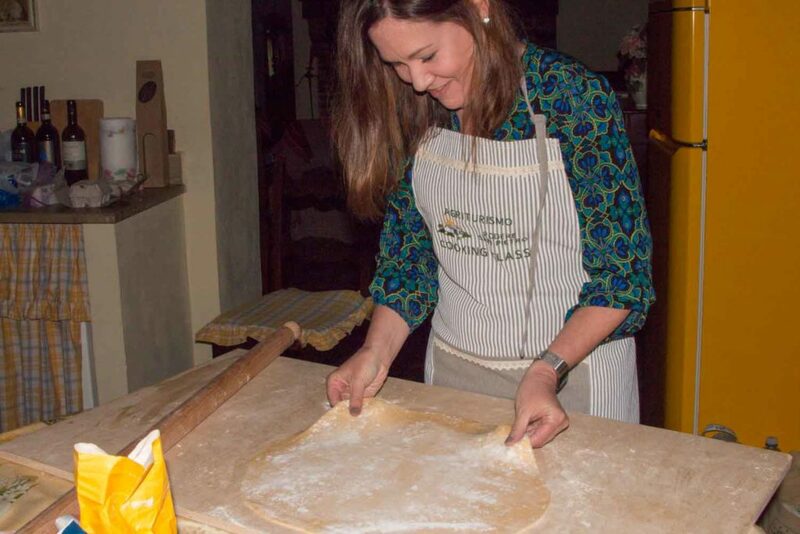 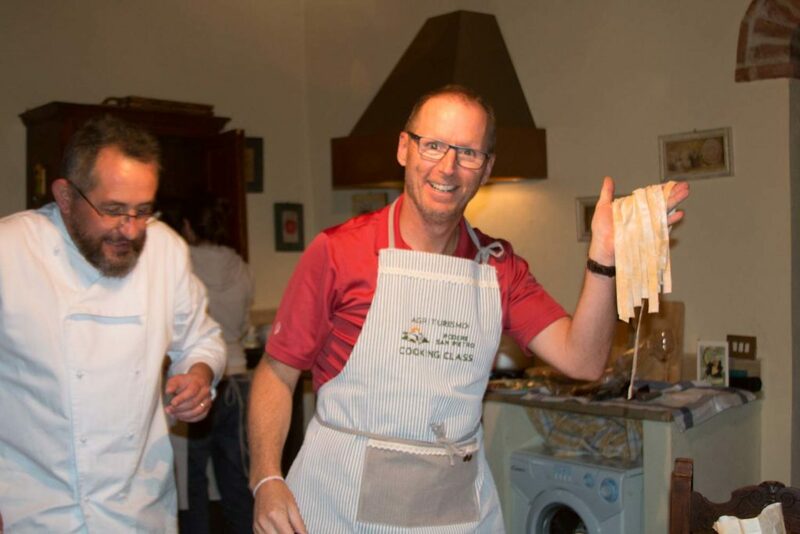 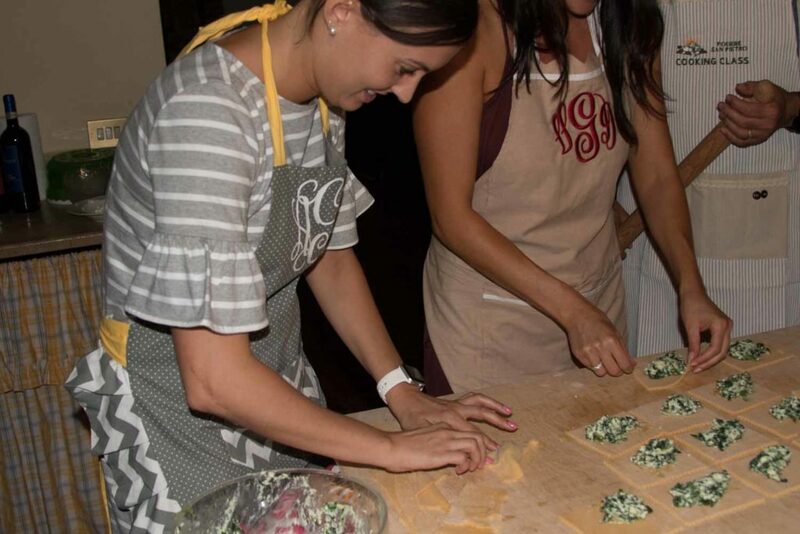 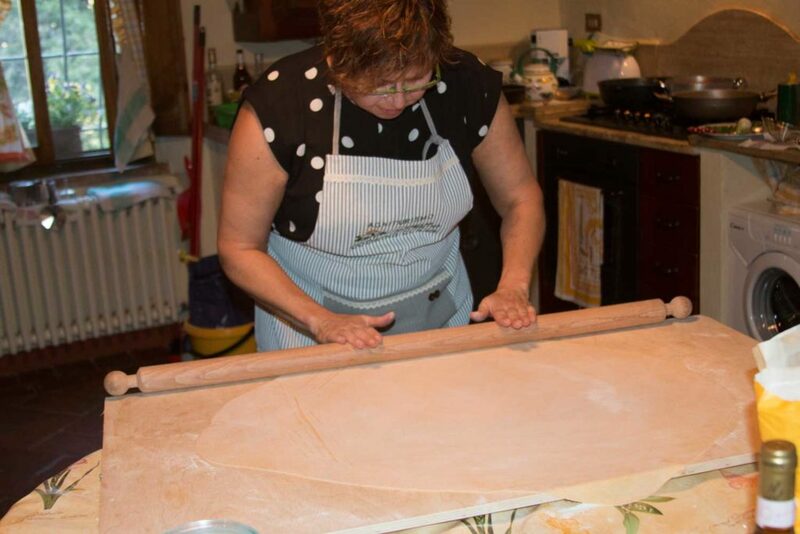 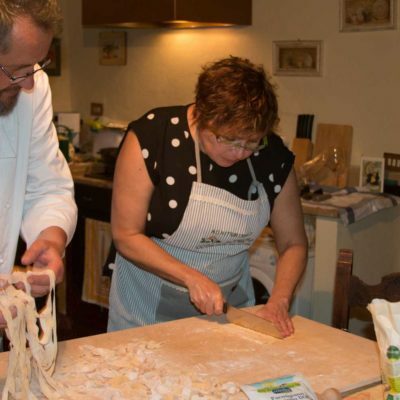 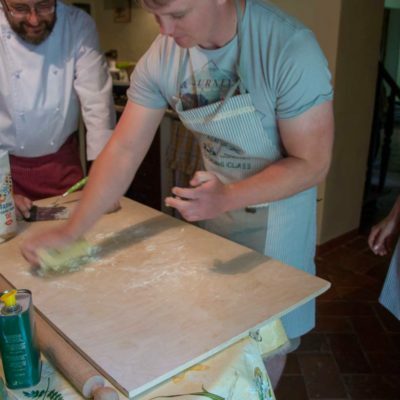 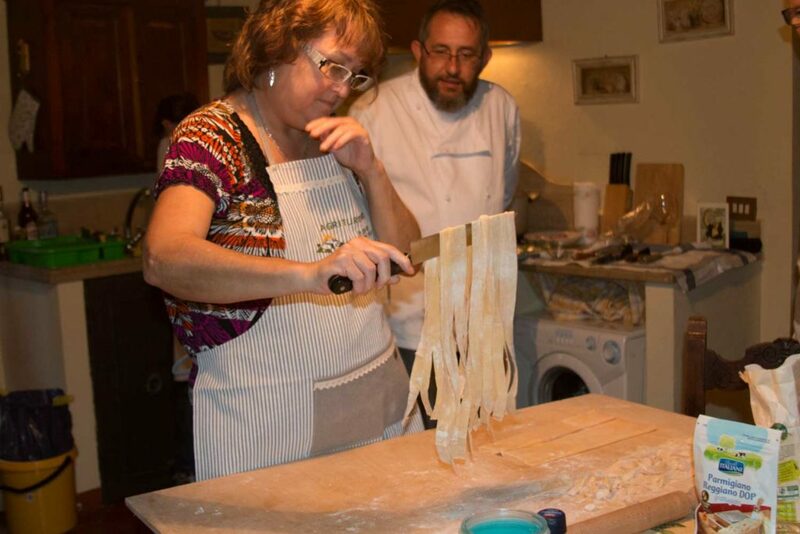 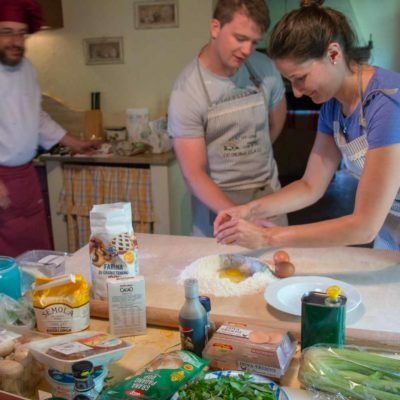 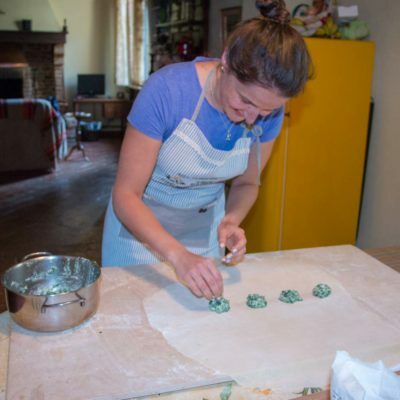 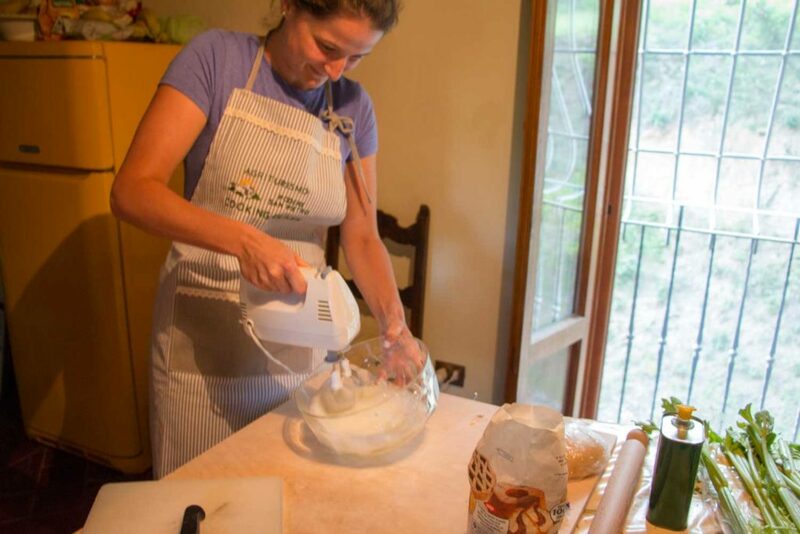 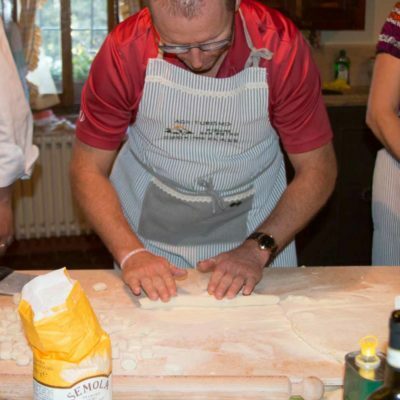 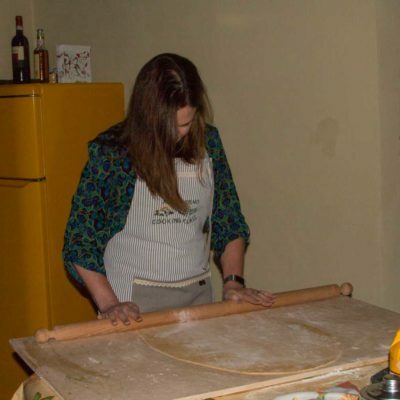 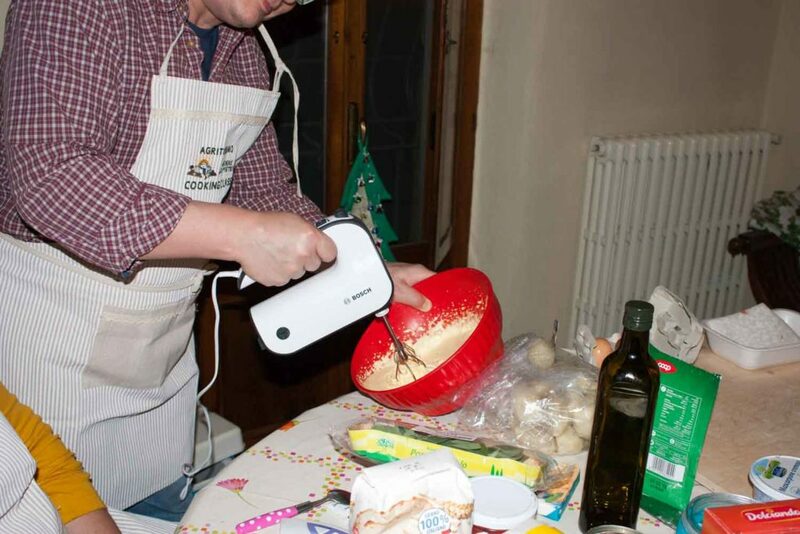 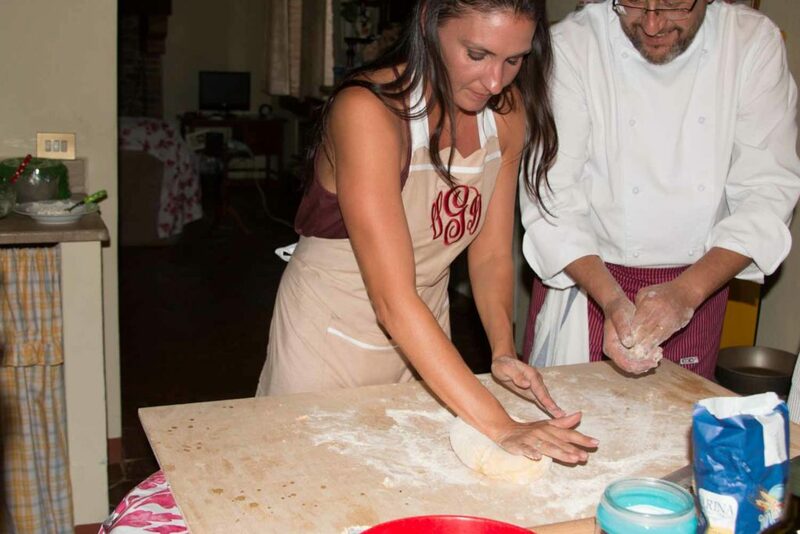 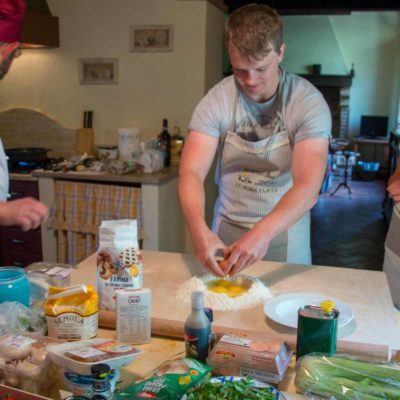 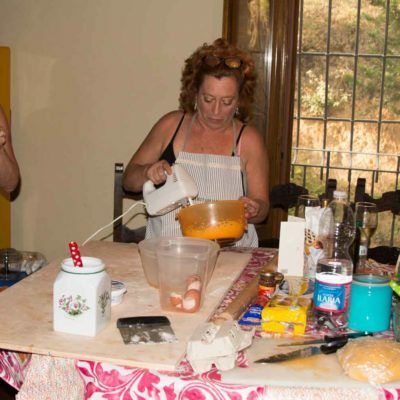 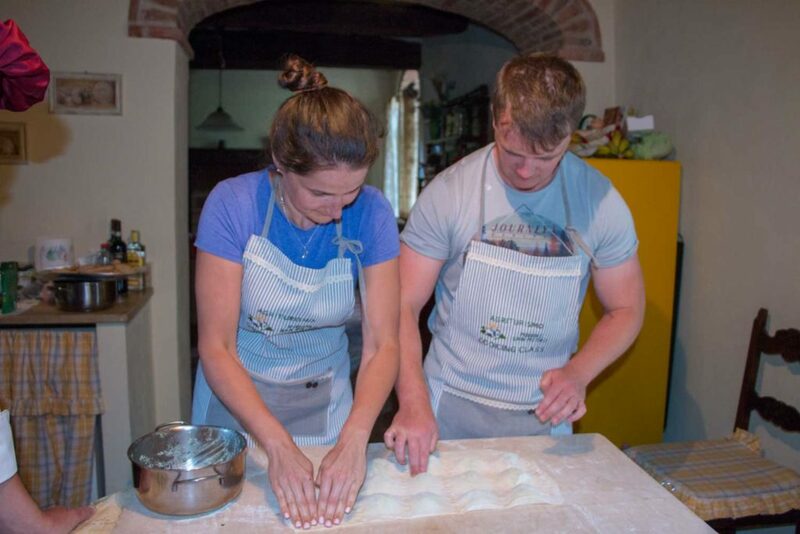 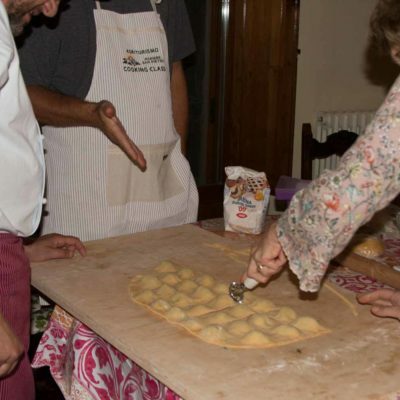 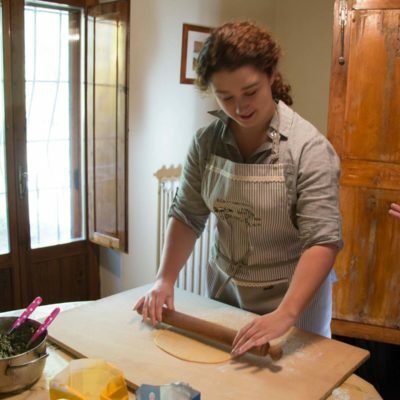 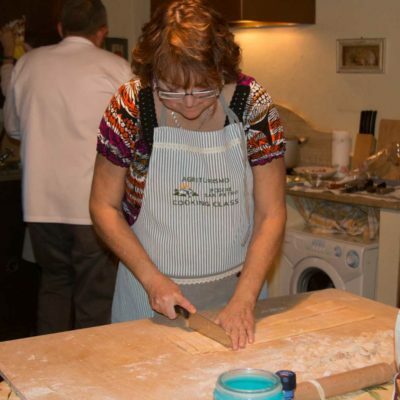 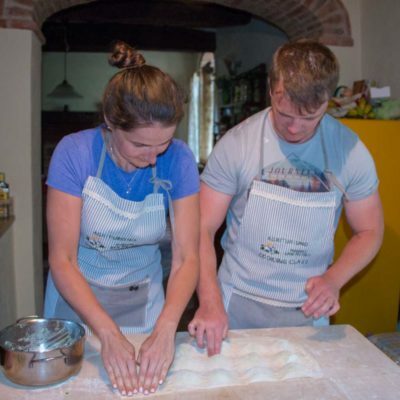 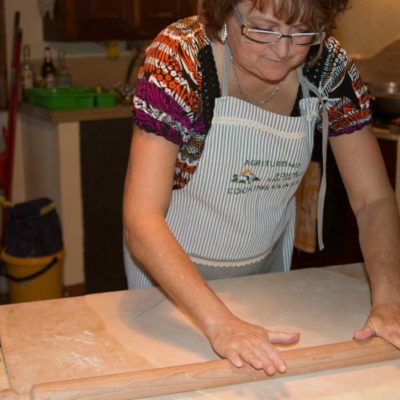 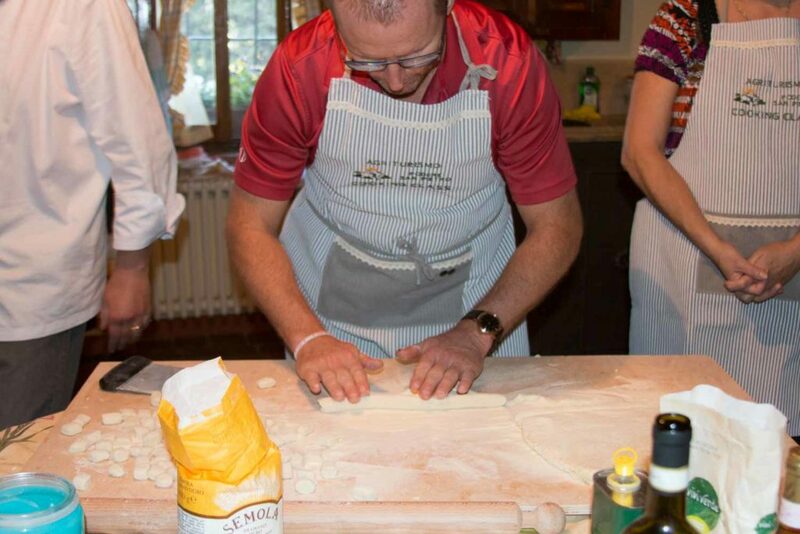 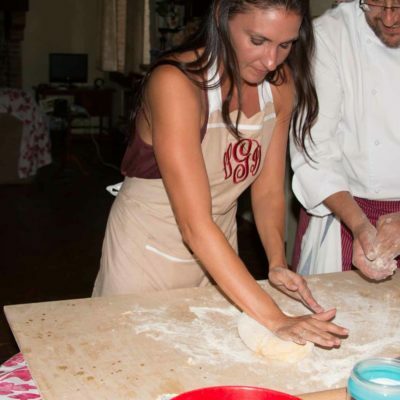 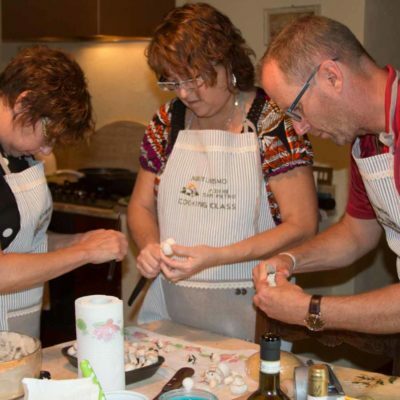 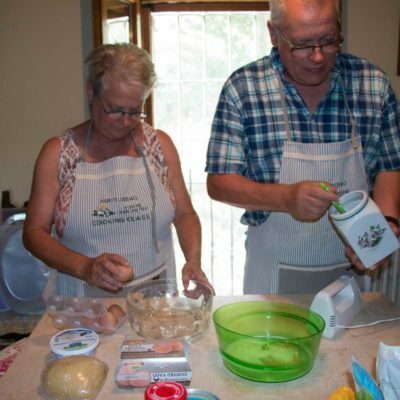 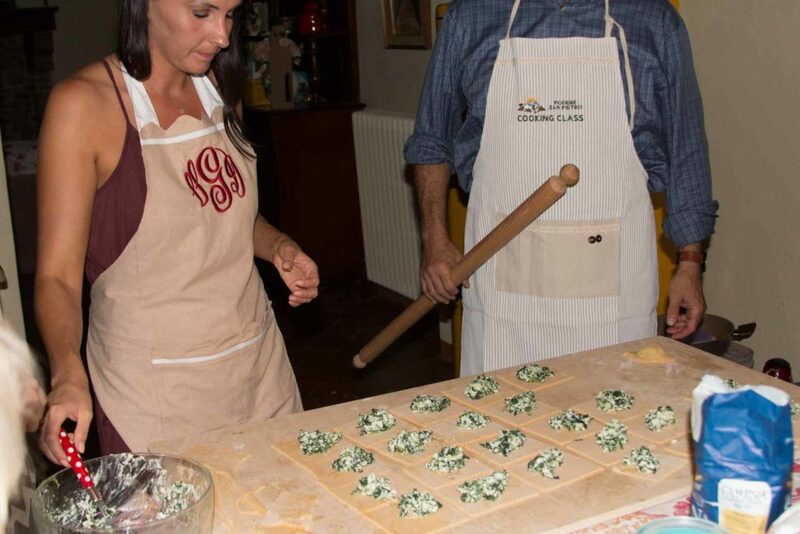 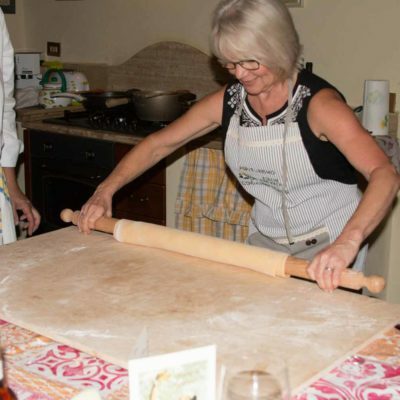 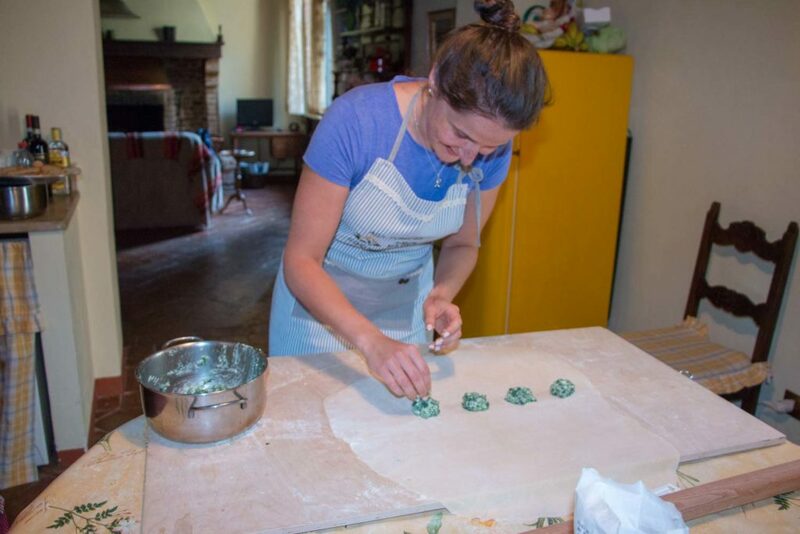 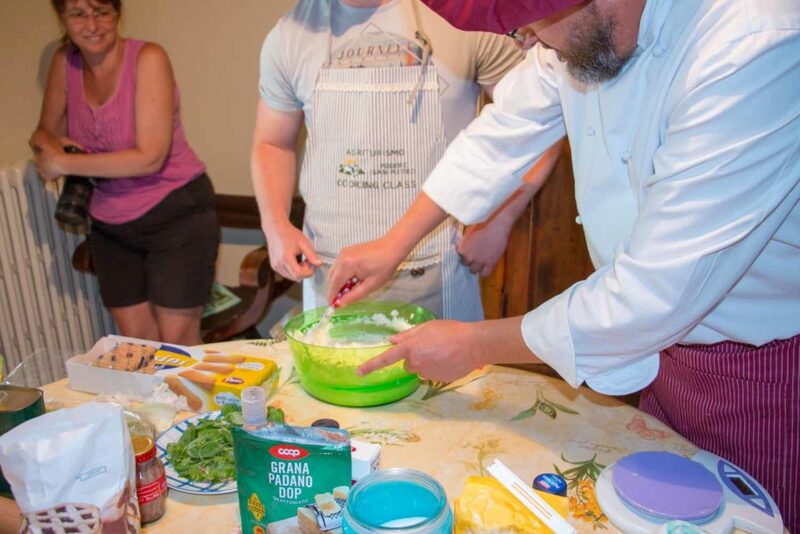 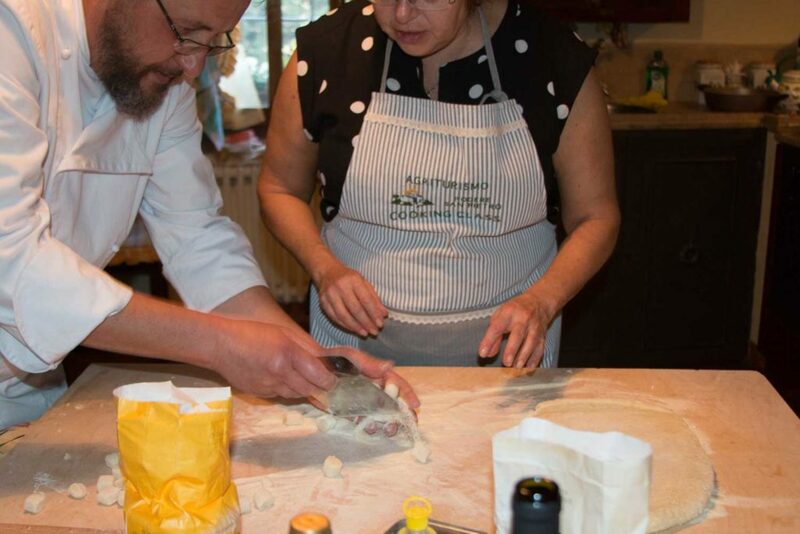 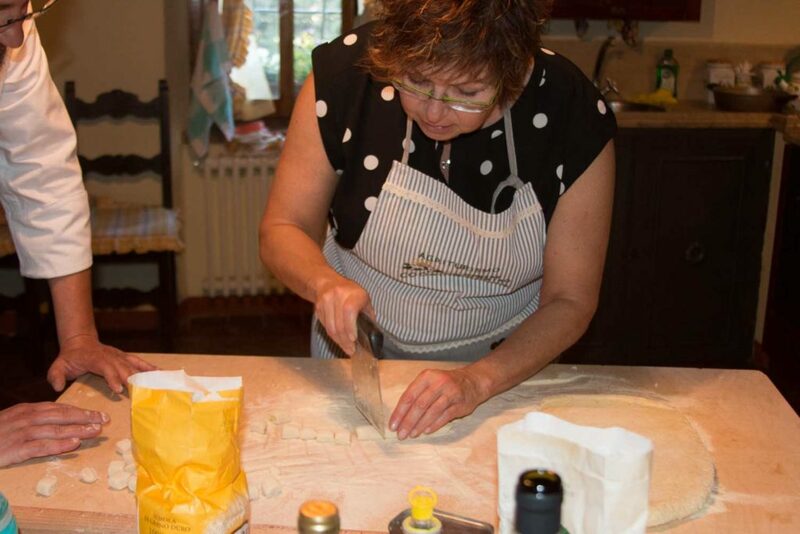 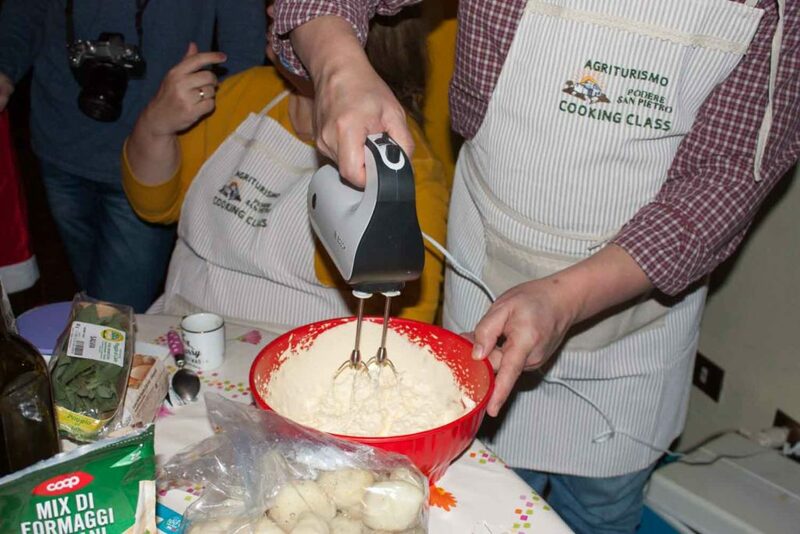 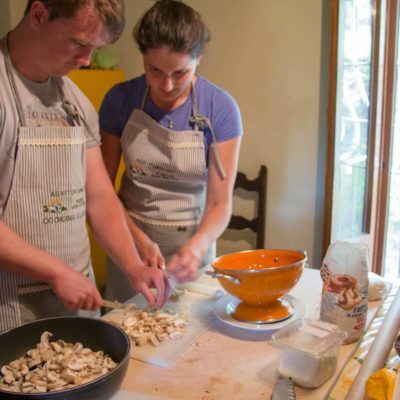 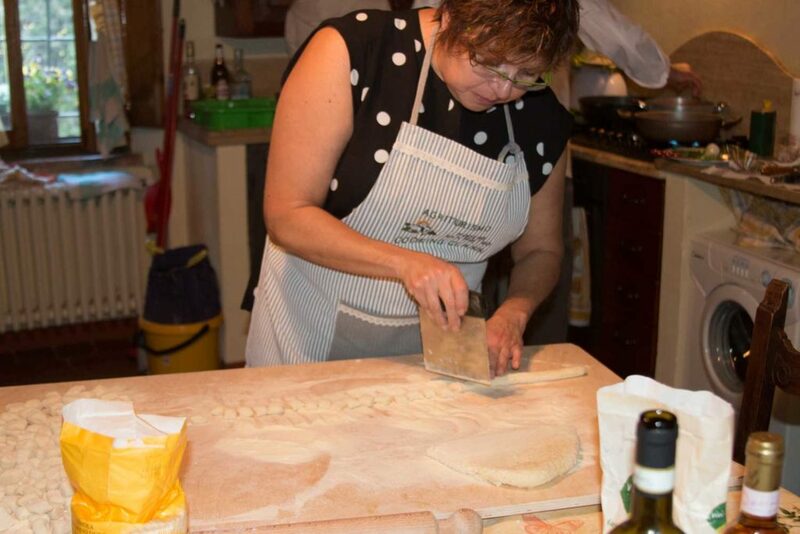 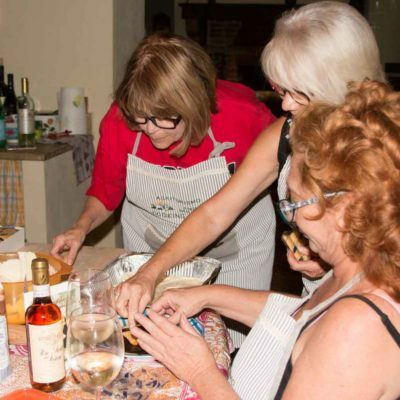 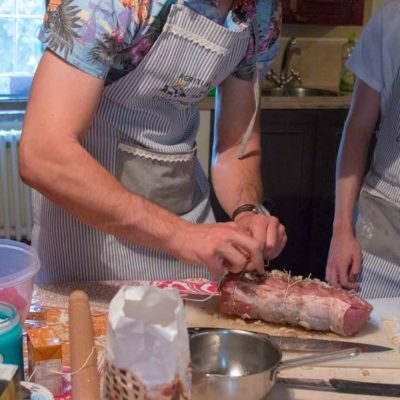 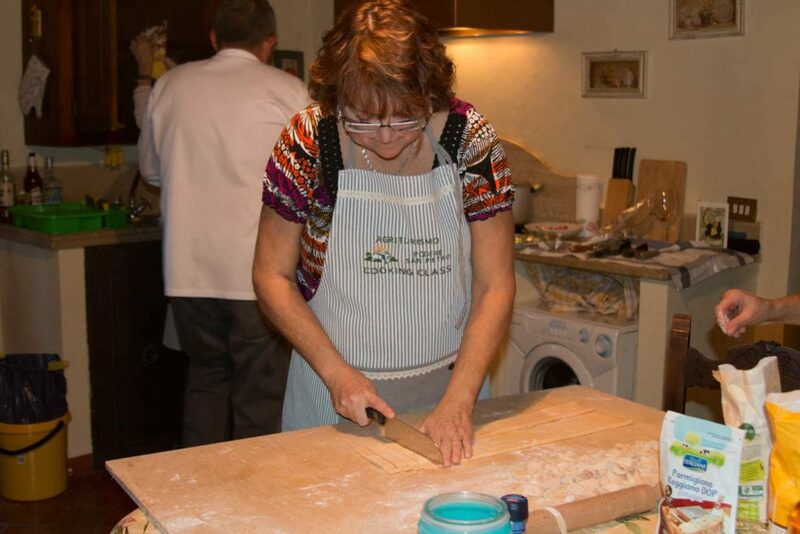 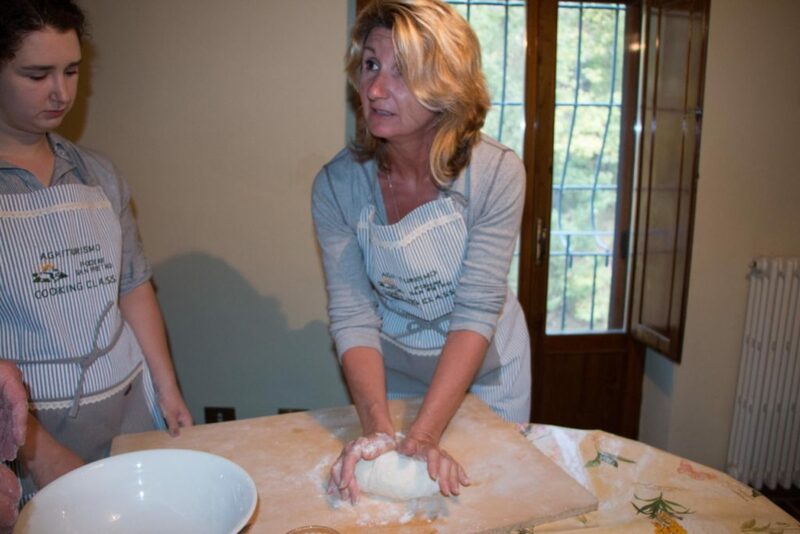 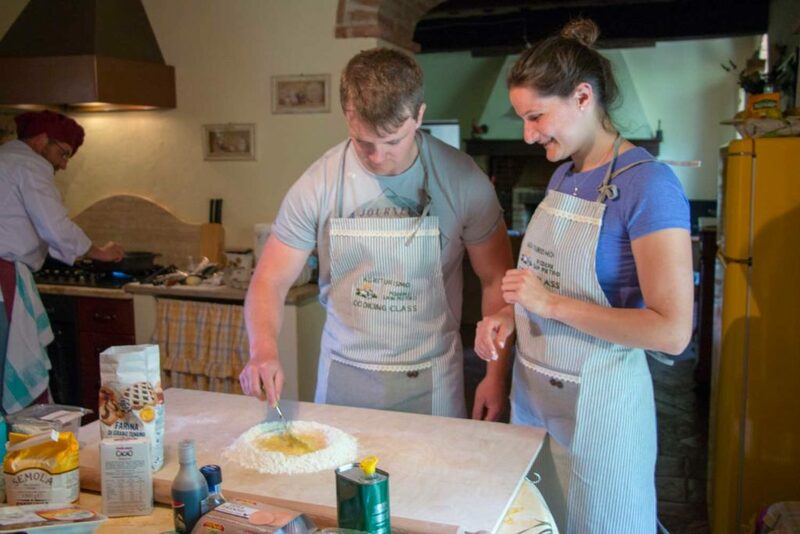 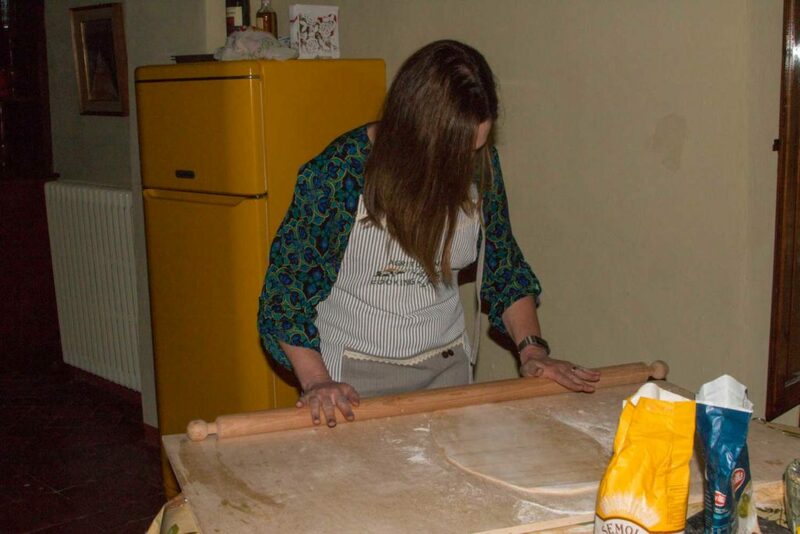 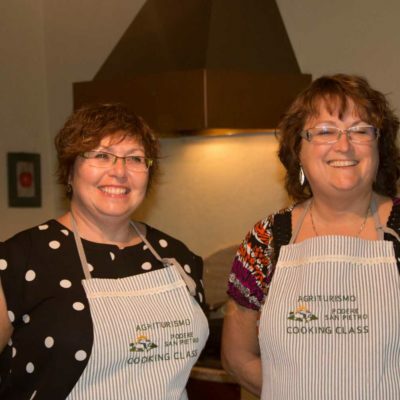 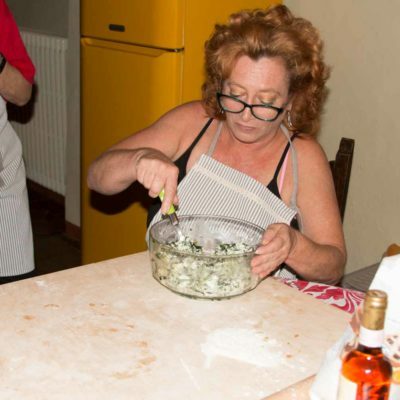 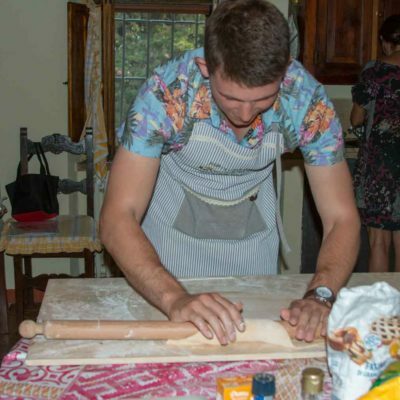 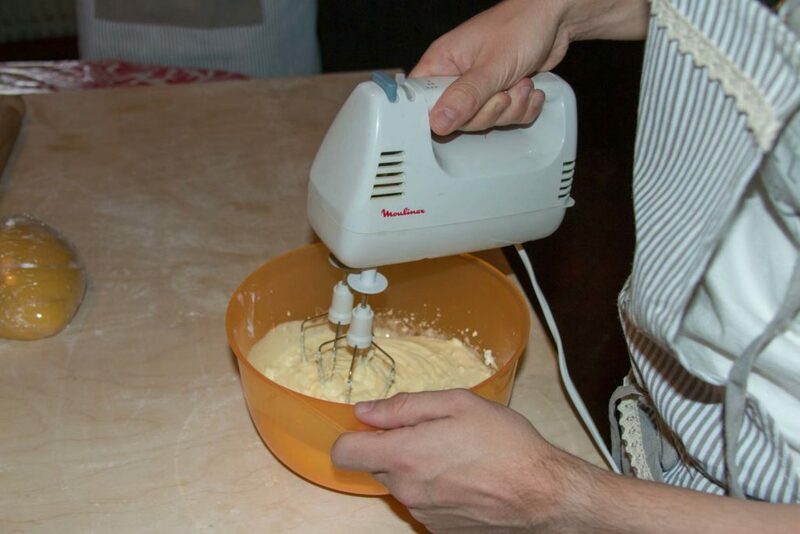 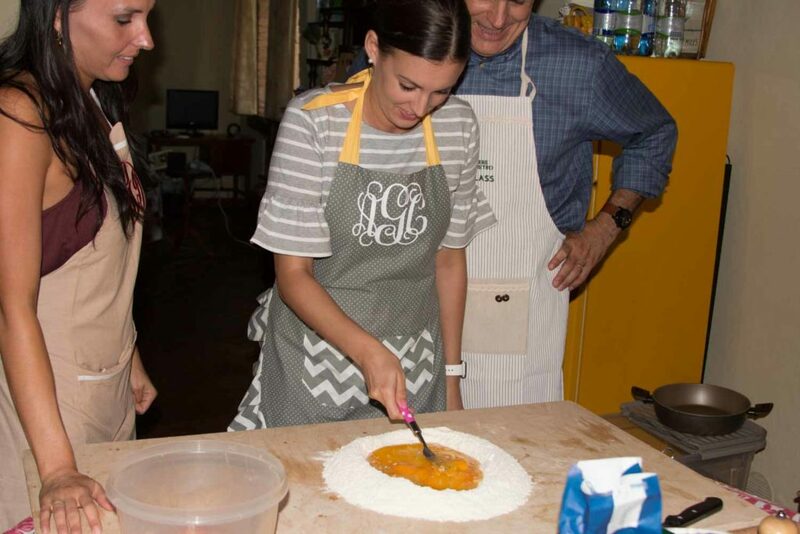 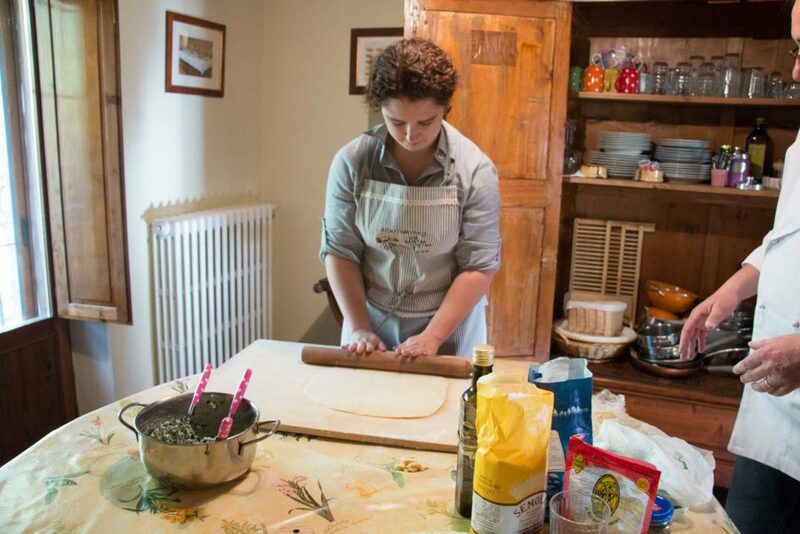 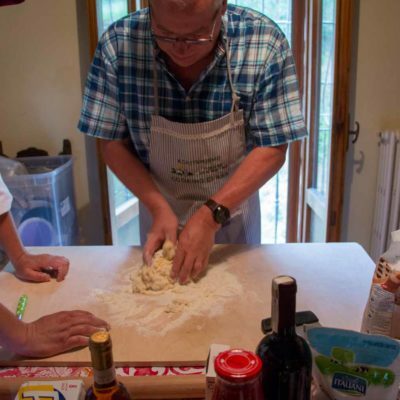 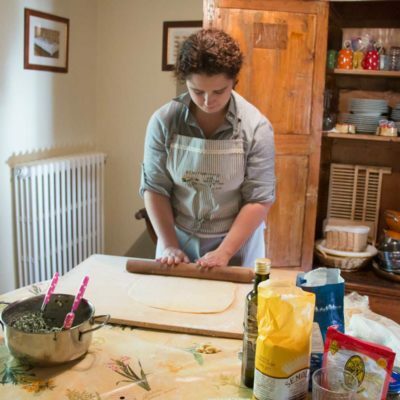 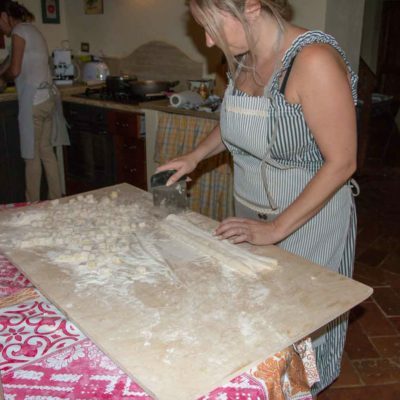 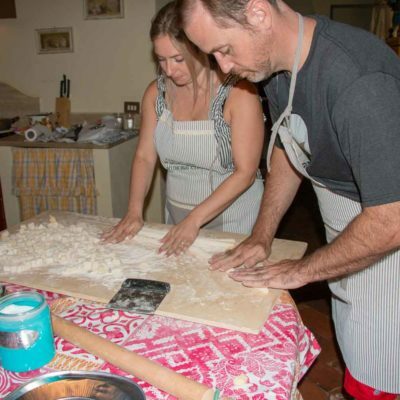 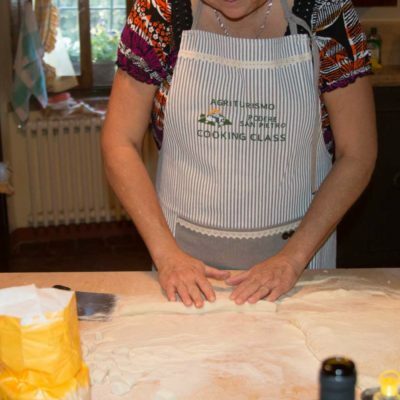 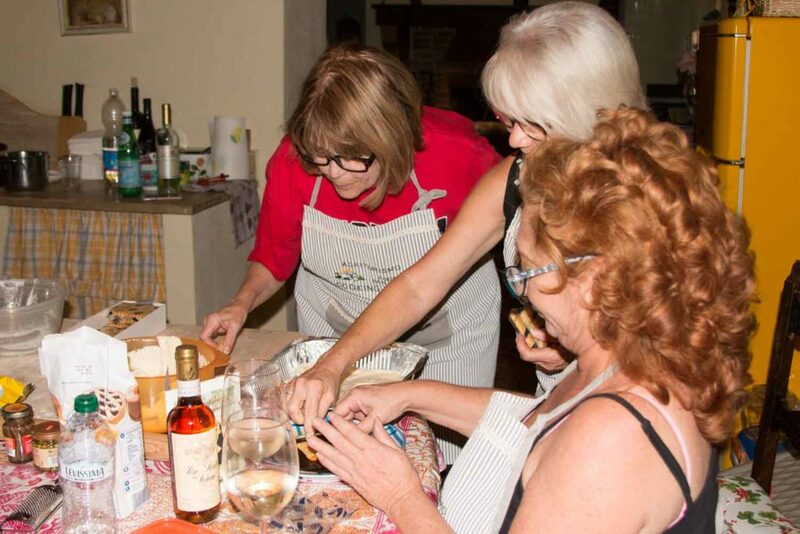 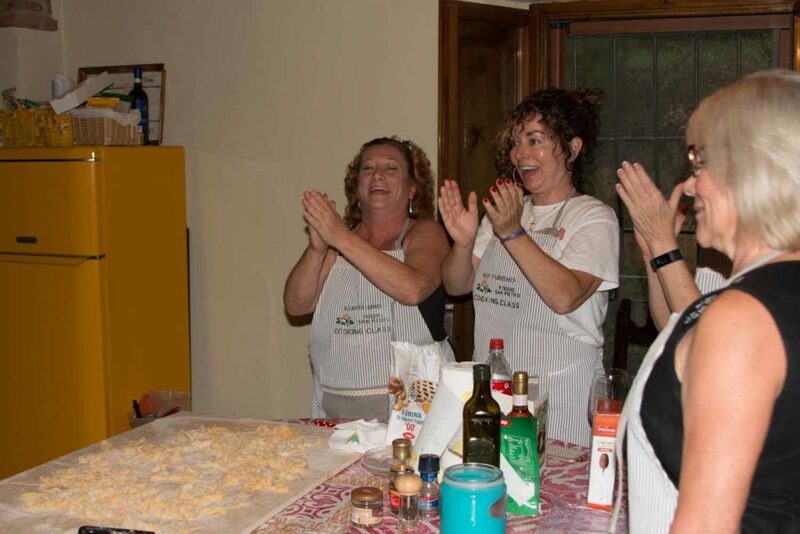 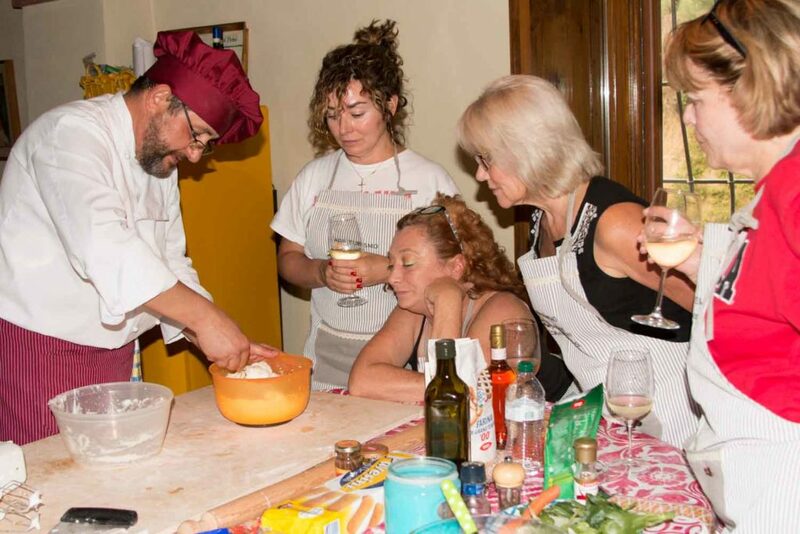 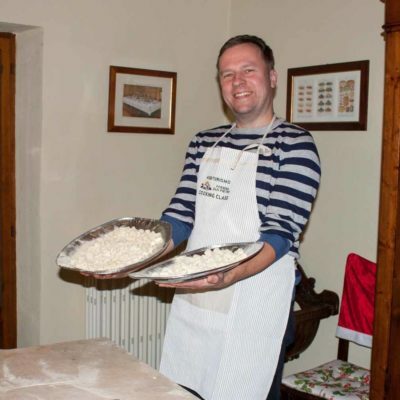 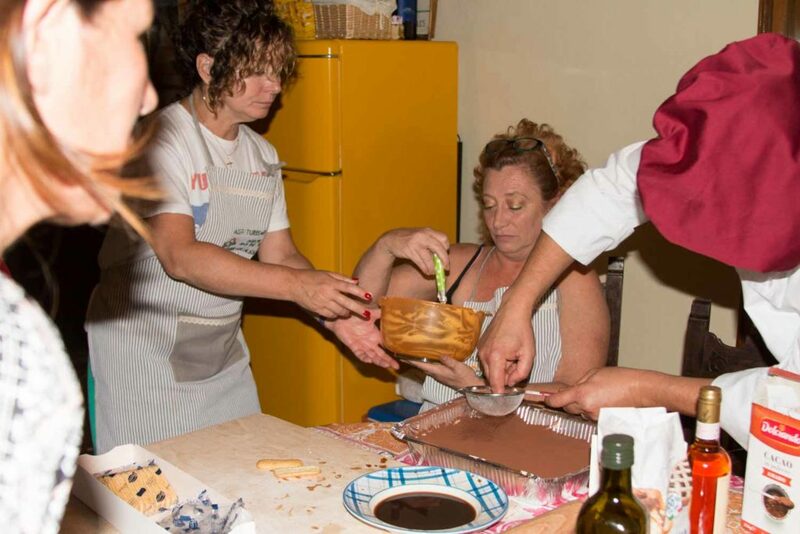 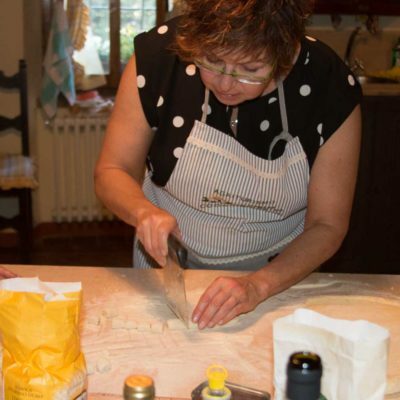 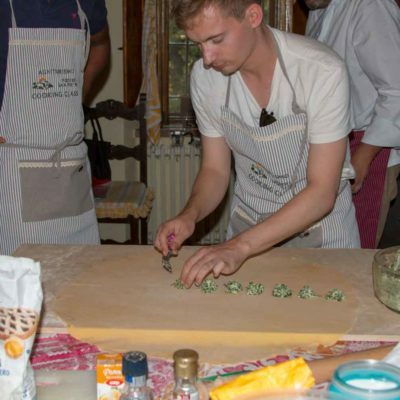 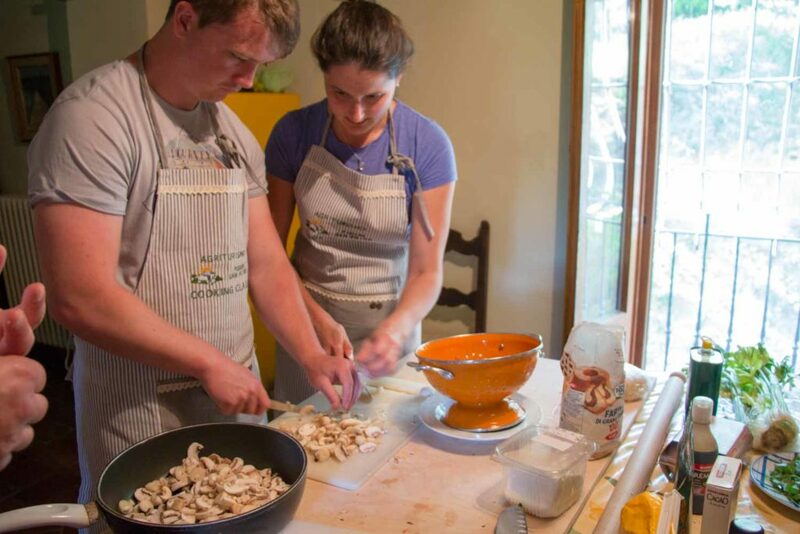 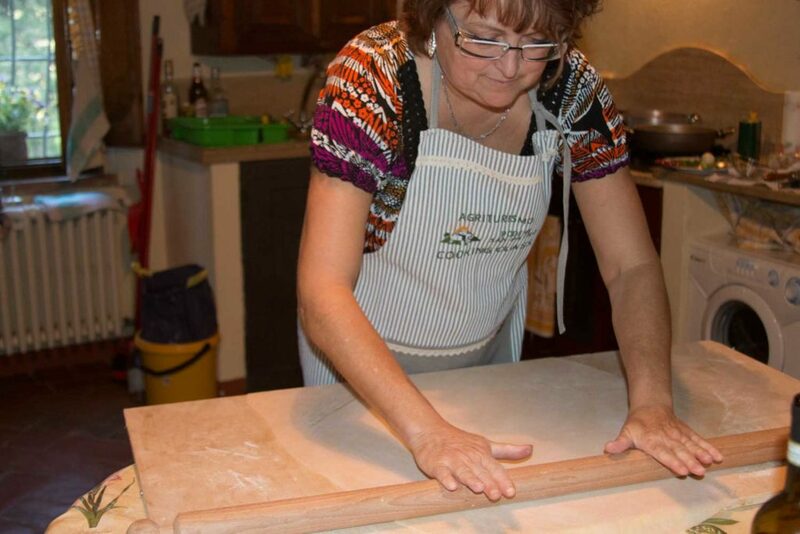 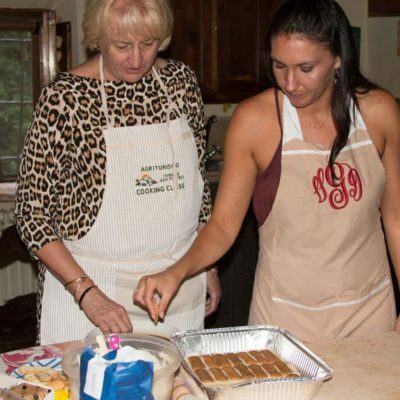 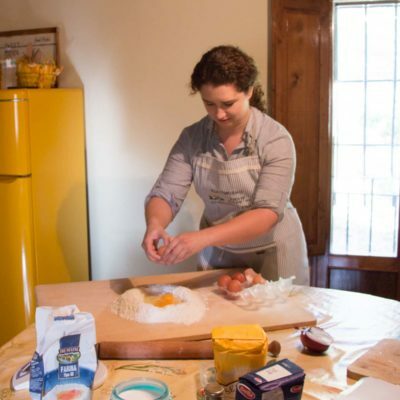 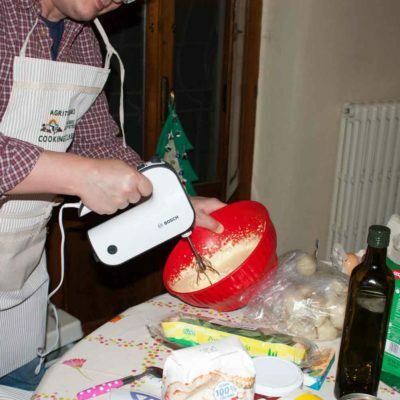 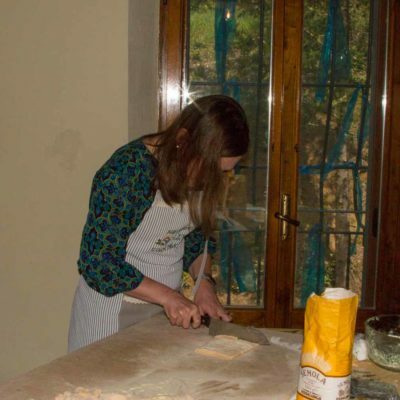 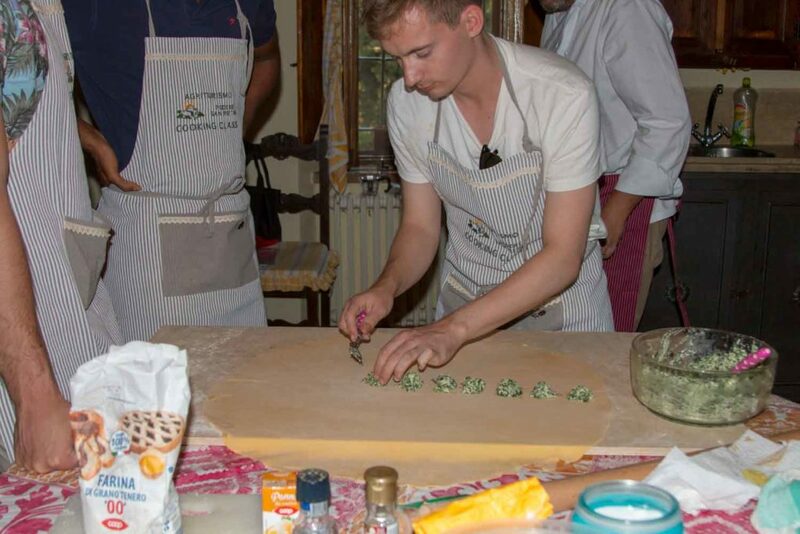 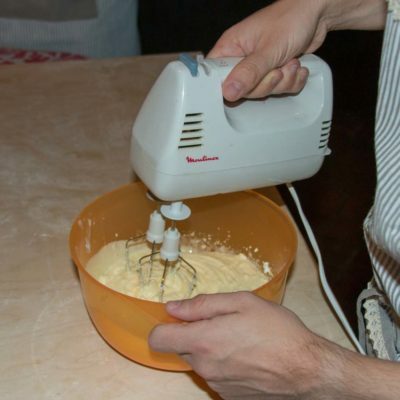 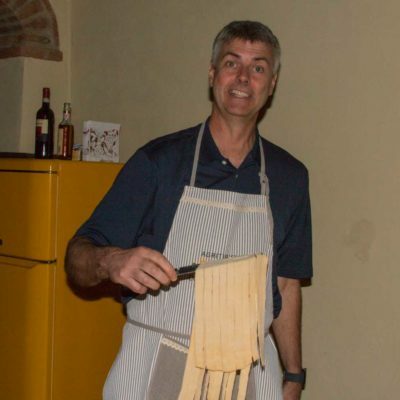 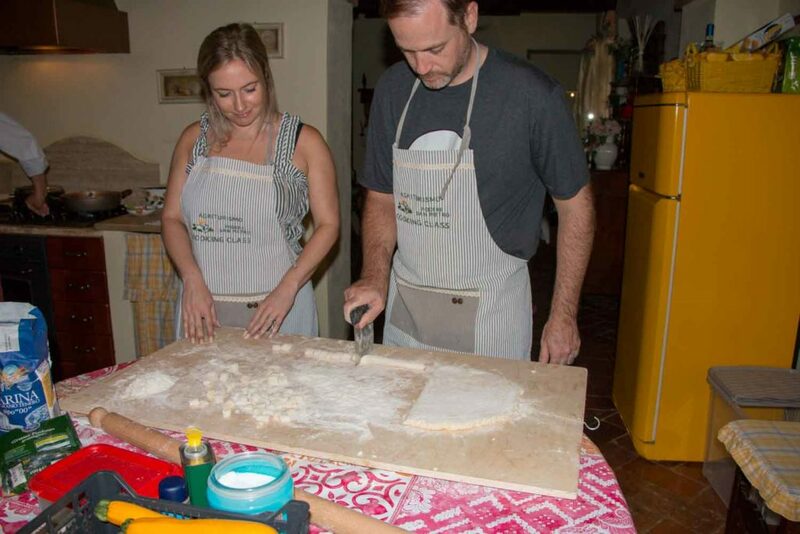 Book your unique Italian Cooking Classes! 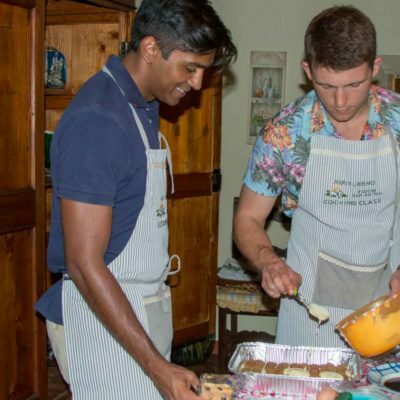 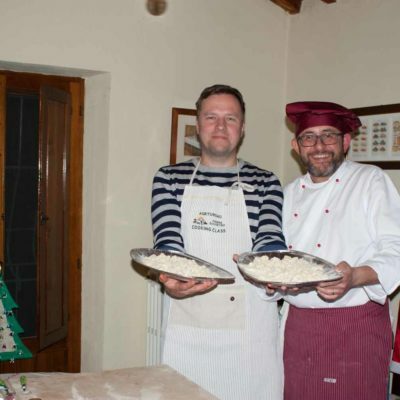 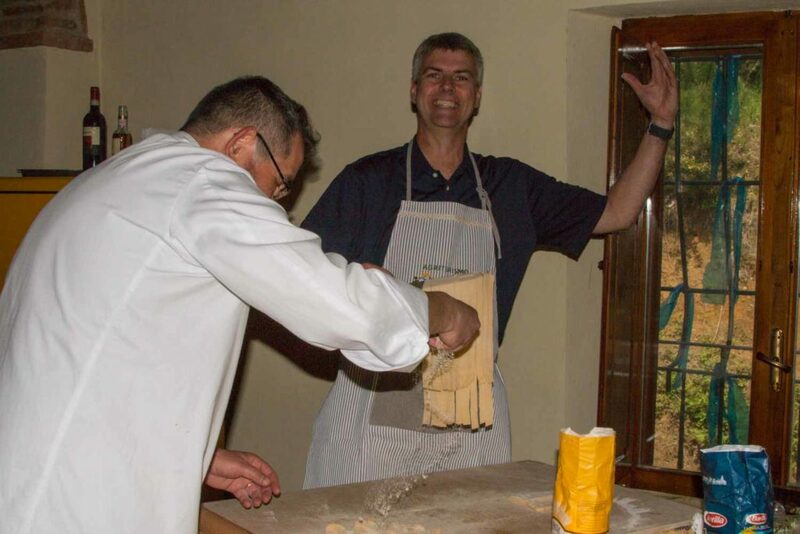 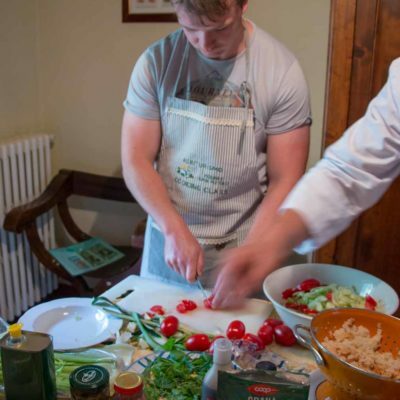 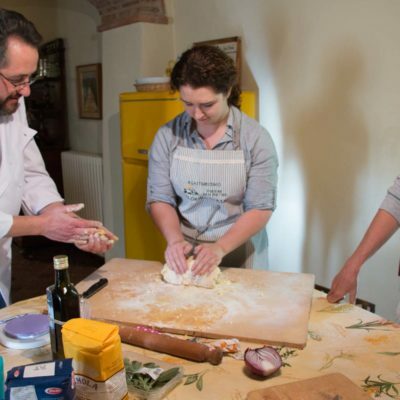 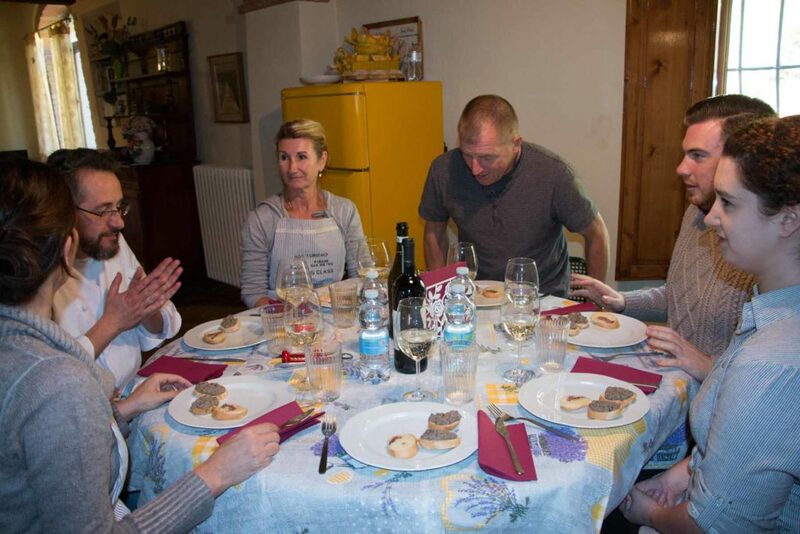 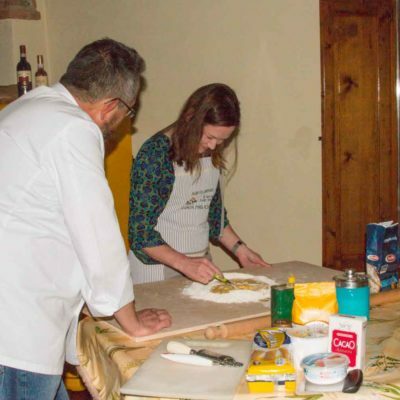 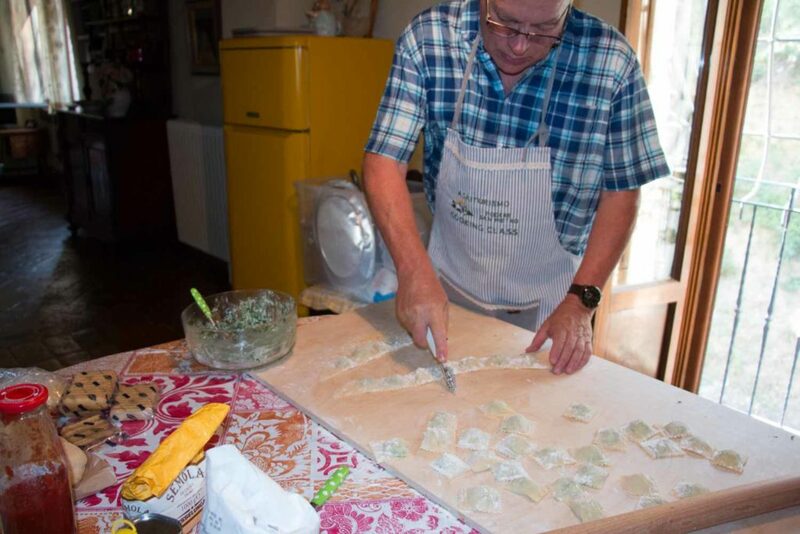 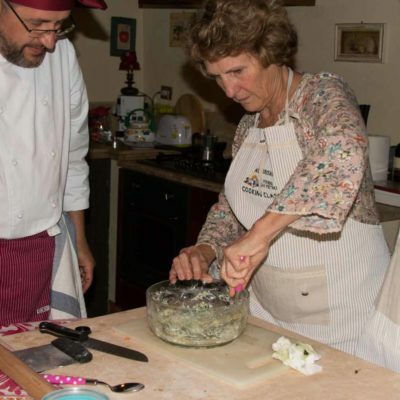 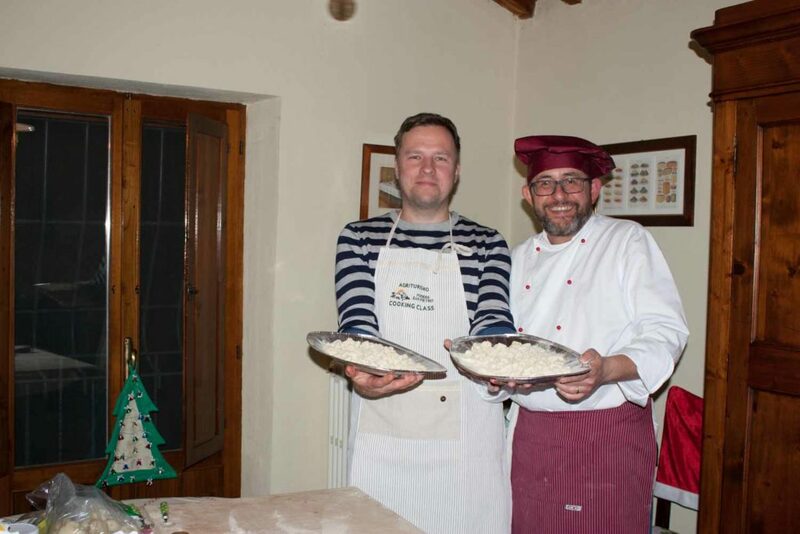 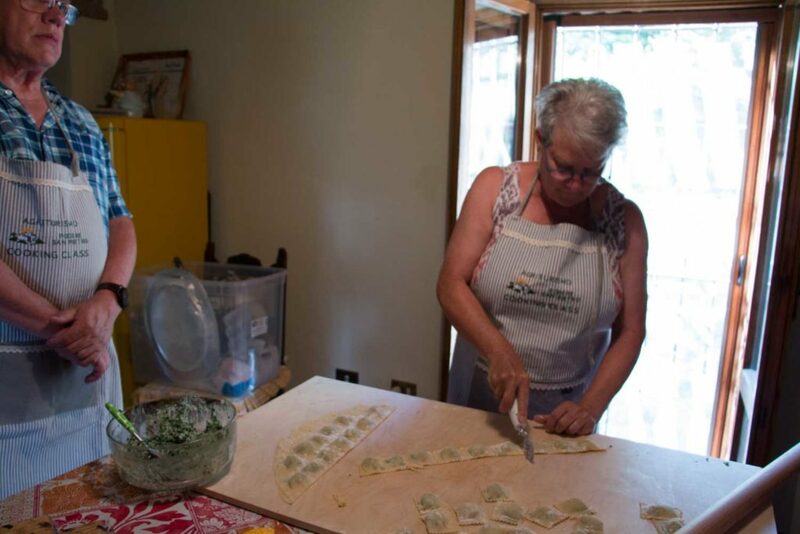 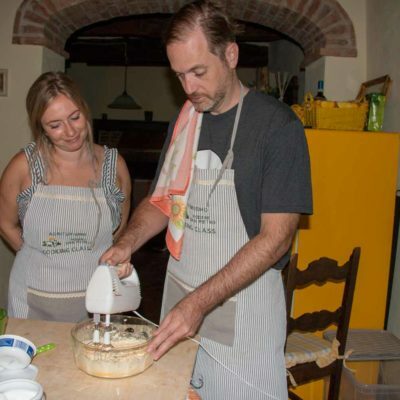 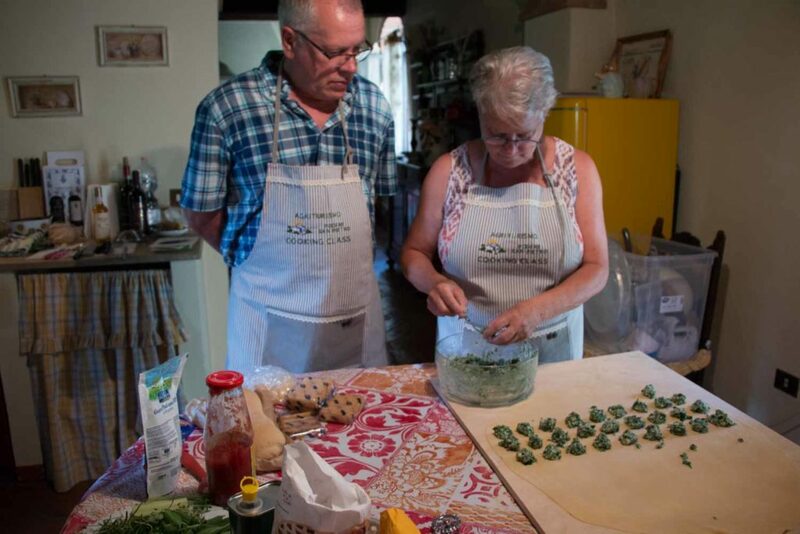 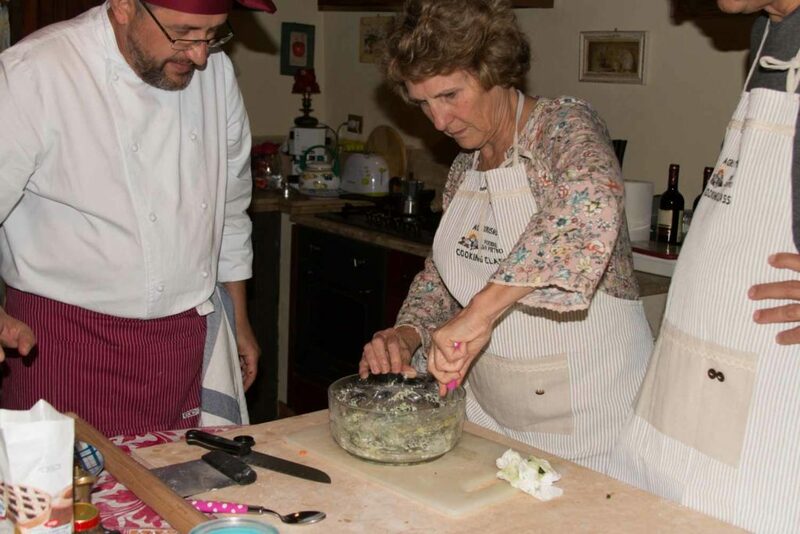 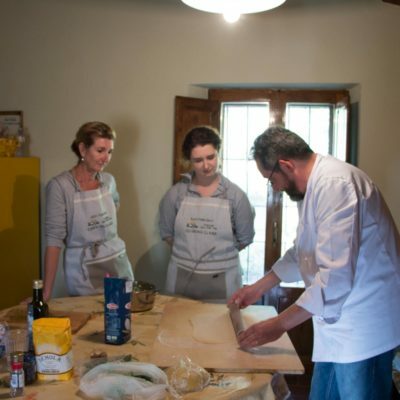 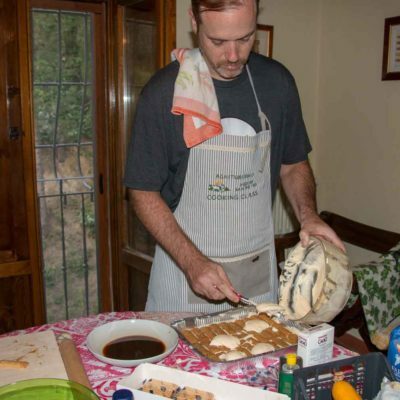 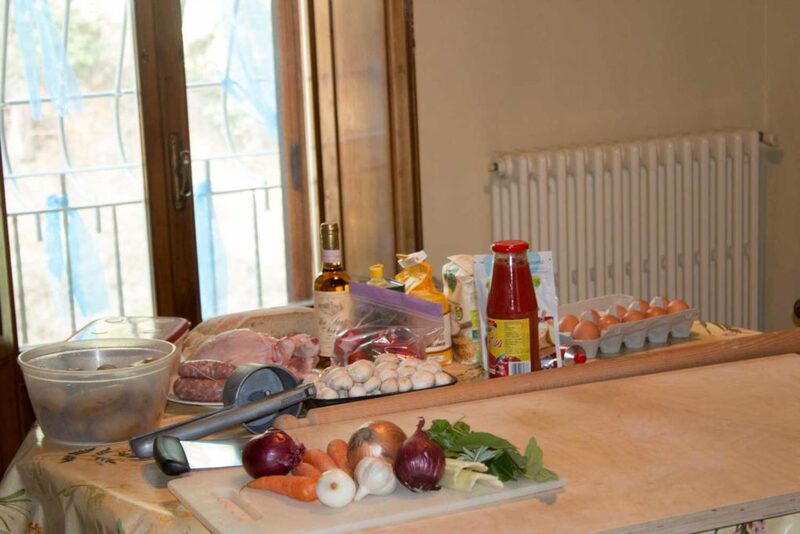 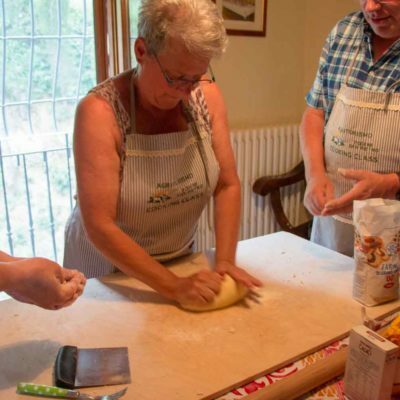 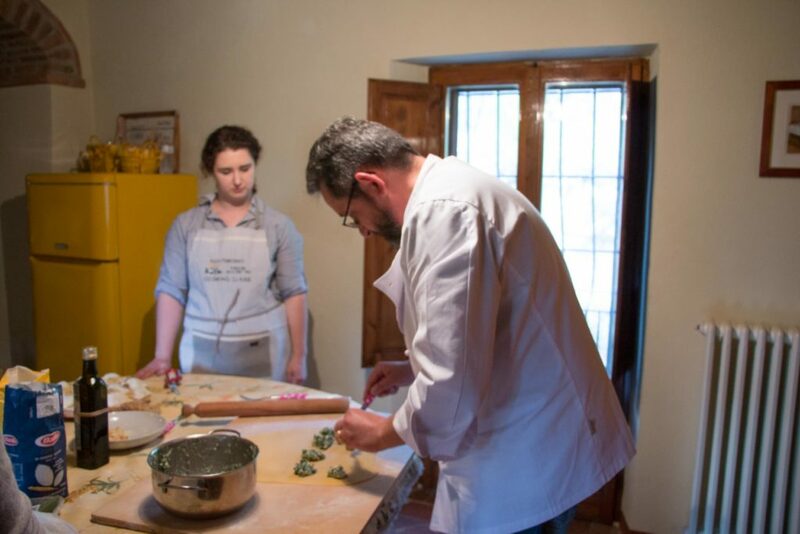 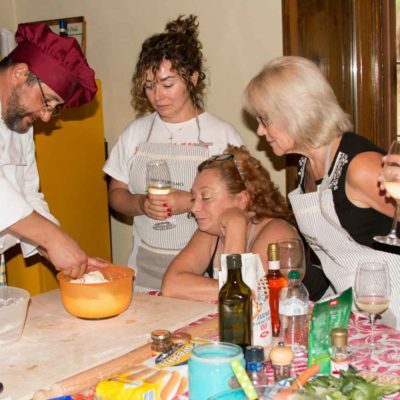 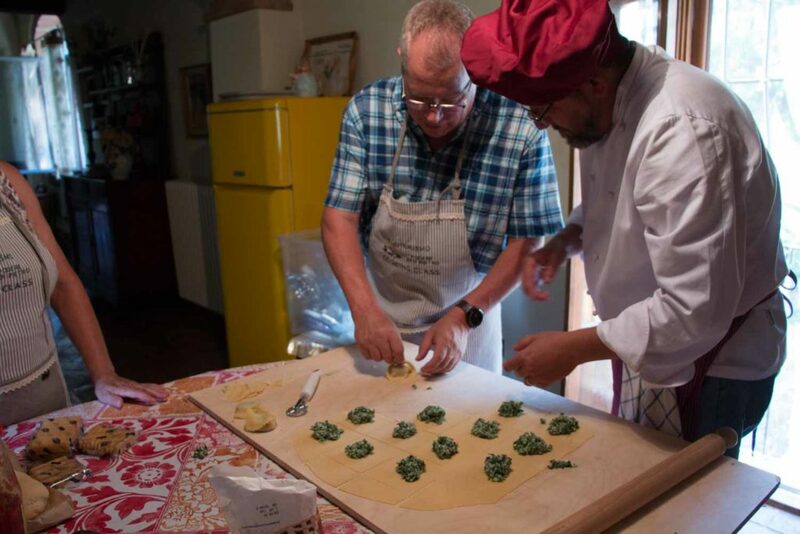 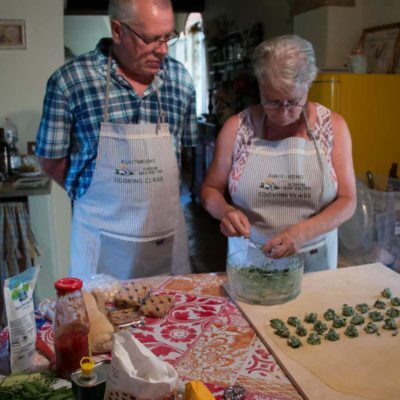 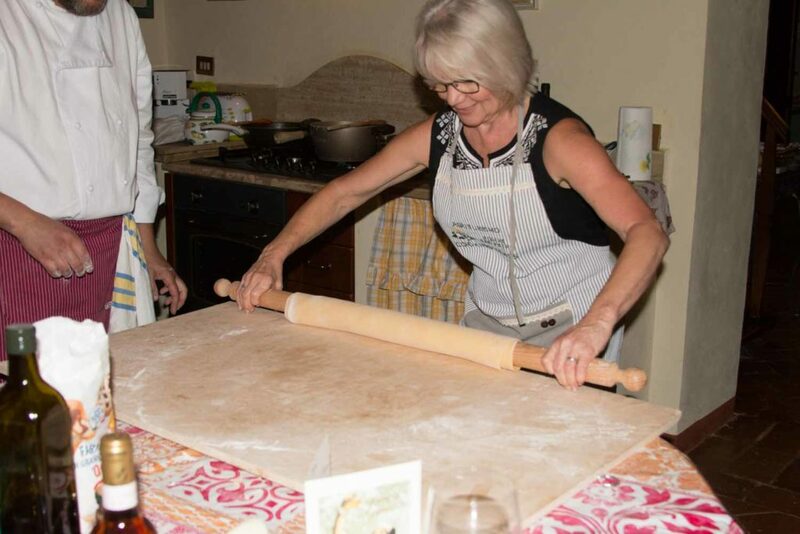 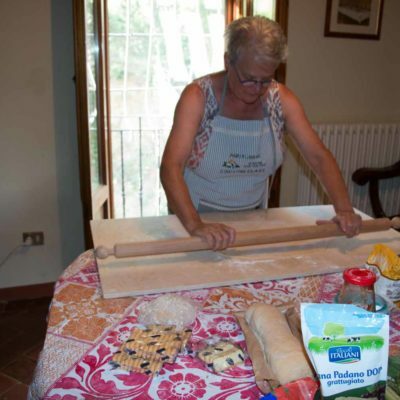 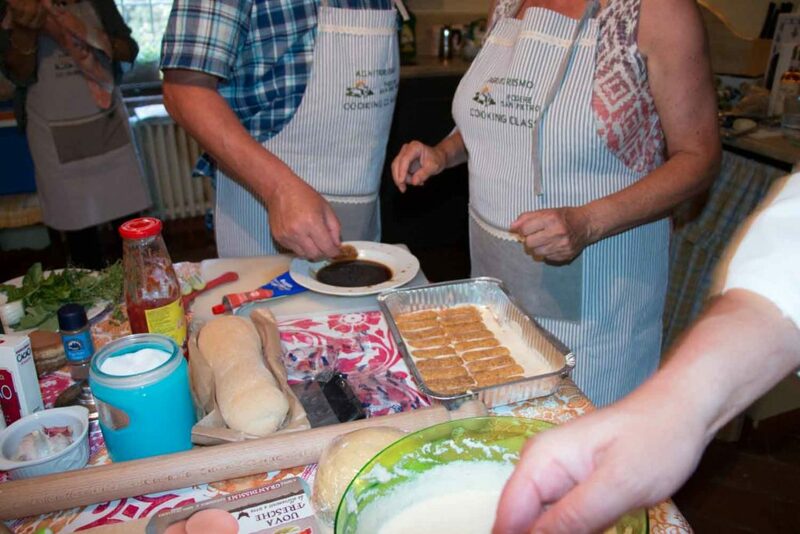 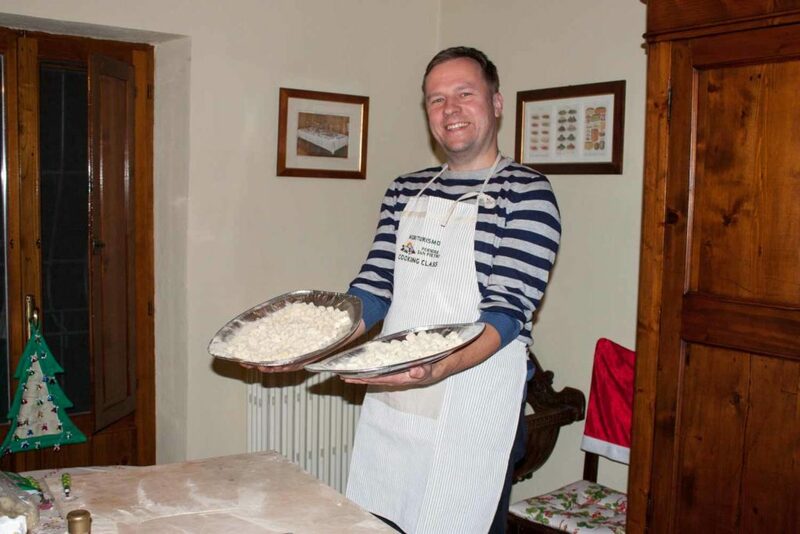 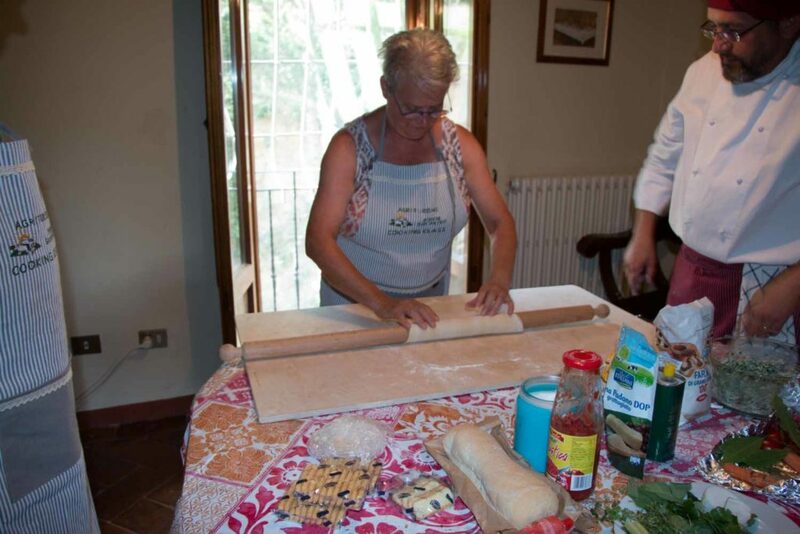 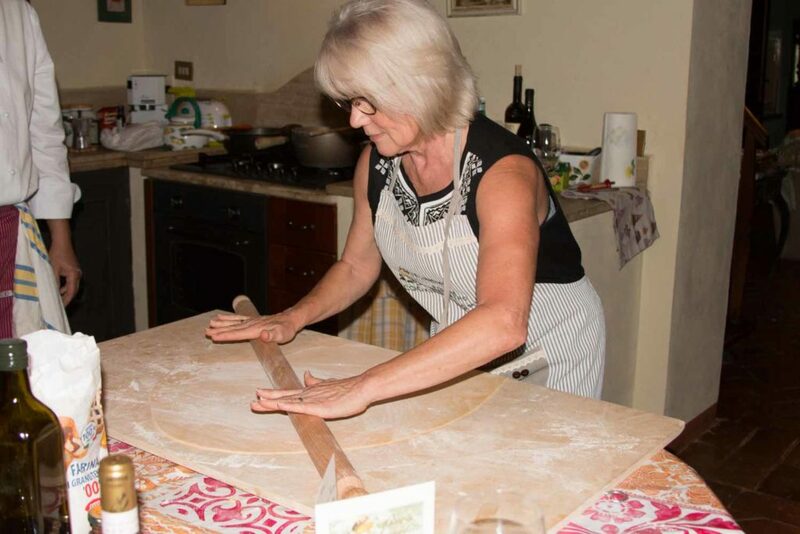 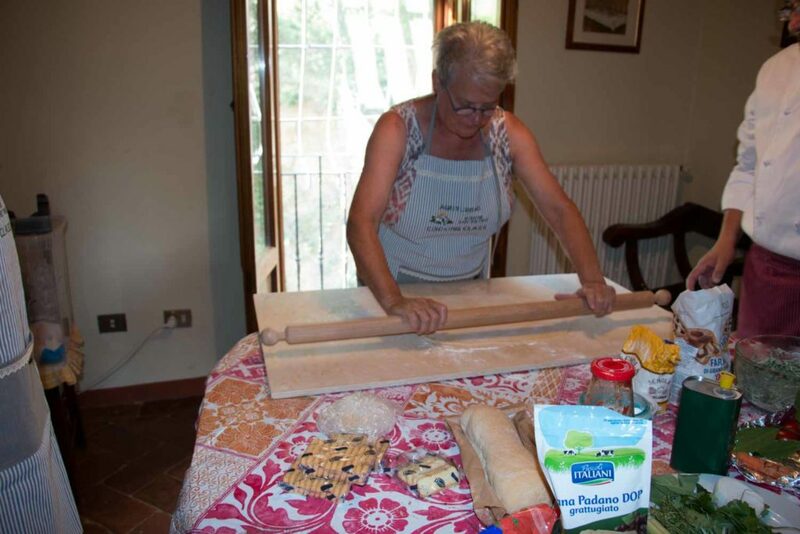 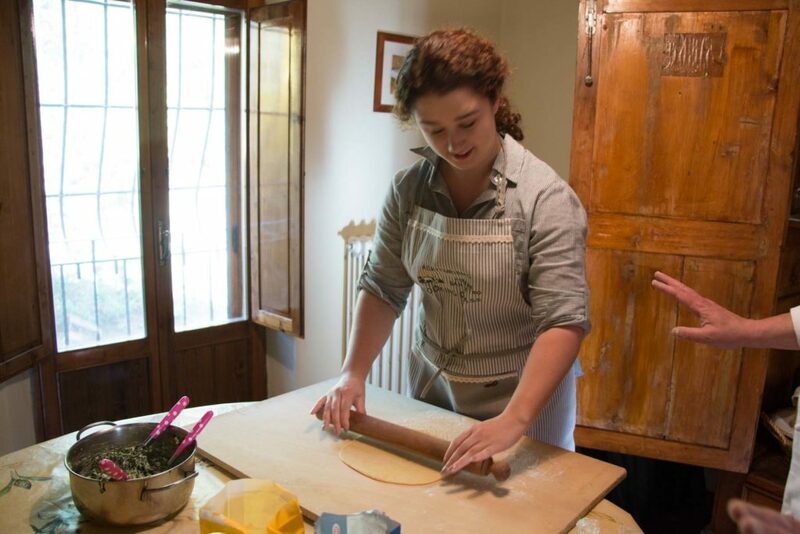 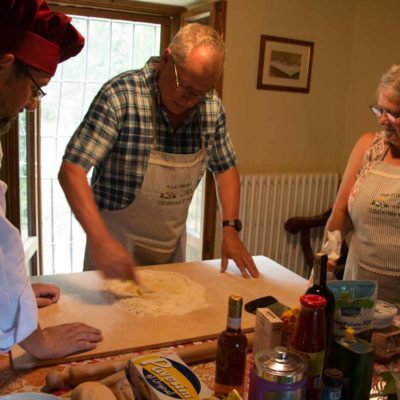 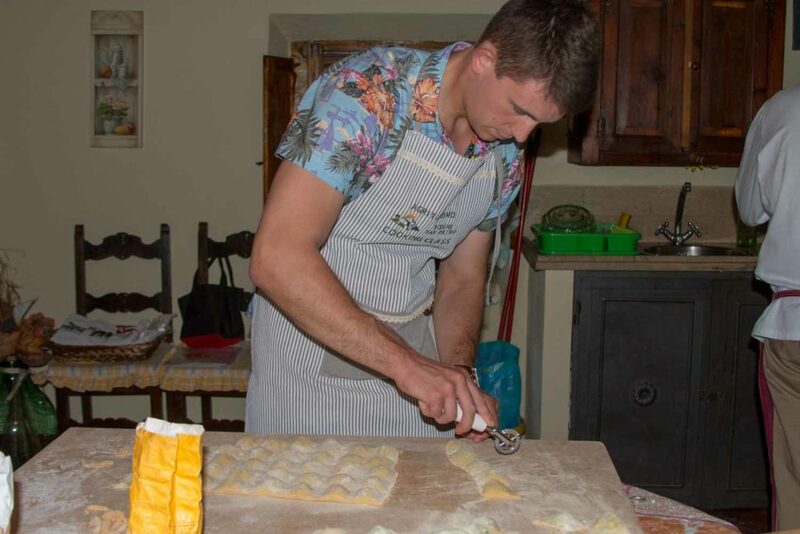 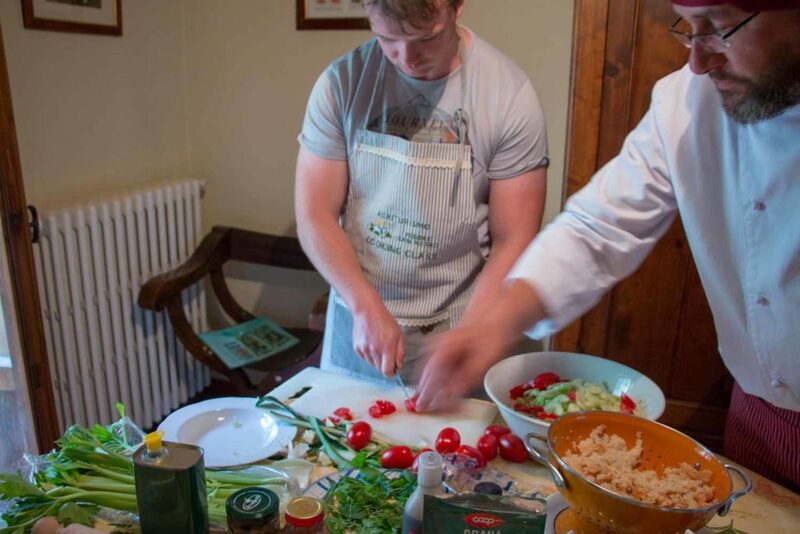 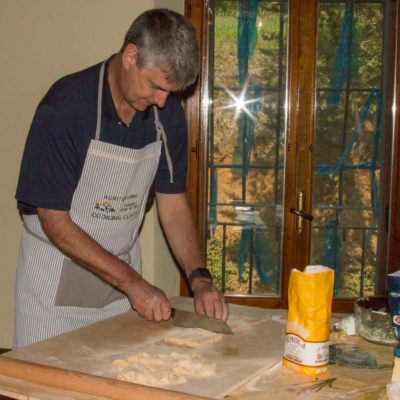 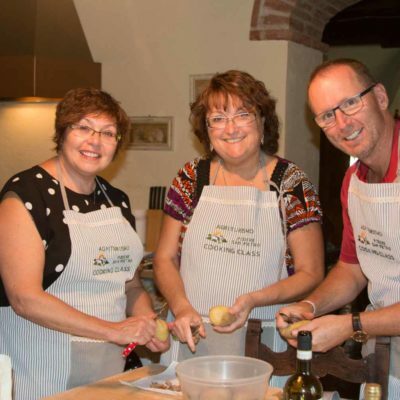 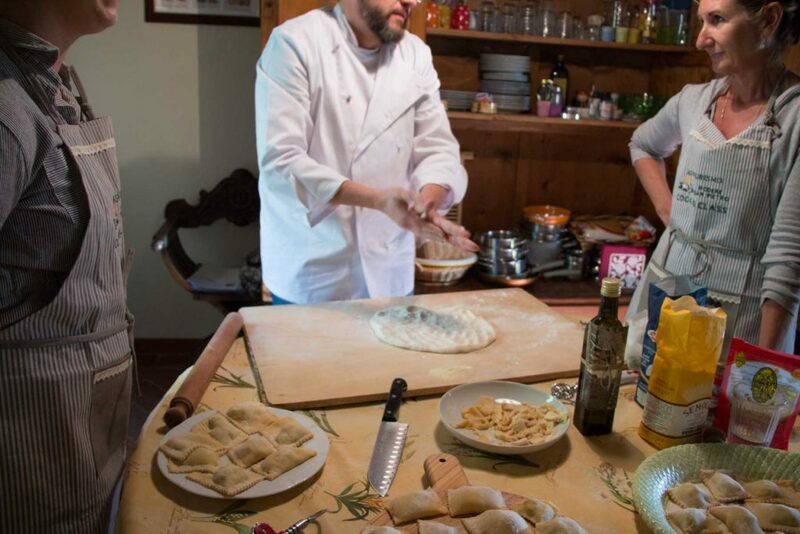 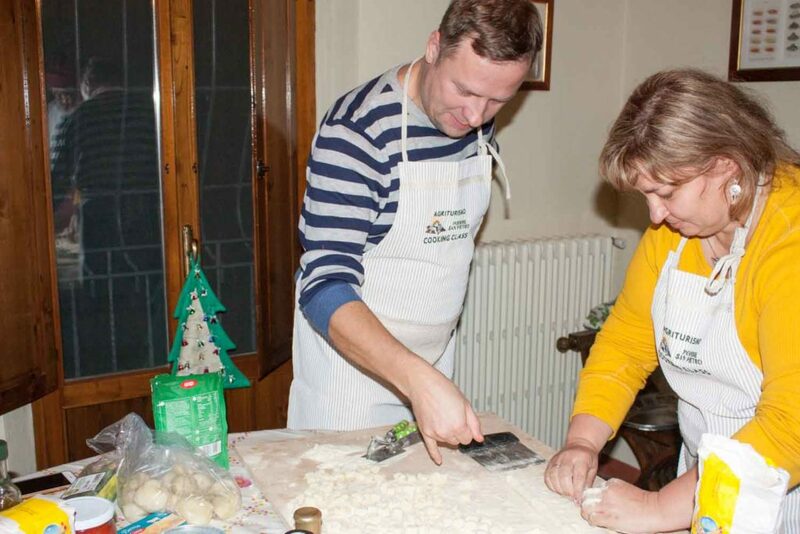 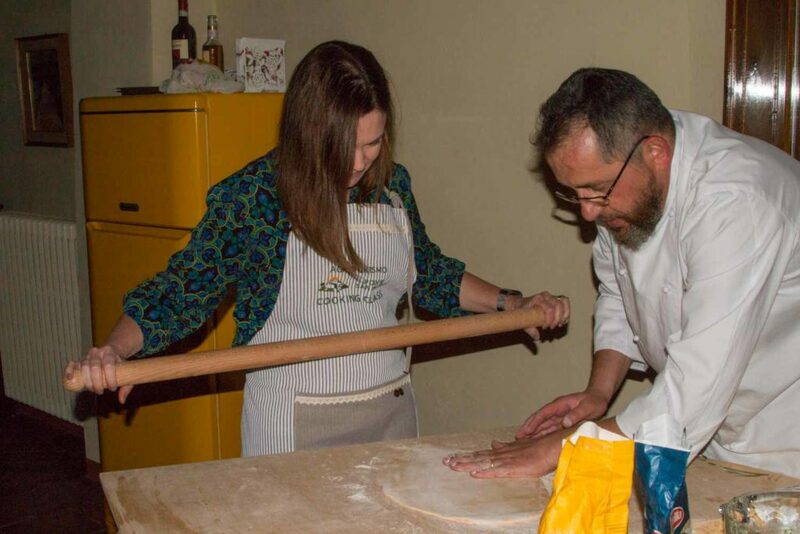 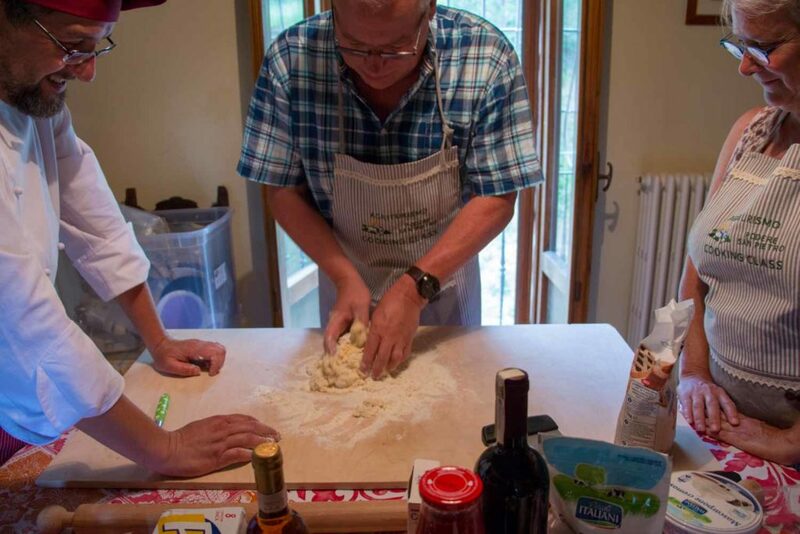 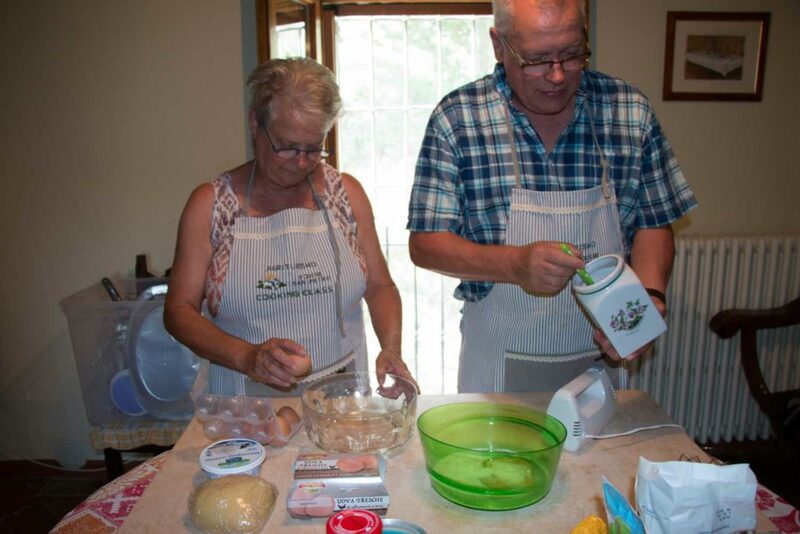 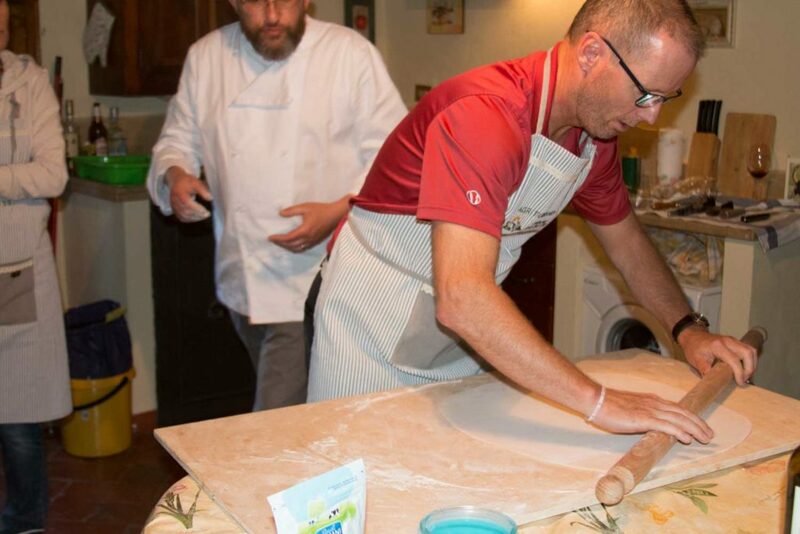 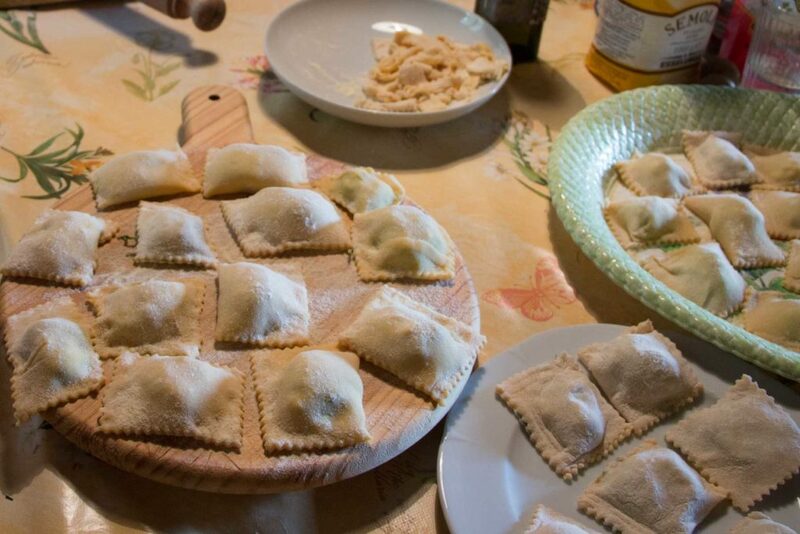 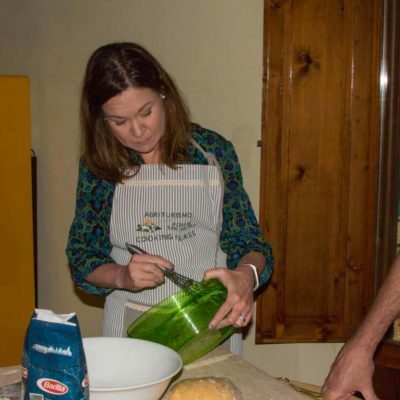 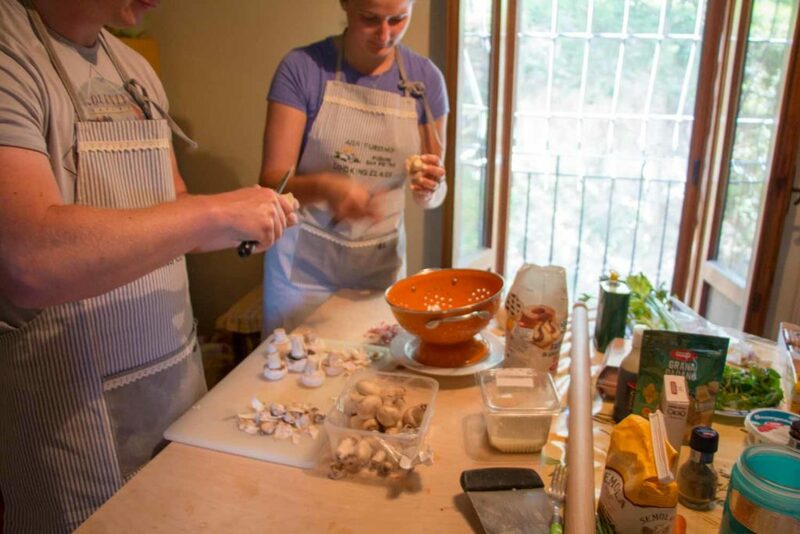 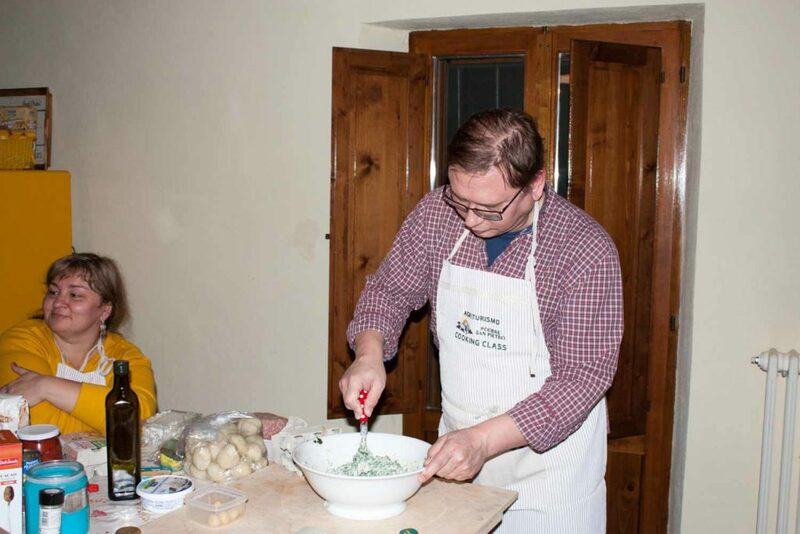 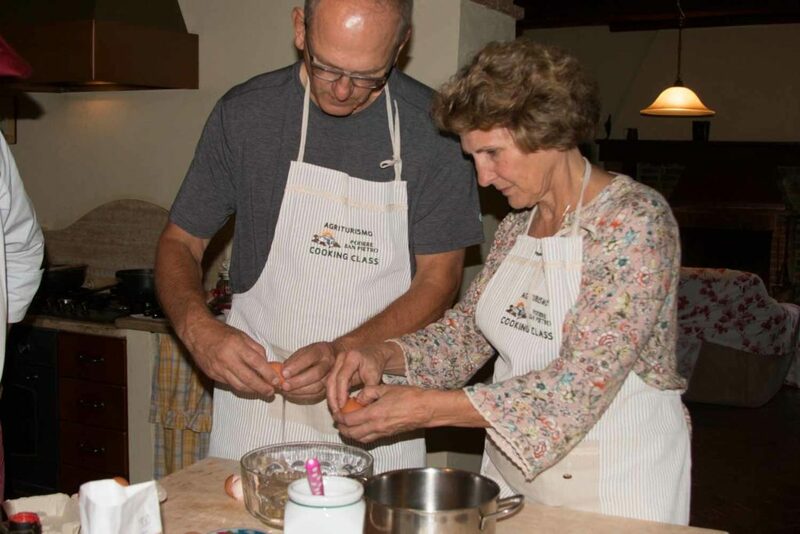 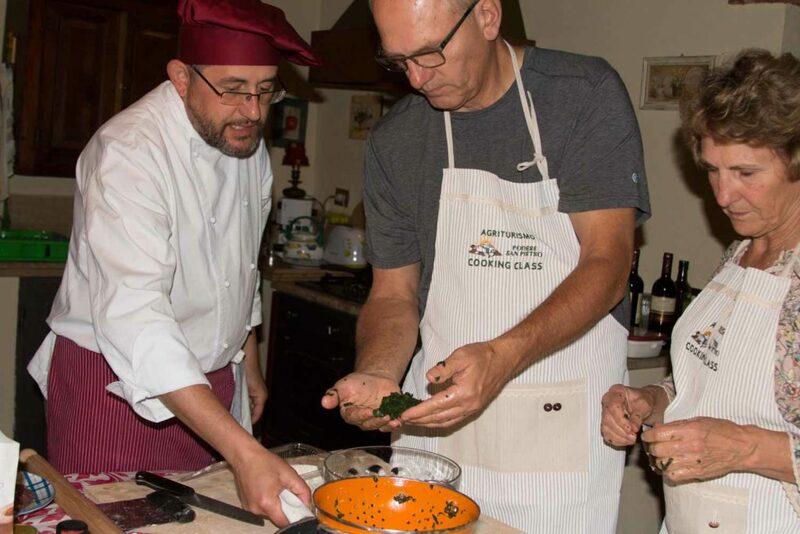 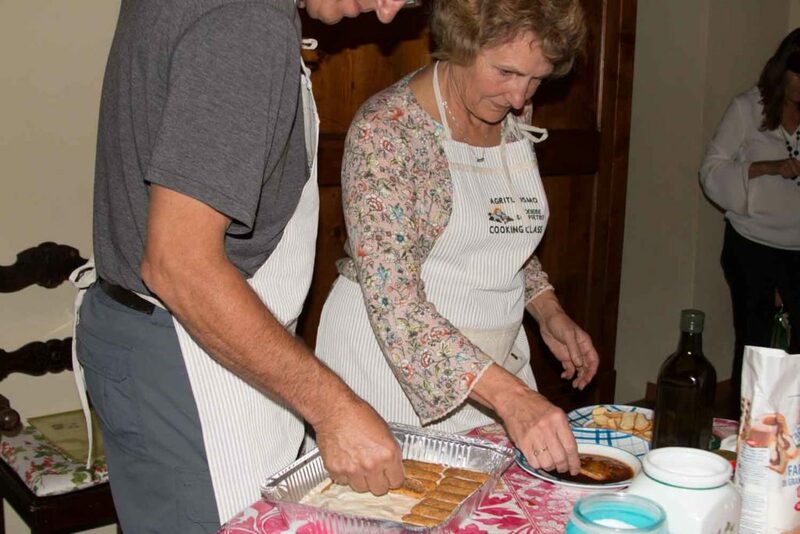 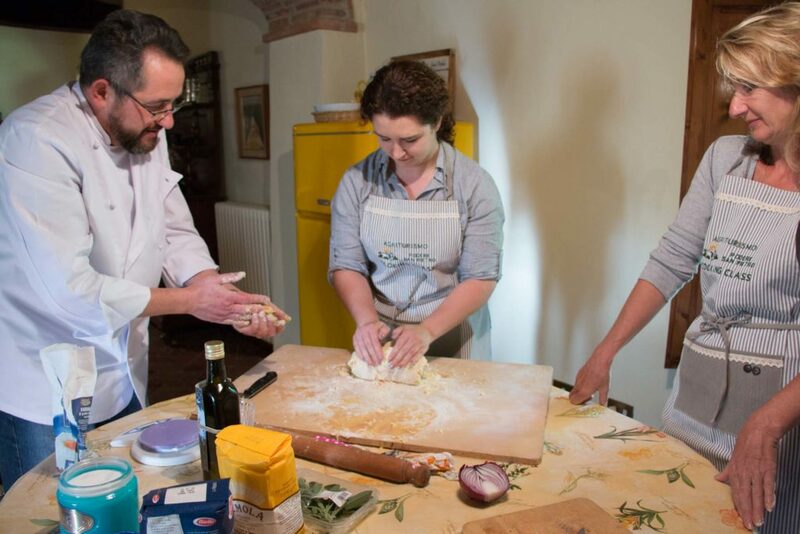 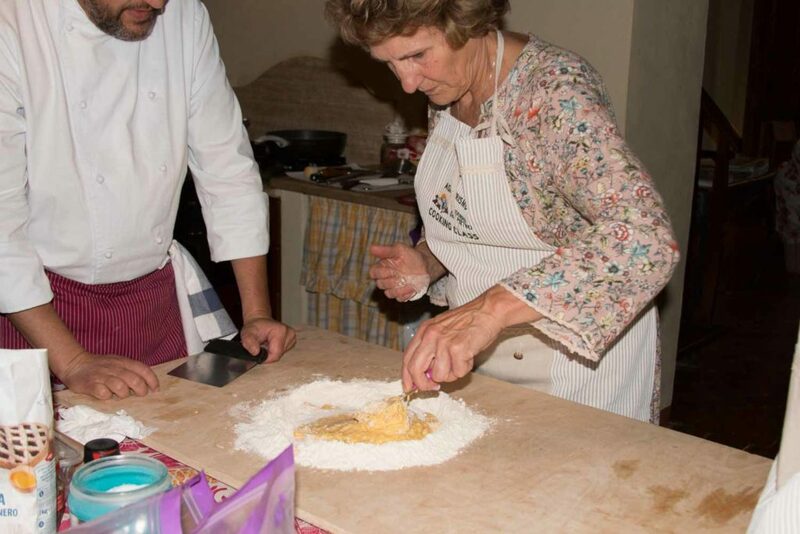 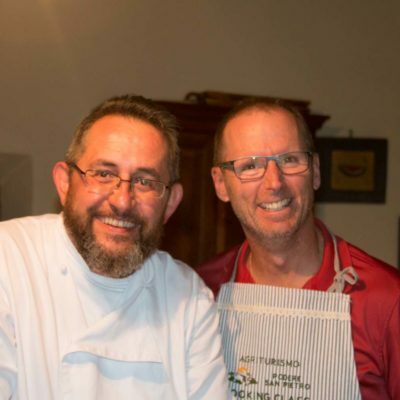 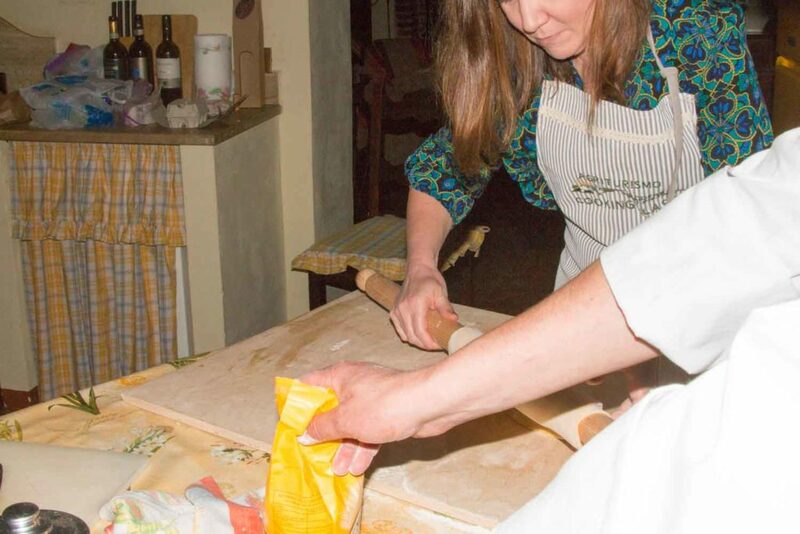 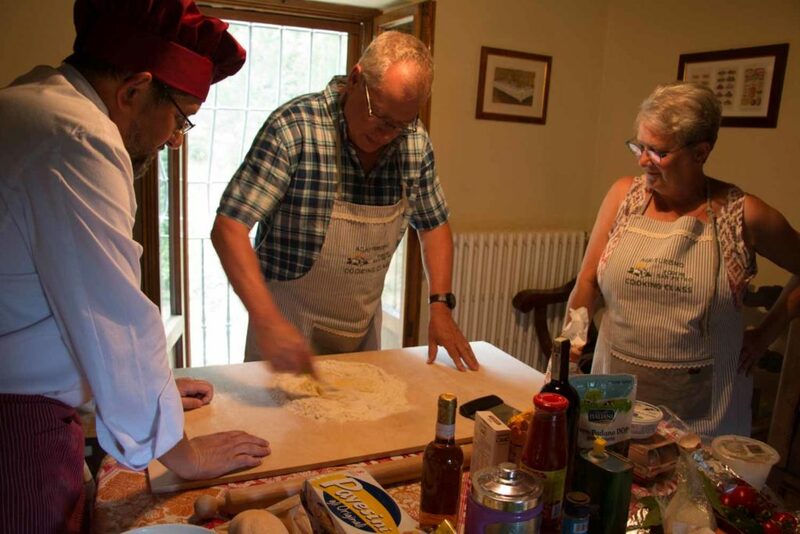 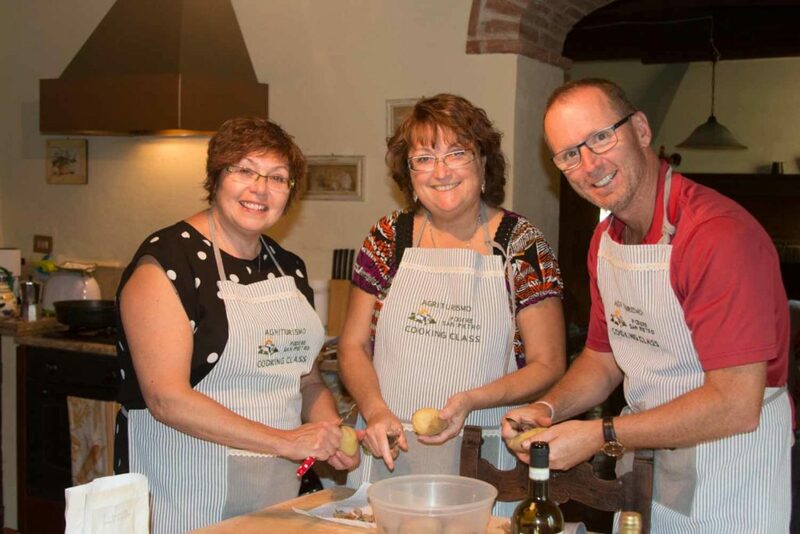 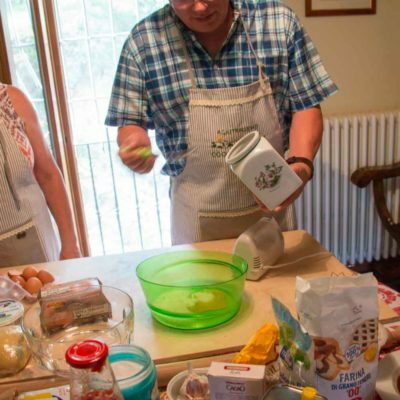 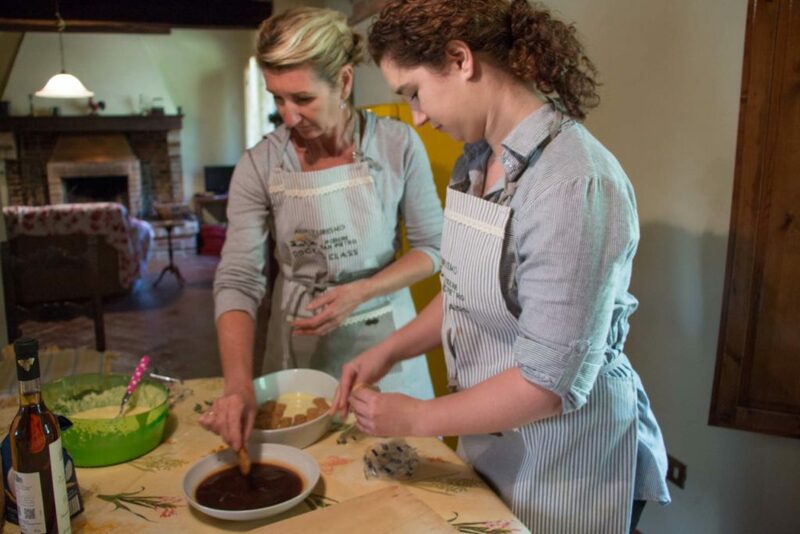 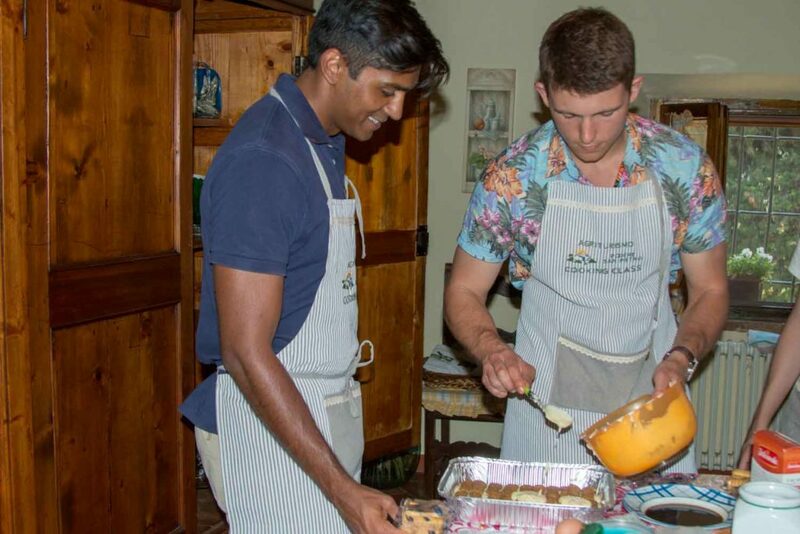 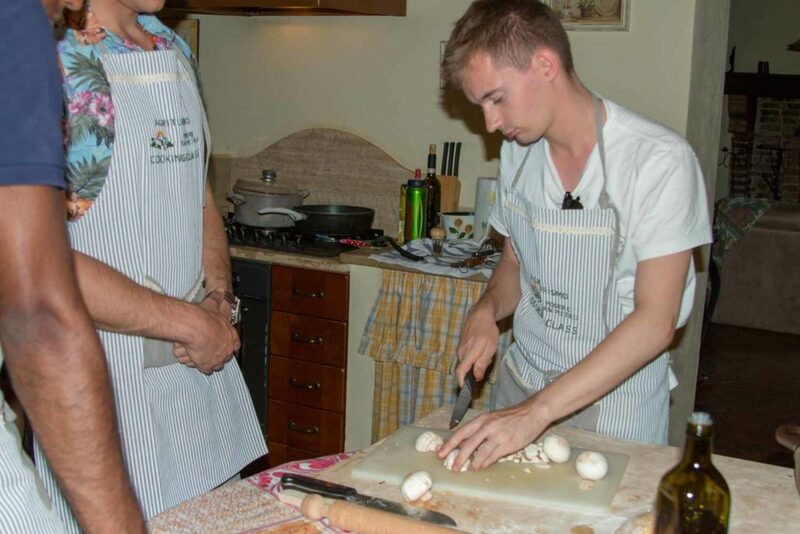 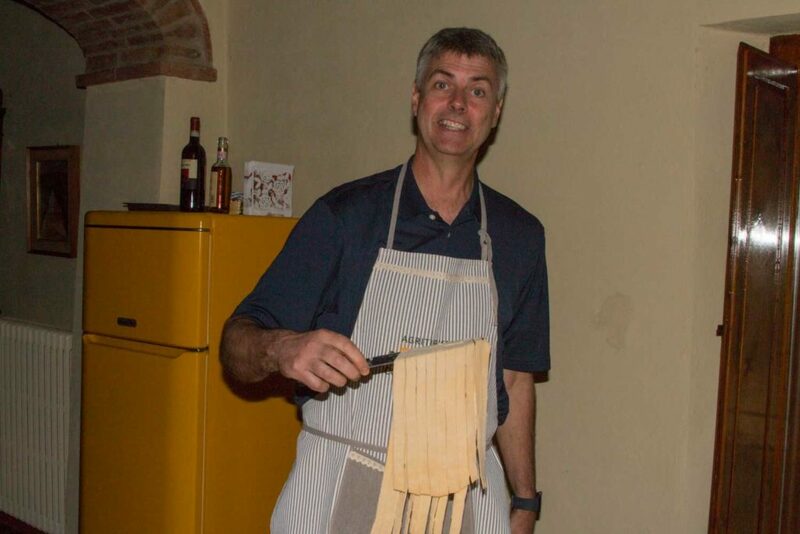 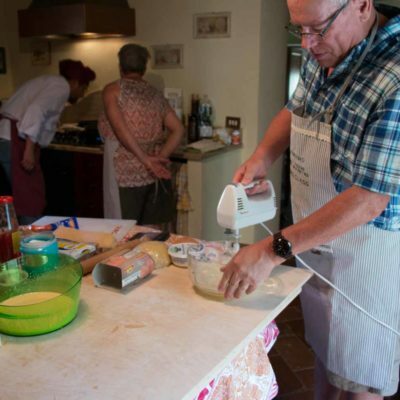 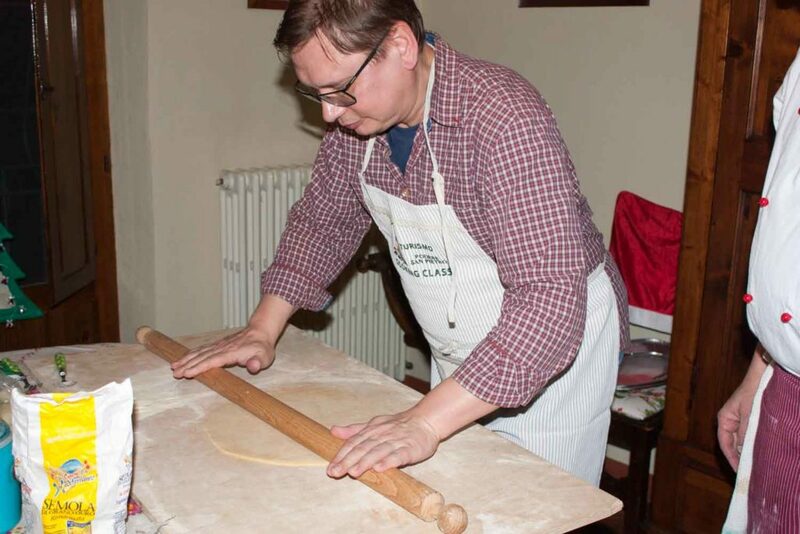 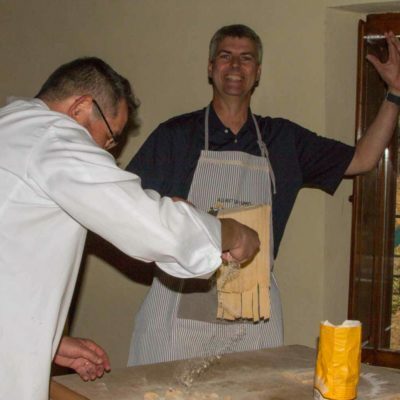 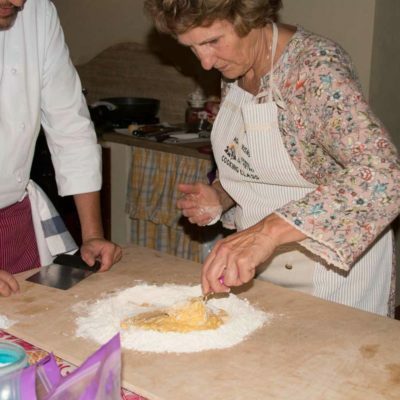 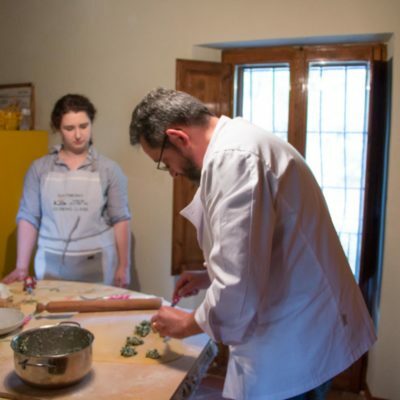 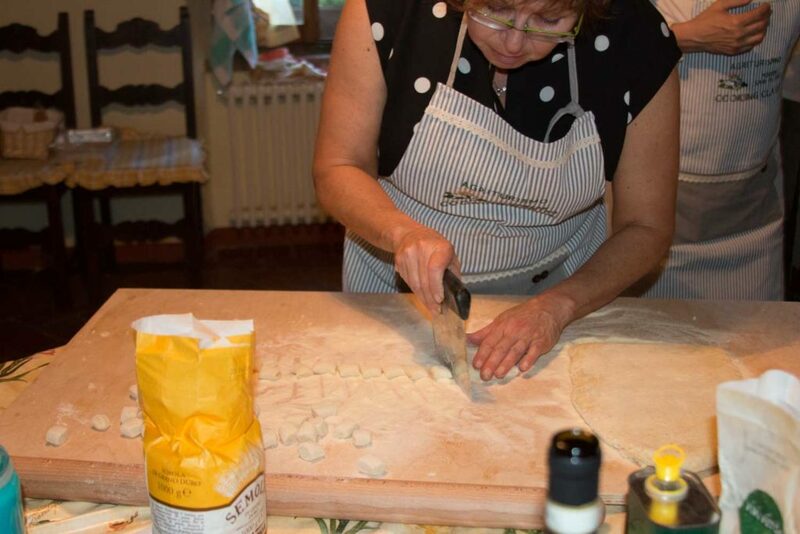 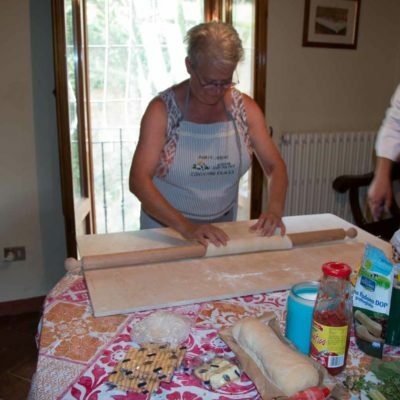 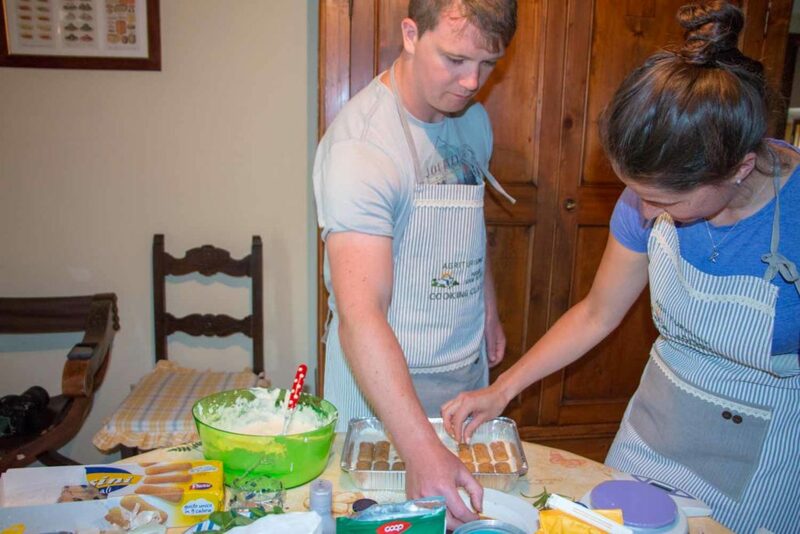 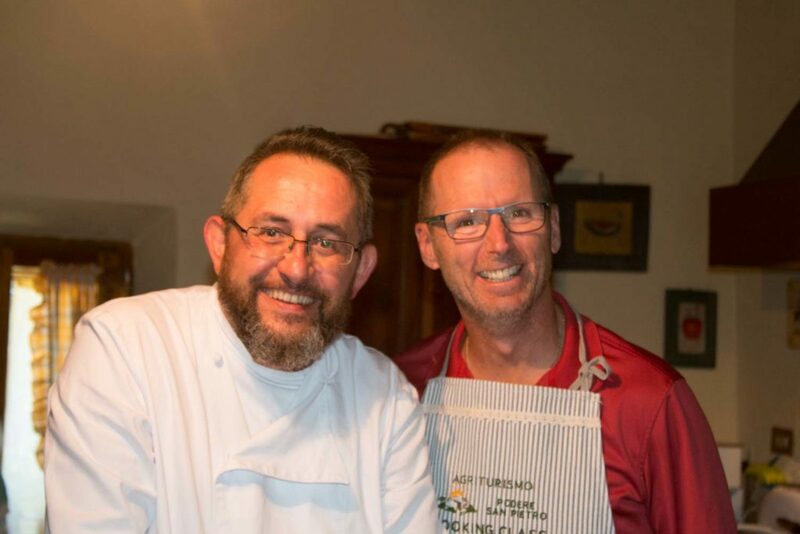 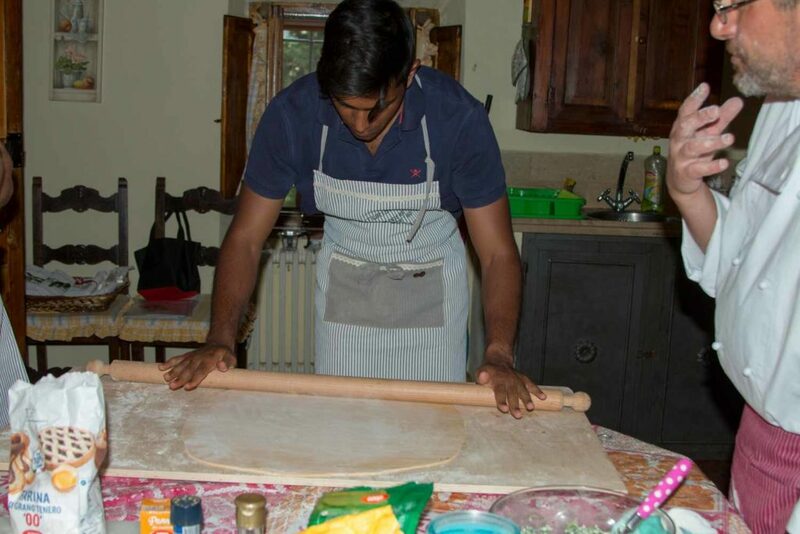 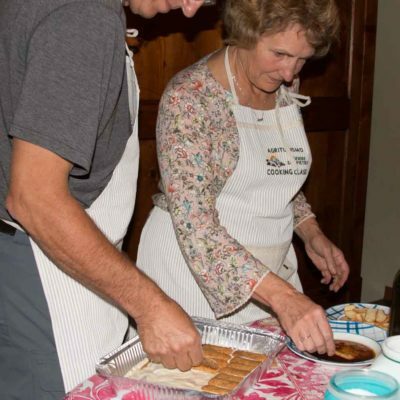 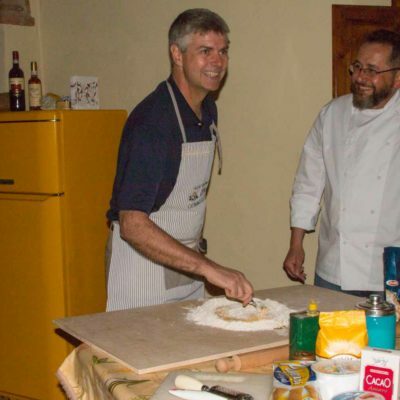 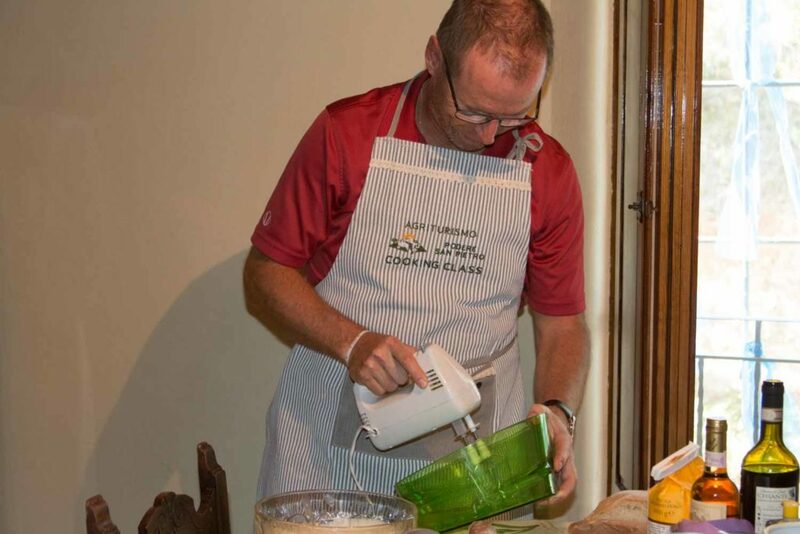 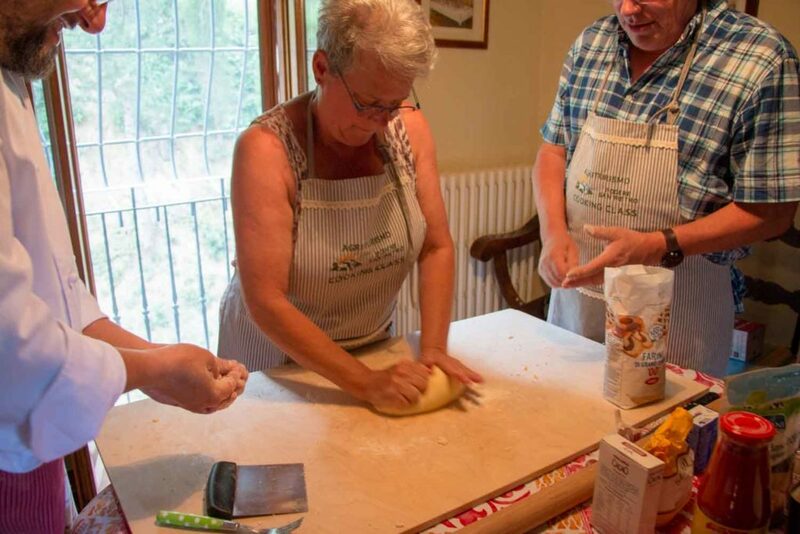 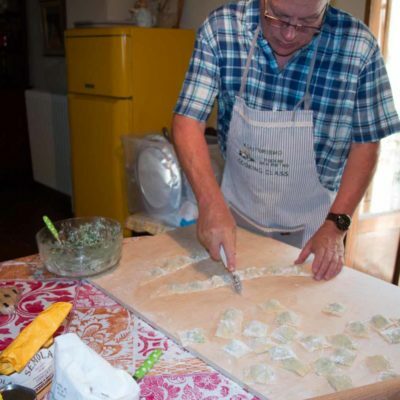 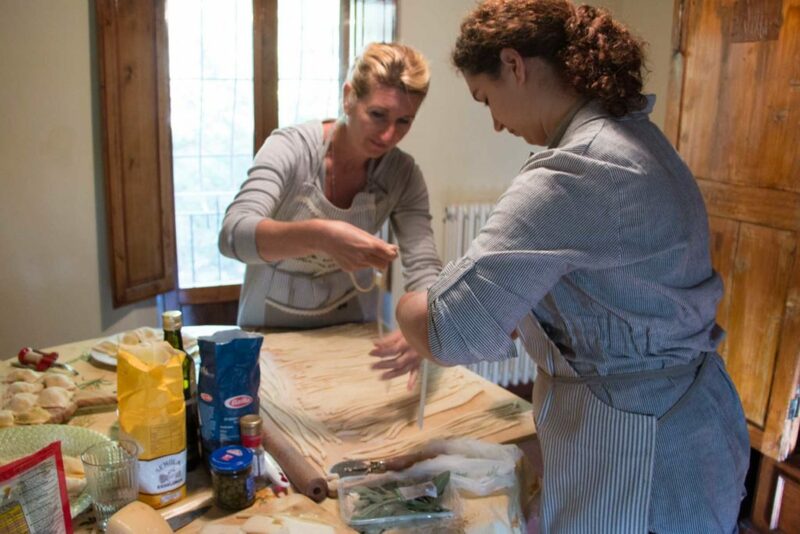 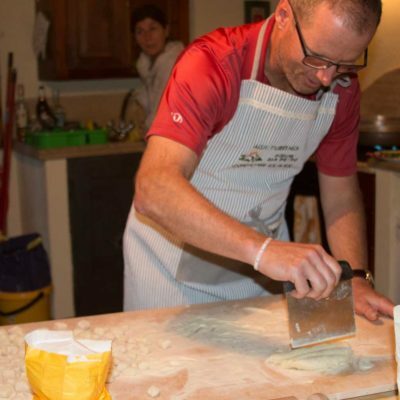 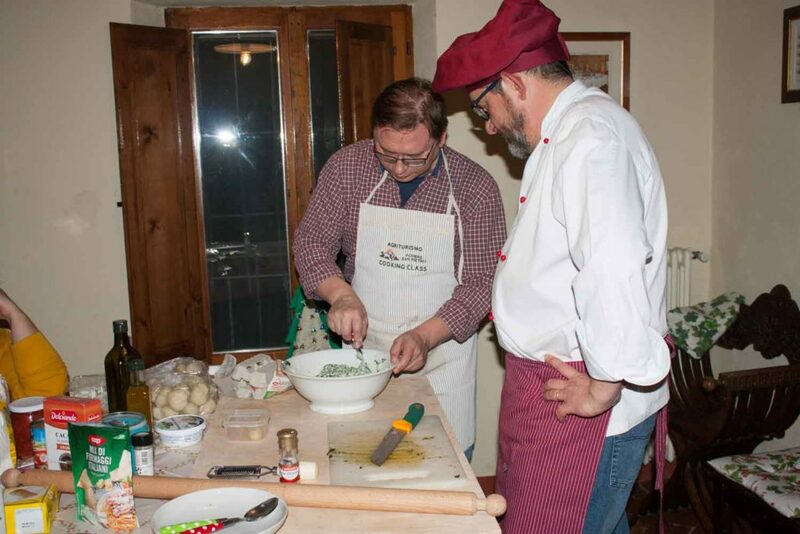 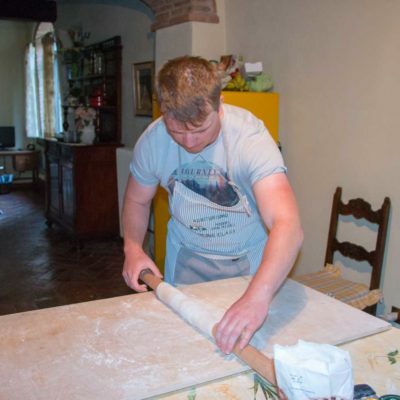 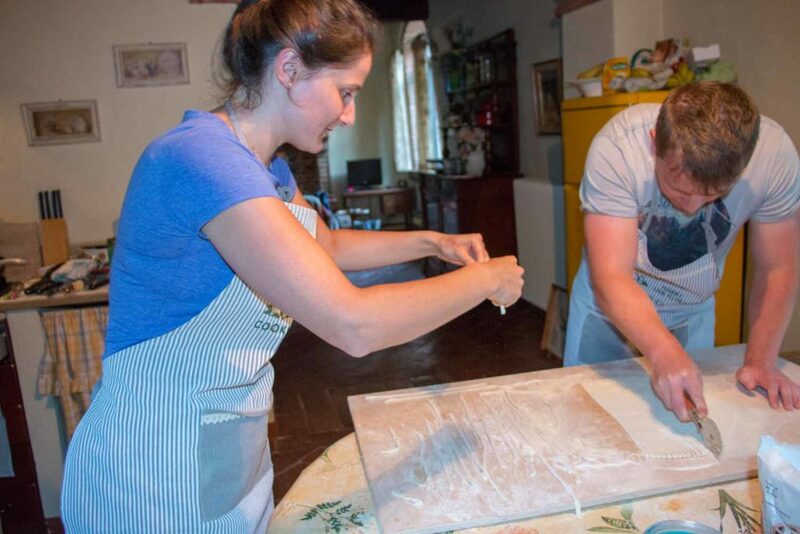 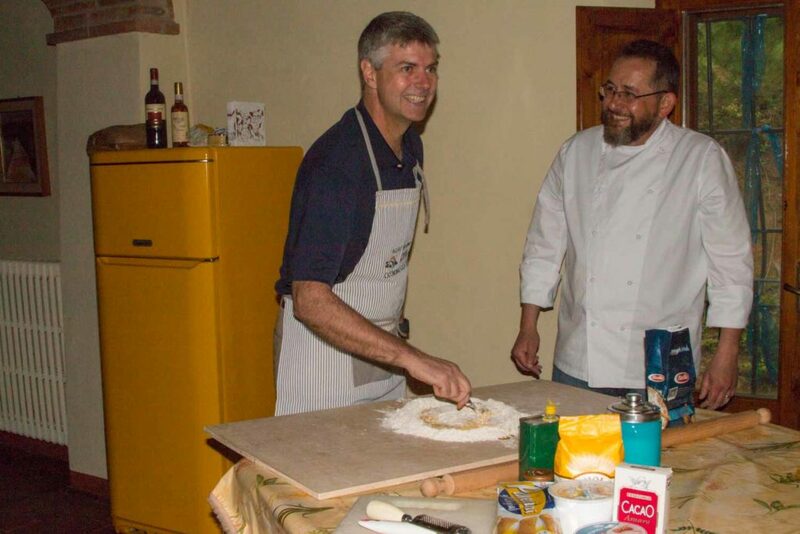 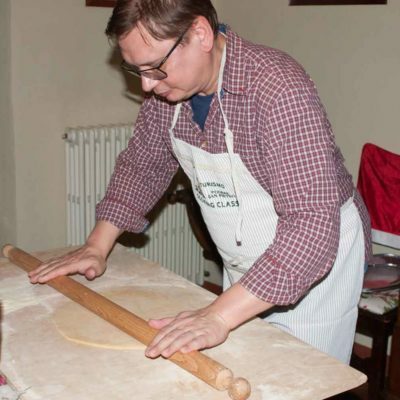 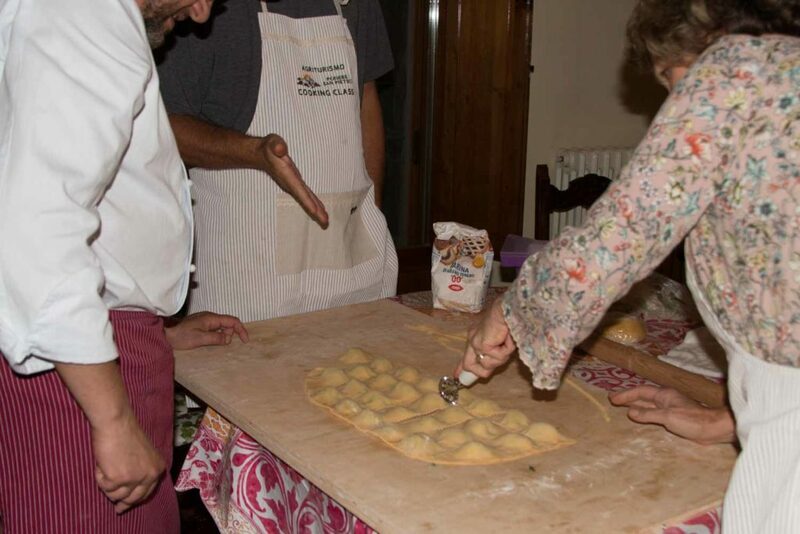 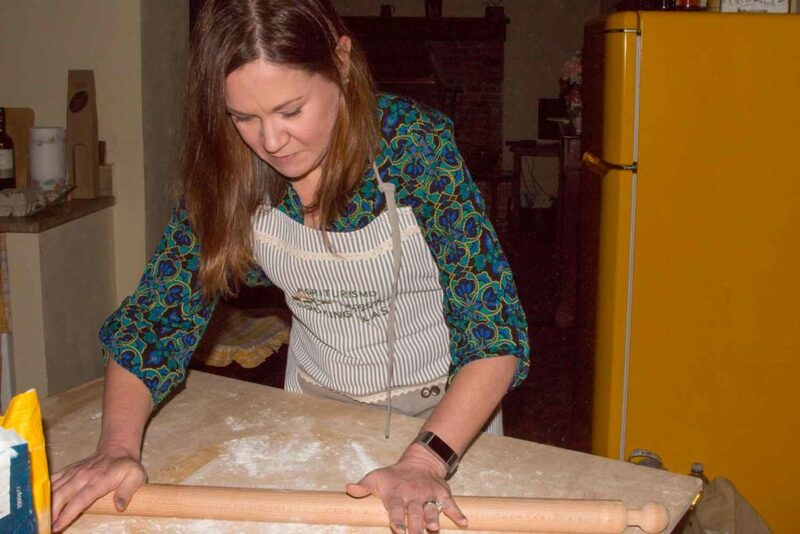 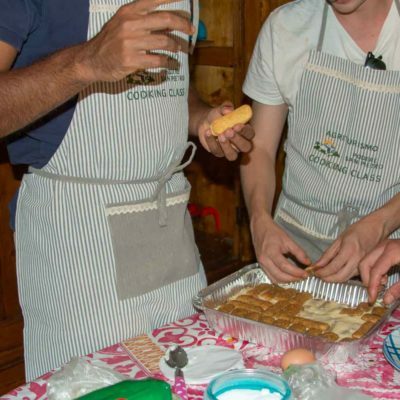 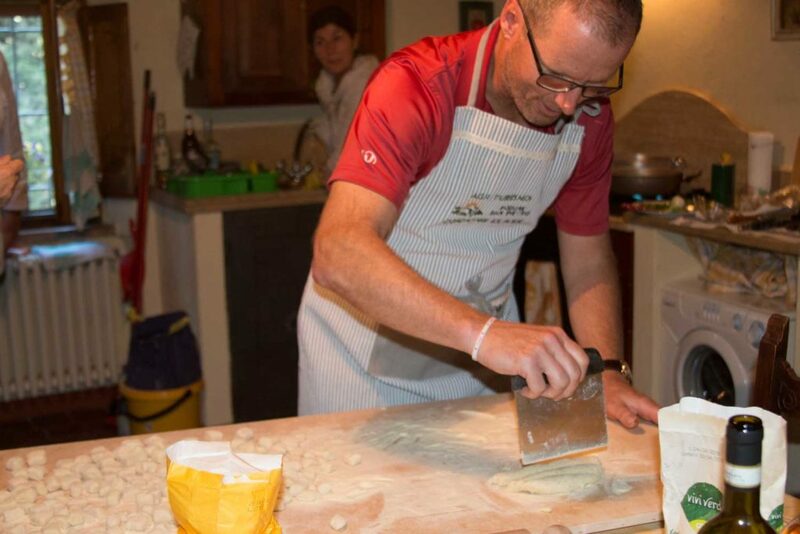 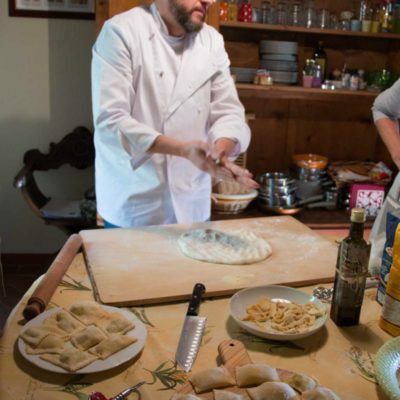 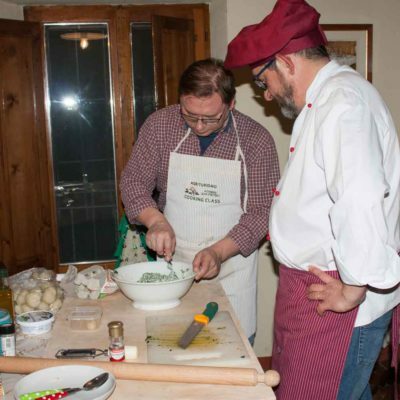 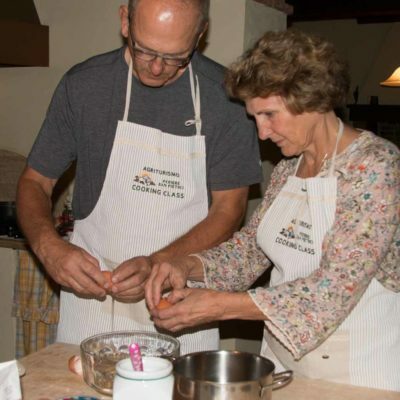 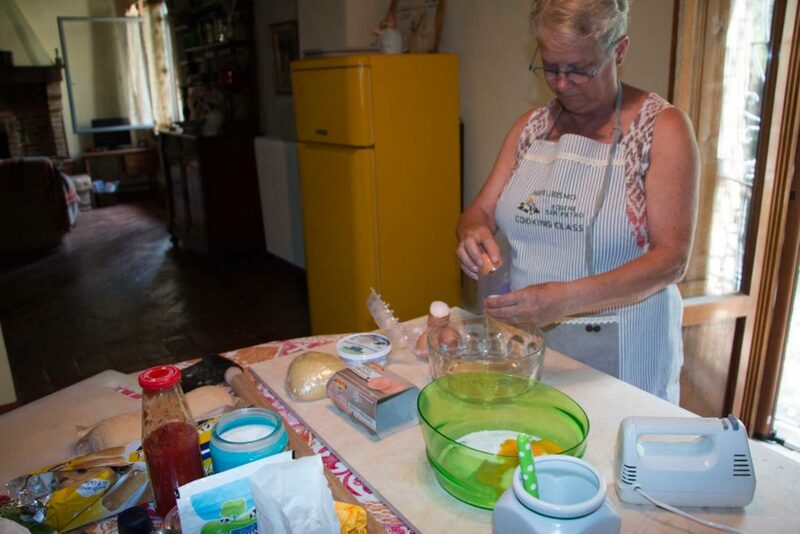 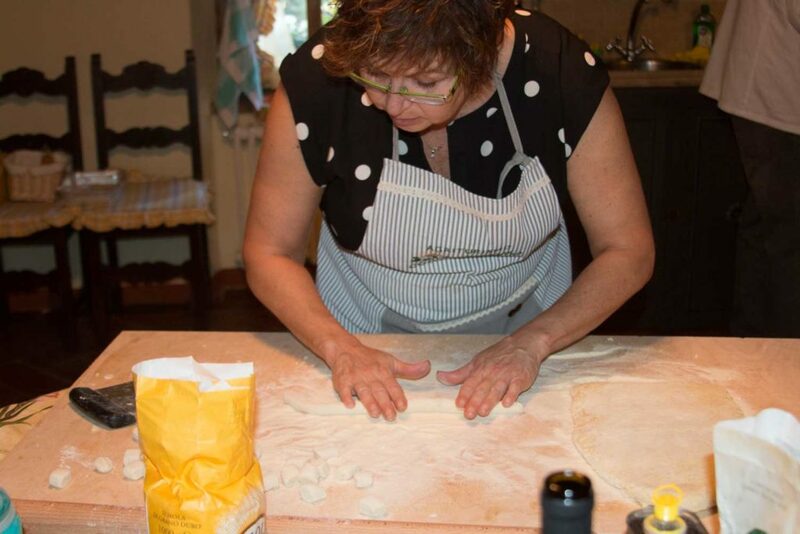 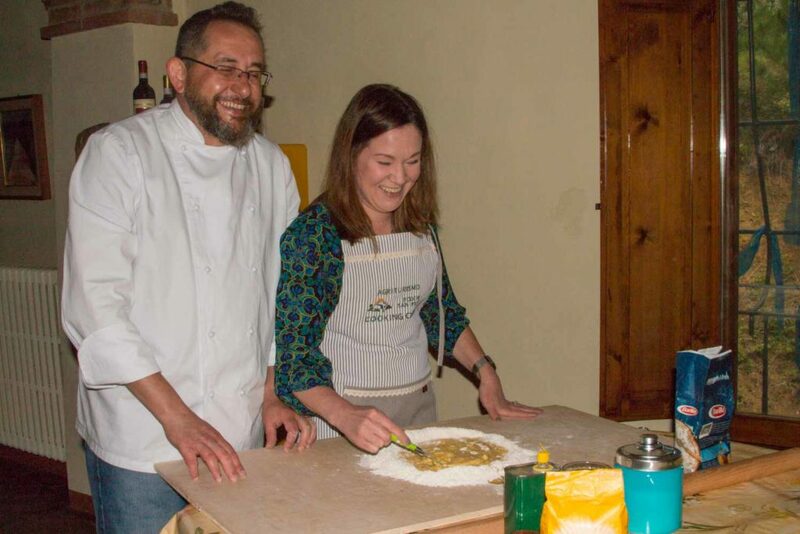 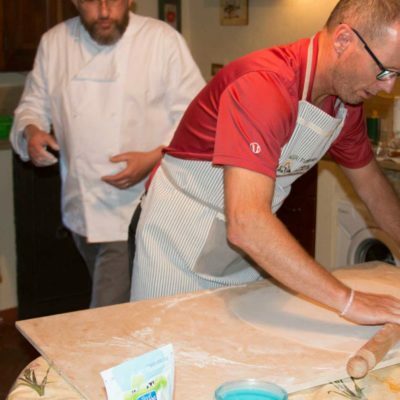 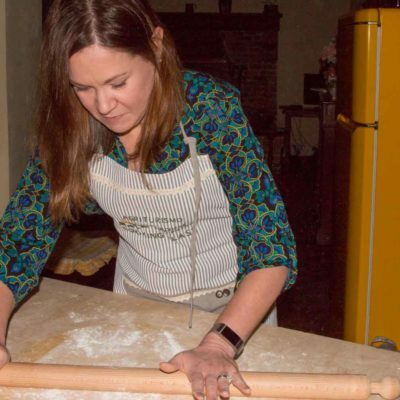 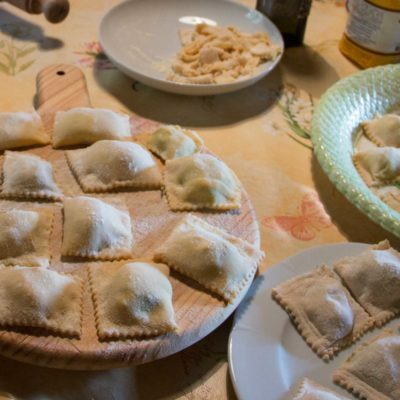 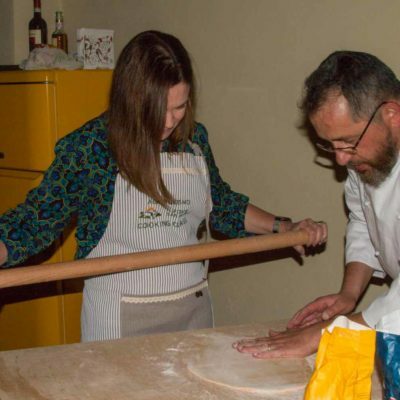 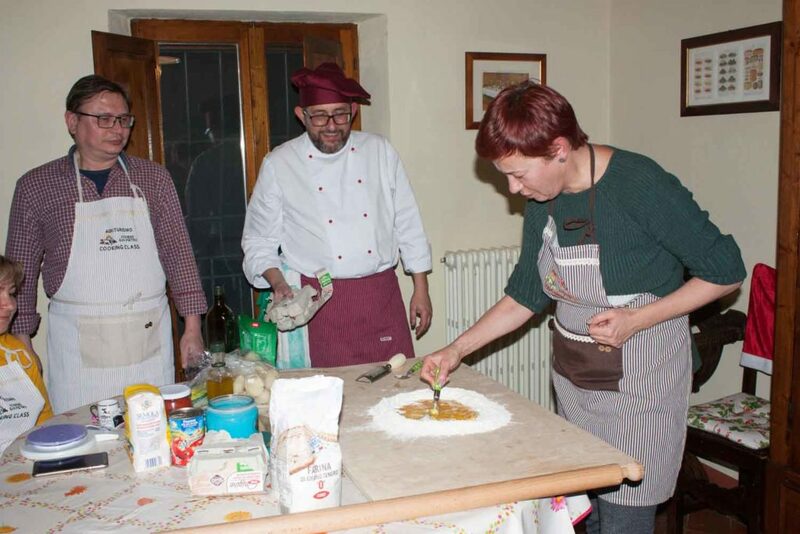 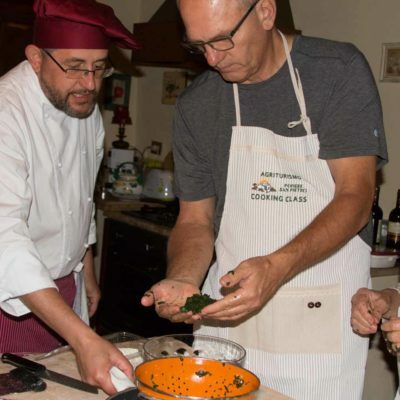 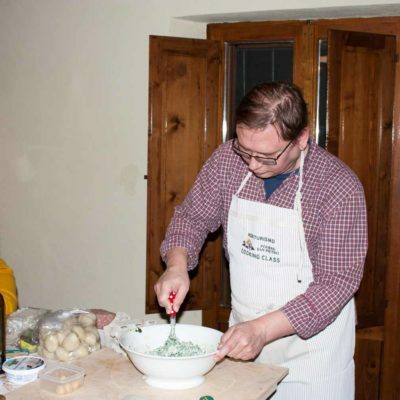 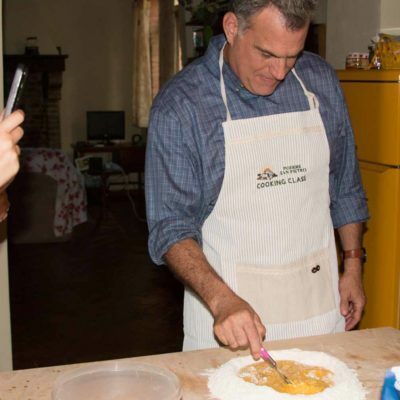 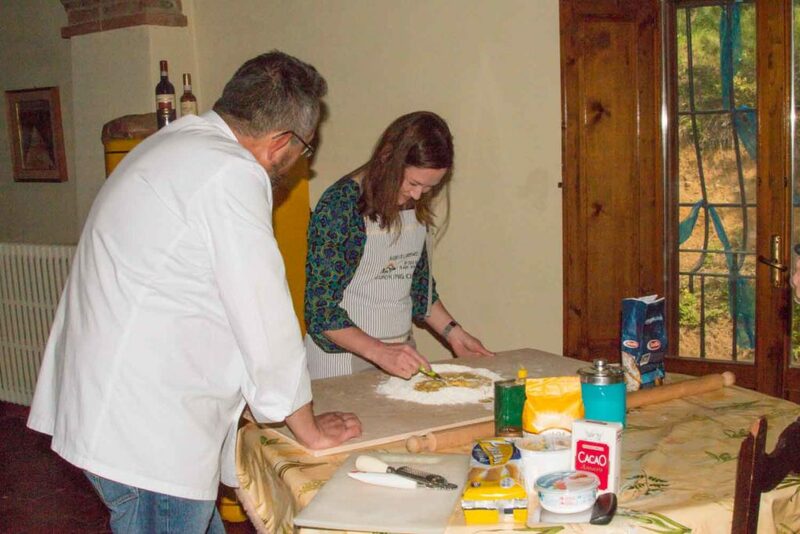 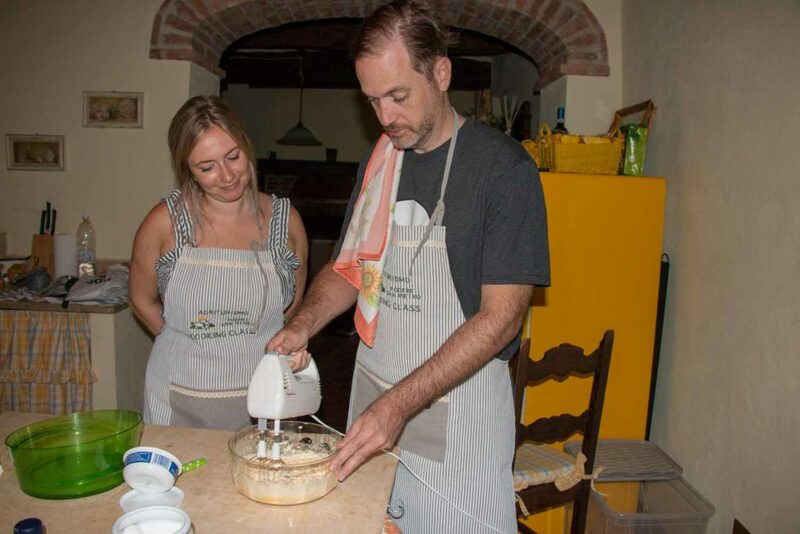 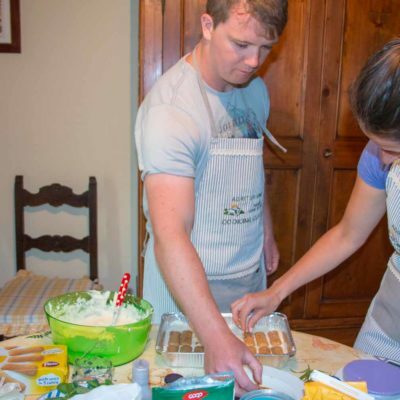 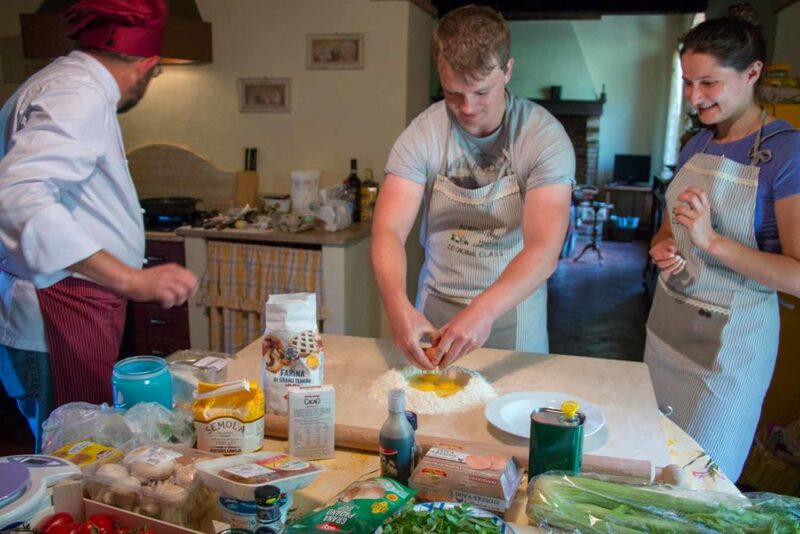 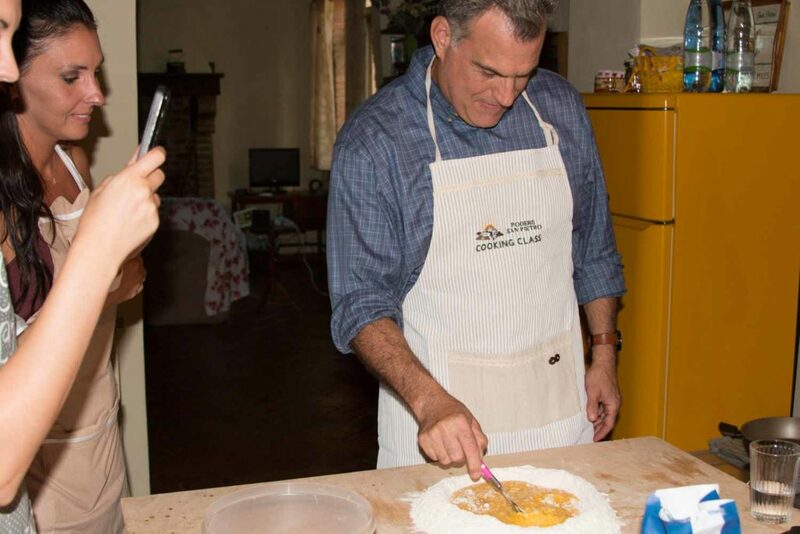 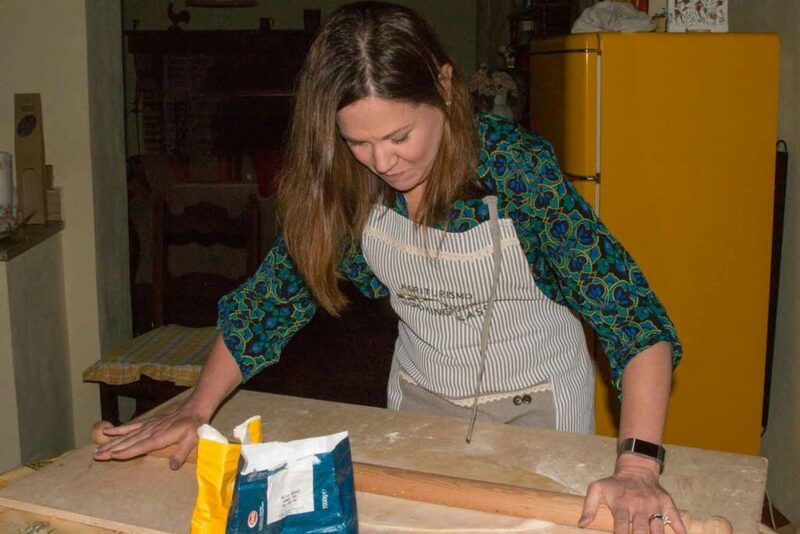 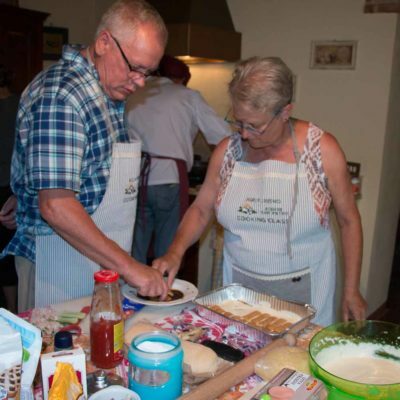 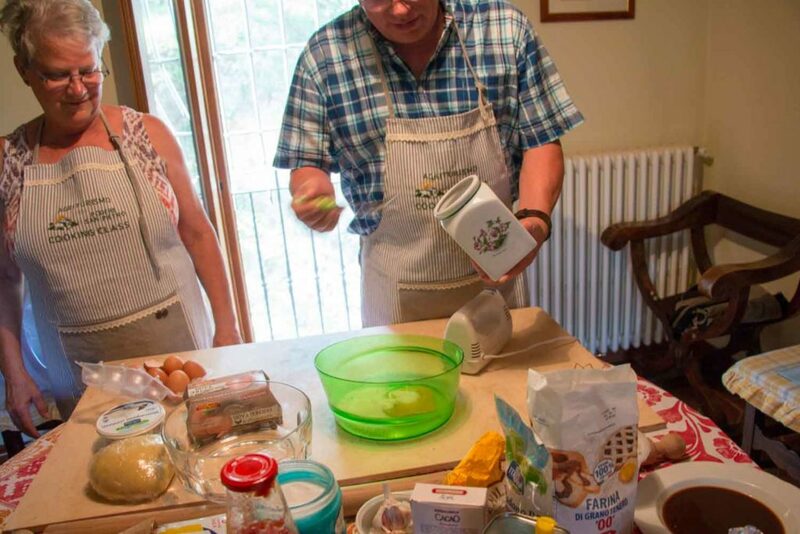 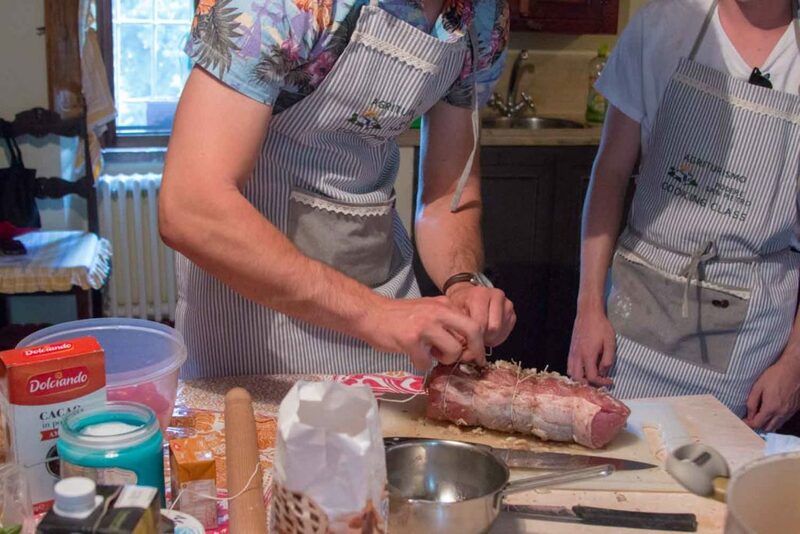 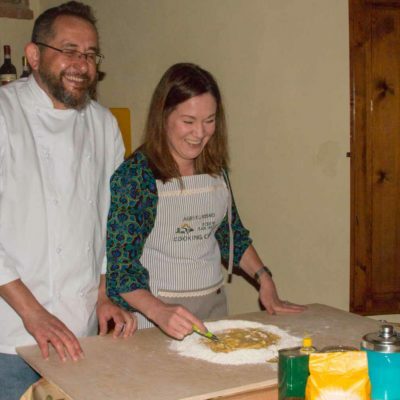 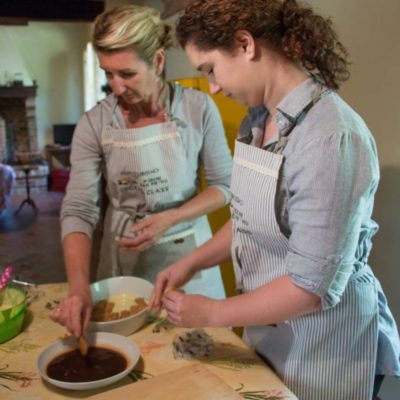 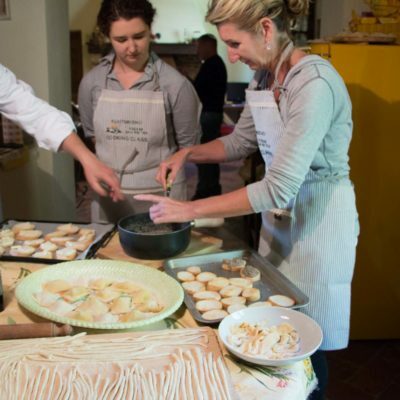 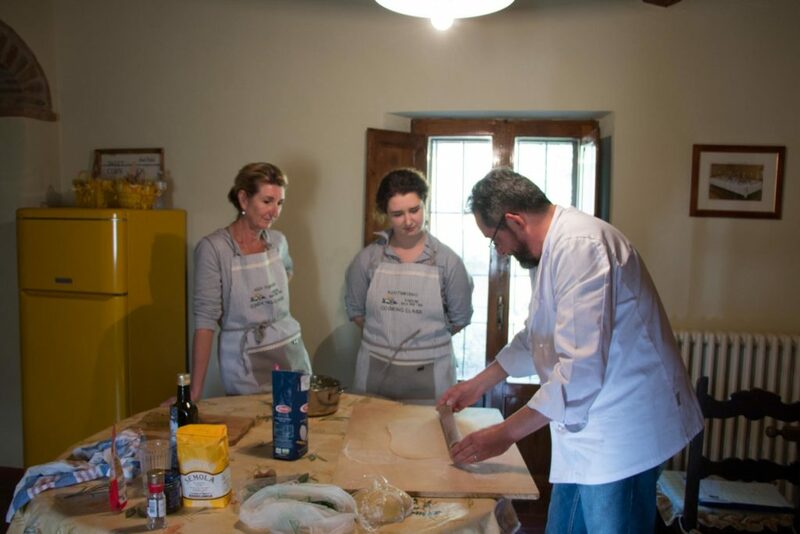 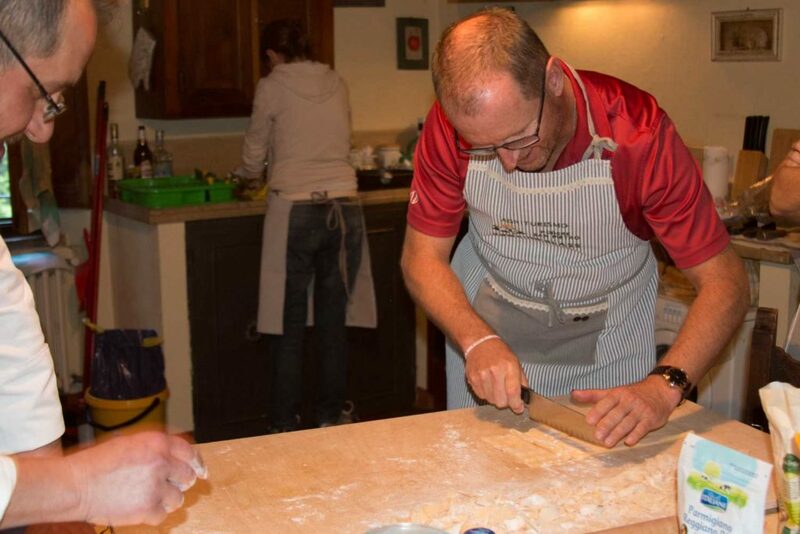 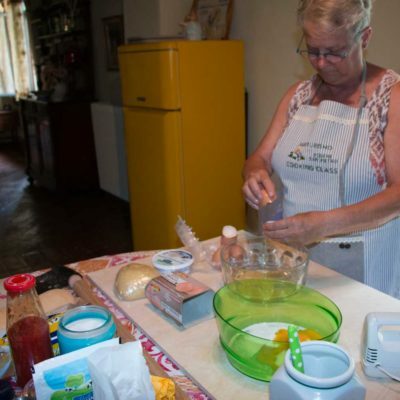 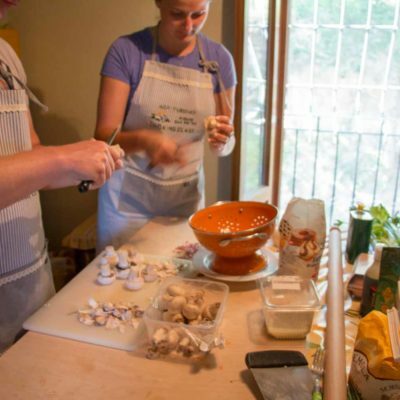 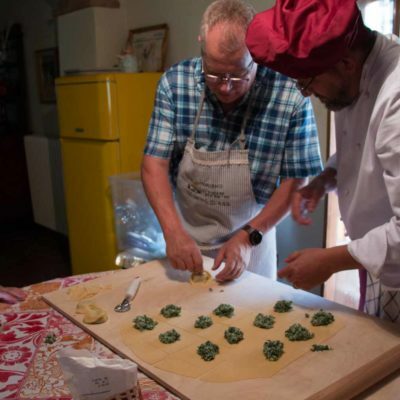 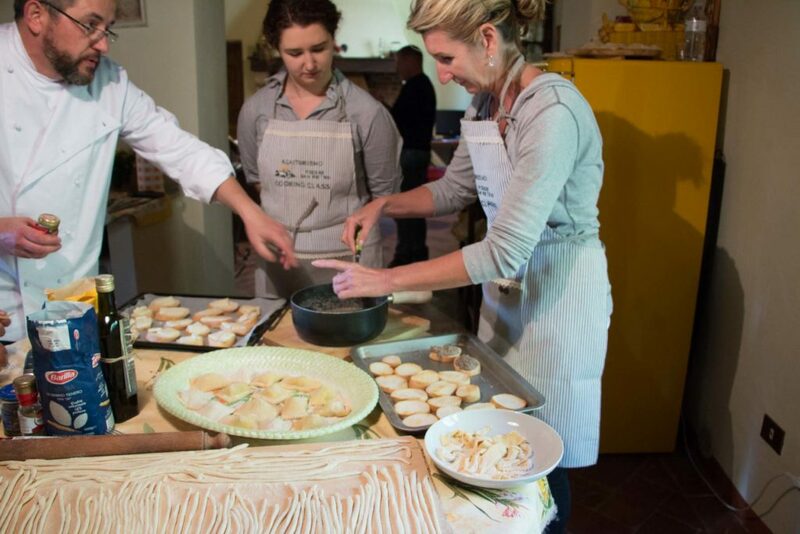 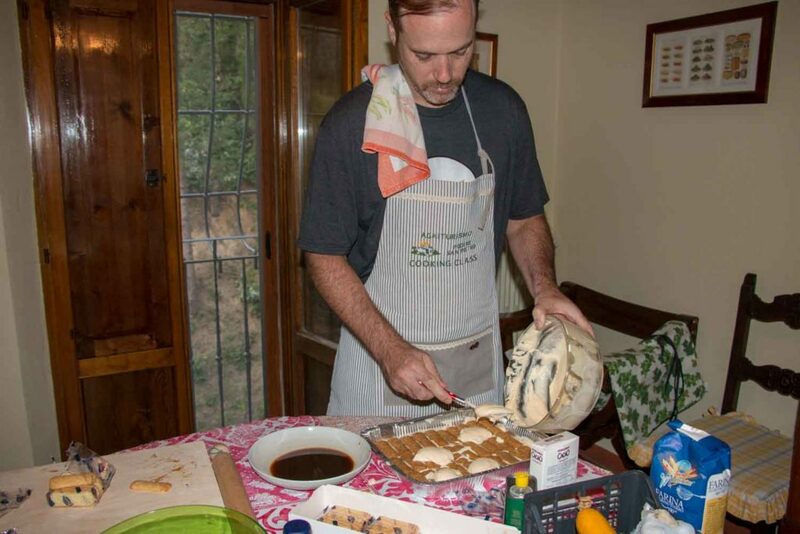 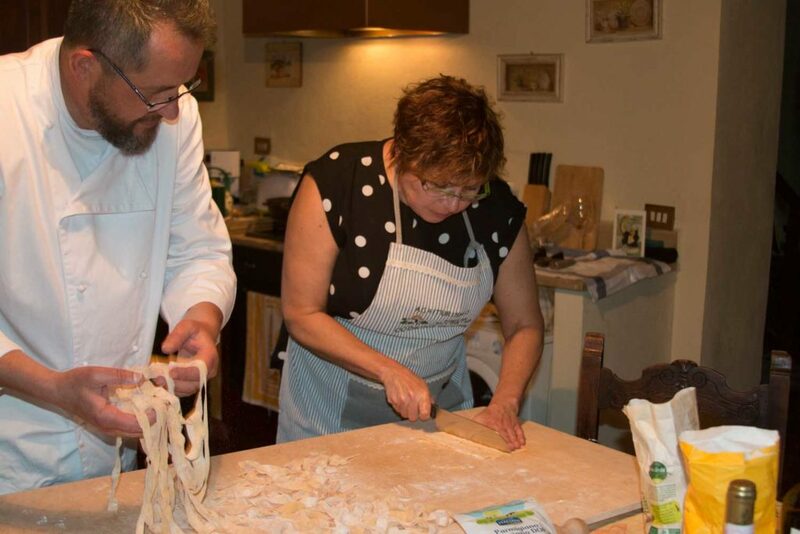 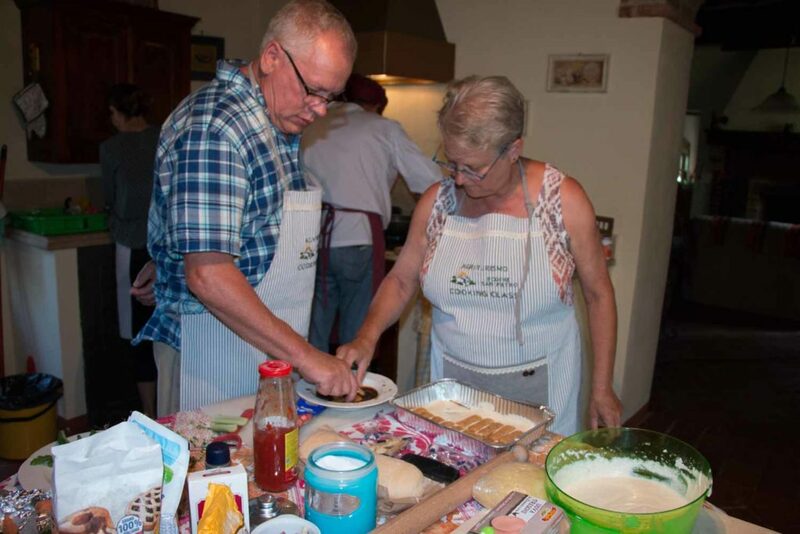 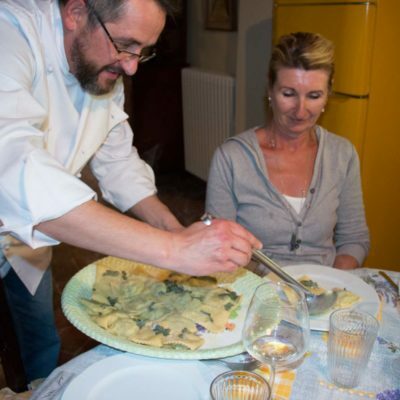 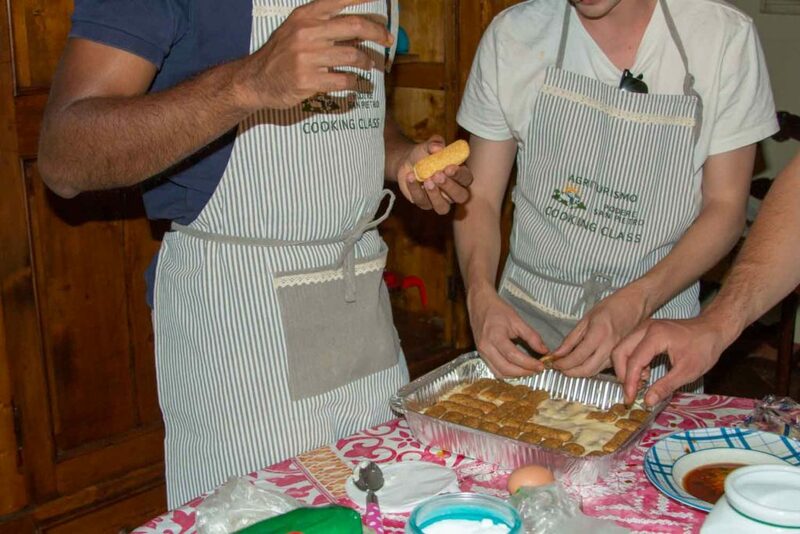 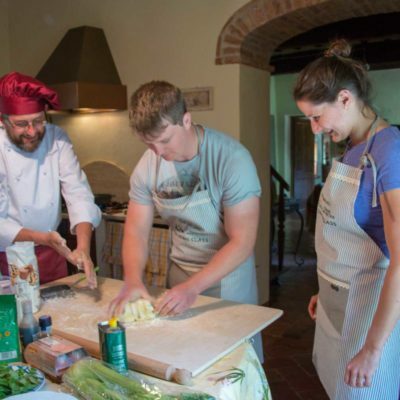 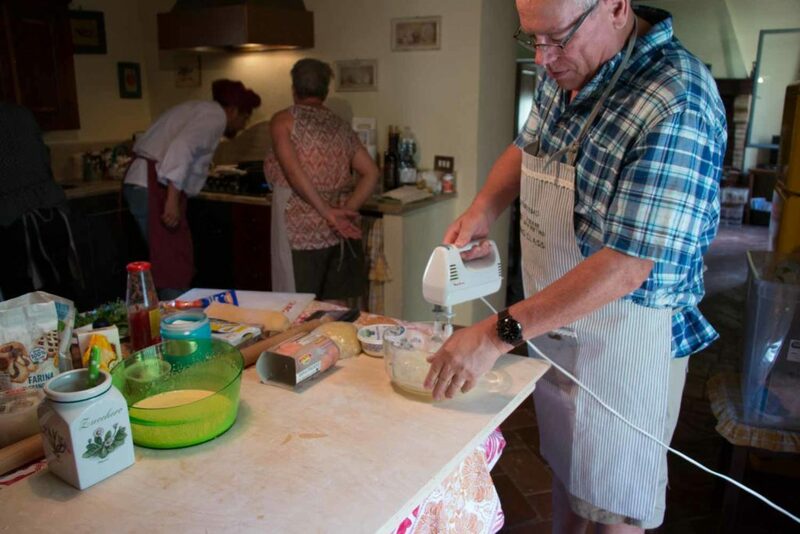 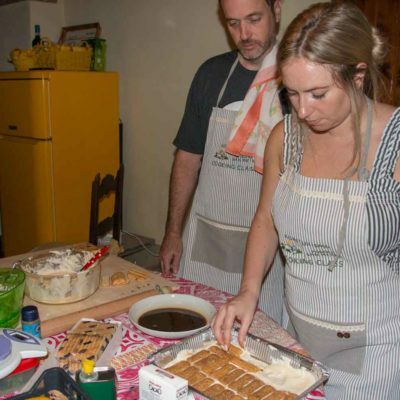 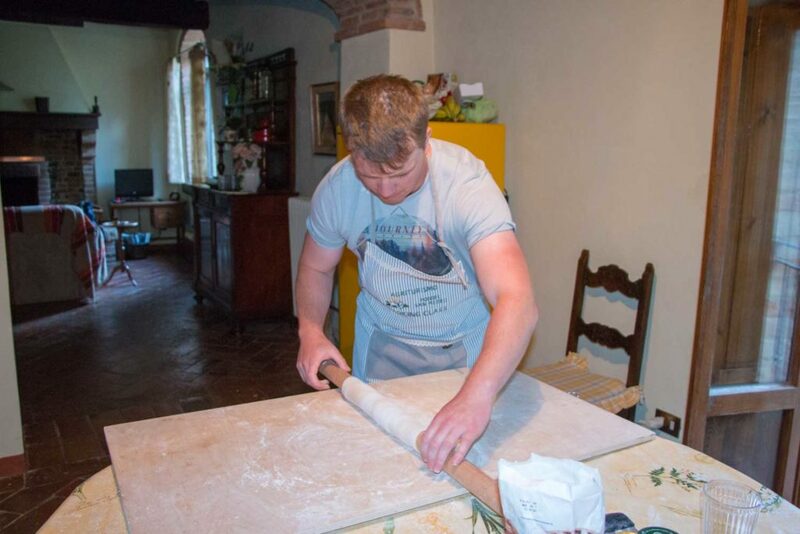 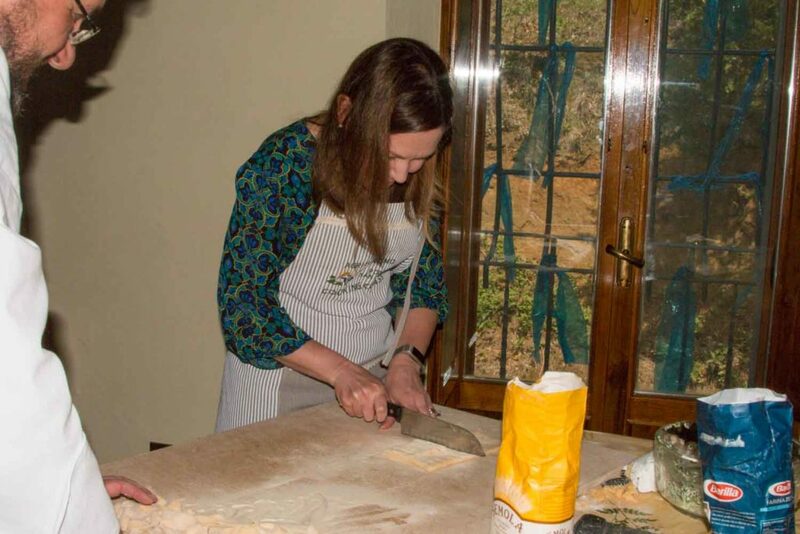 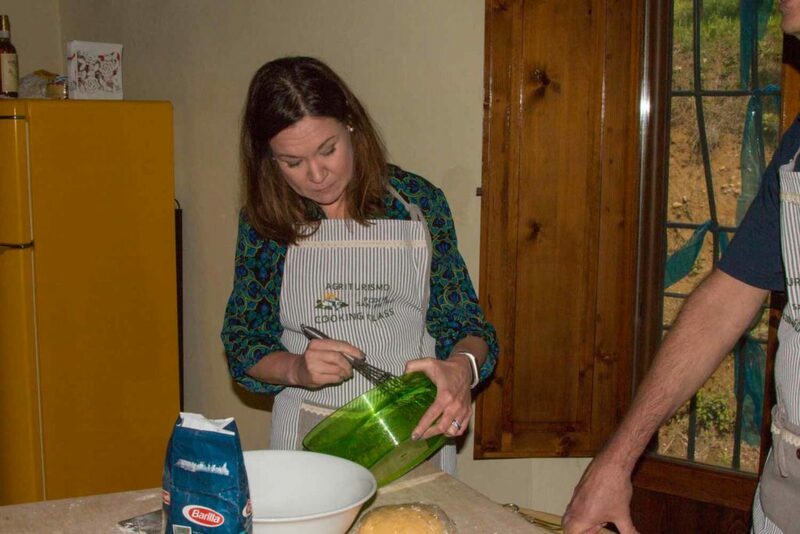 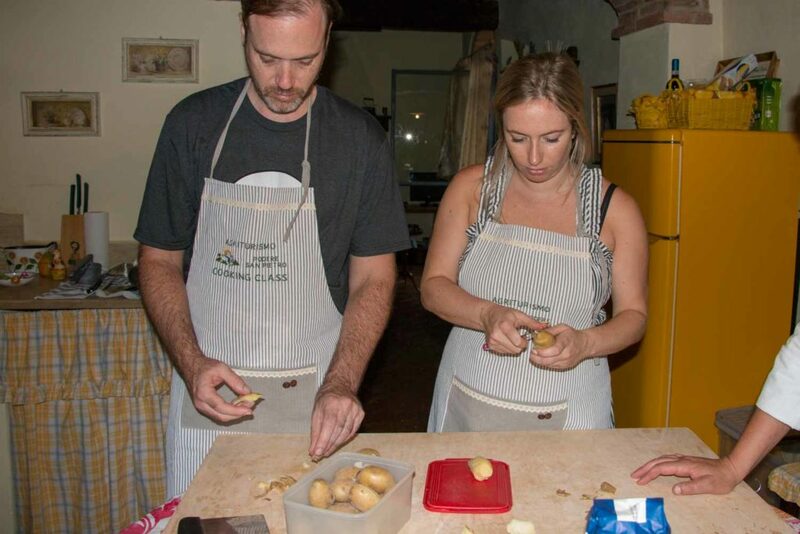 As you cook your instructor will tell you the history of many Tuscan dishes as well as stories and tales about the local farmer traditions and today’s new trends and customs in food. 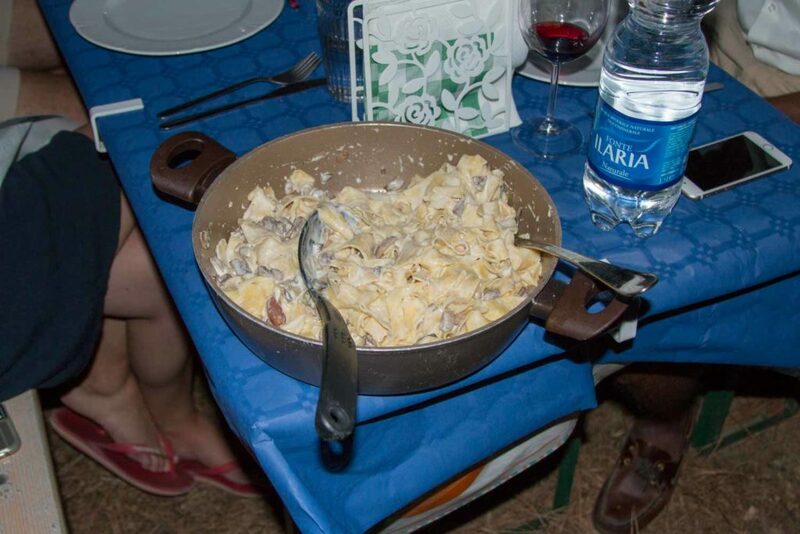 Wine and water are included. 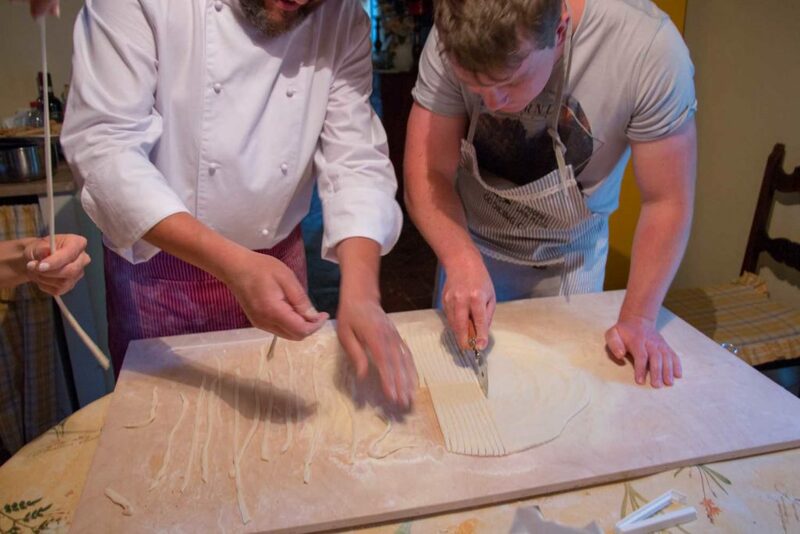 Special menus or kids menus are available upon request. 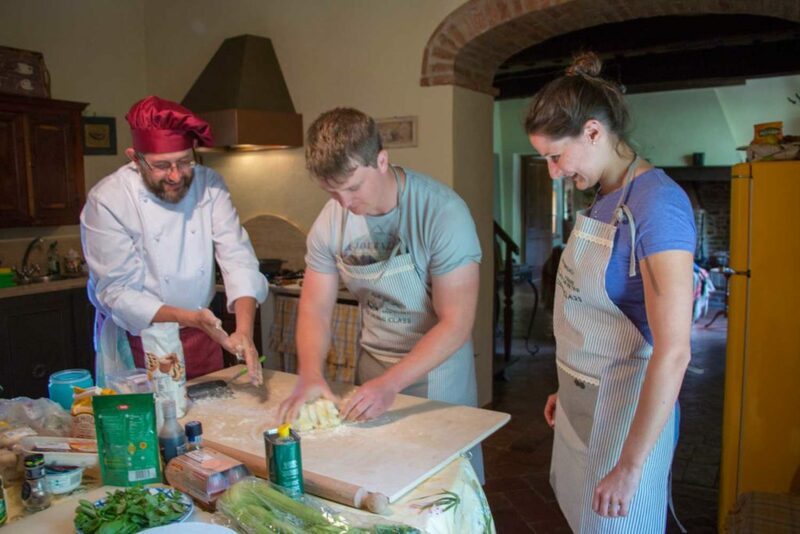 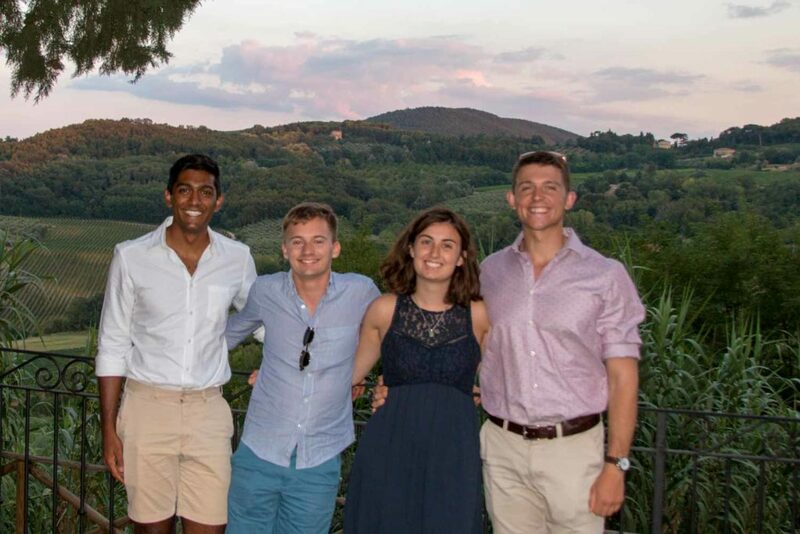 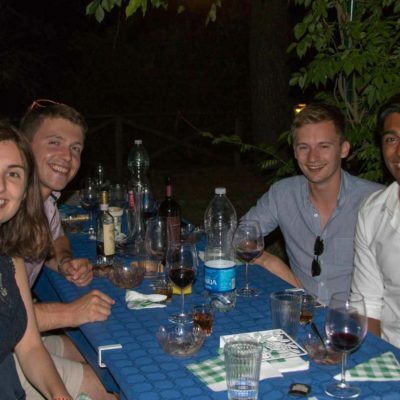 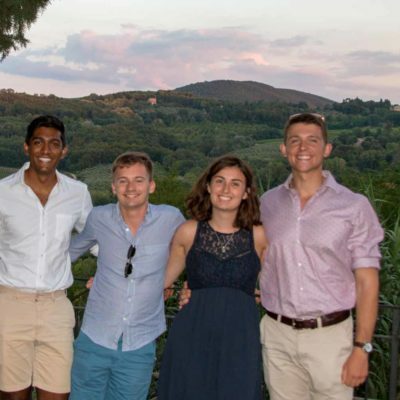 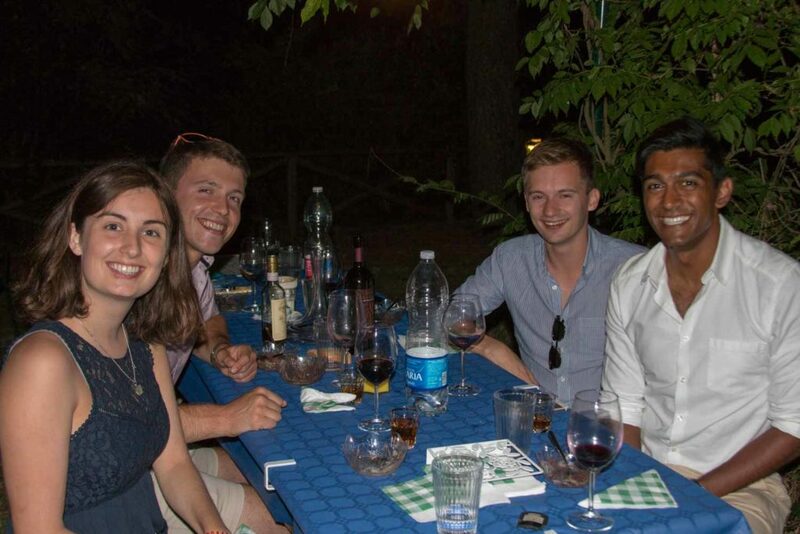 At the end of the lesson you will enjoy the meal you cooked, eating “al fresco” in the Podere San Pietro gardens with the gorgeous view of Montepulciano countryside. 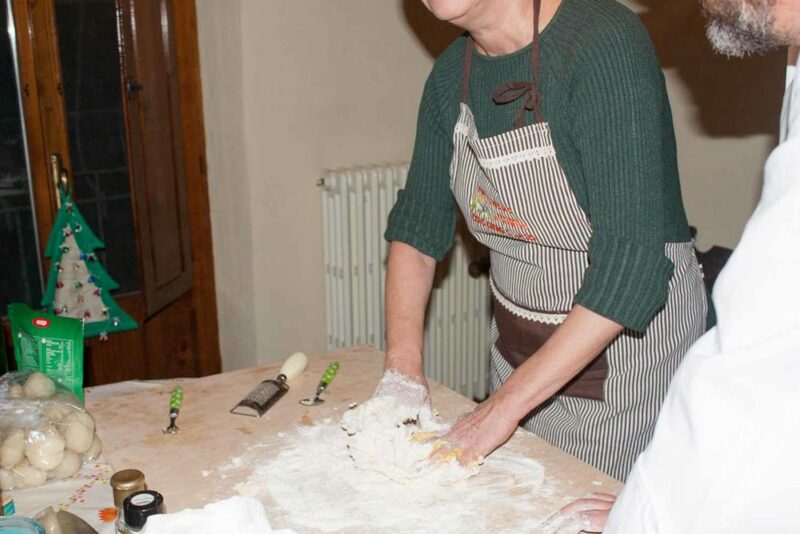 Minumum 2 people per class. 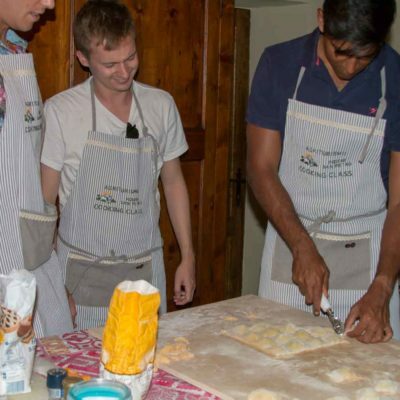 Booking min 3 days in advance.